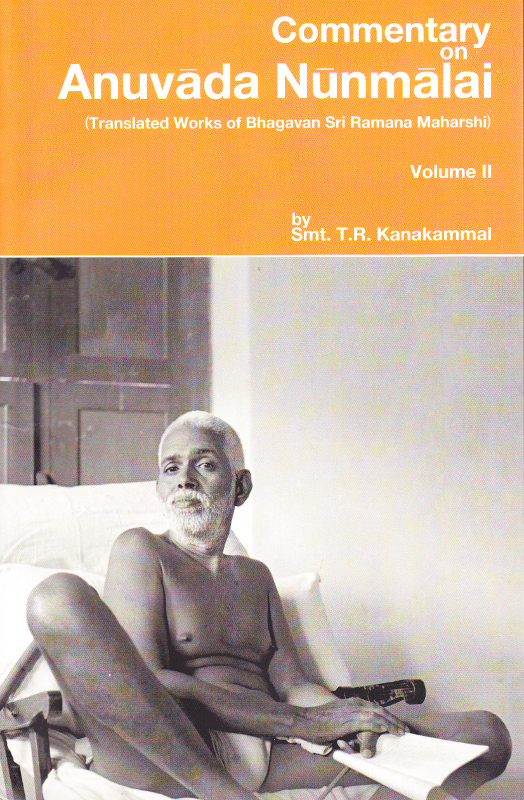 Contains Sanskrit, transliteration, and English translation of both texts, additional verses, and commentary. 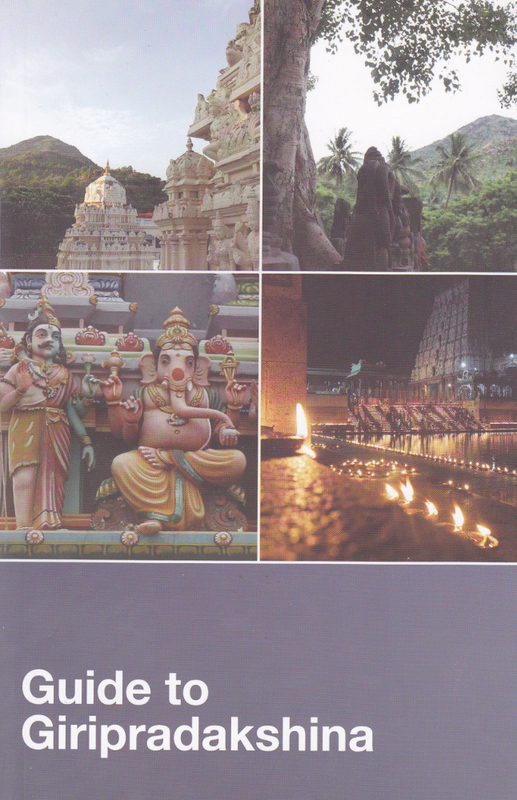 This book has guidance on the ways to do pradakshina (circumambulation) around Arunachala and details on the places one sees during the circuit. 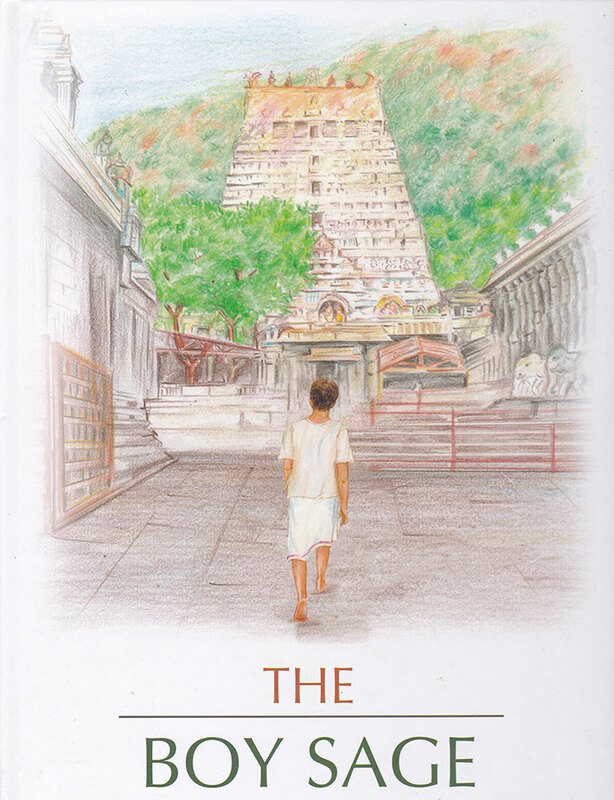 Charming and beautifully-illustrated story through the eyes of a family of peasants who journey from their village to Tiruvannamalai to attend the ten-day festival of Lord Siva. A wide spectrum of Hindu customs, practices and beliefs unfold as the family explores the wonders and the traditions of their ancient culture. 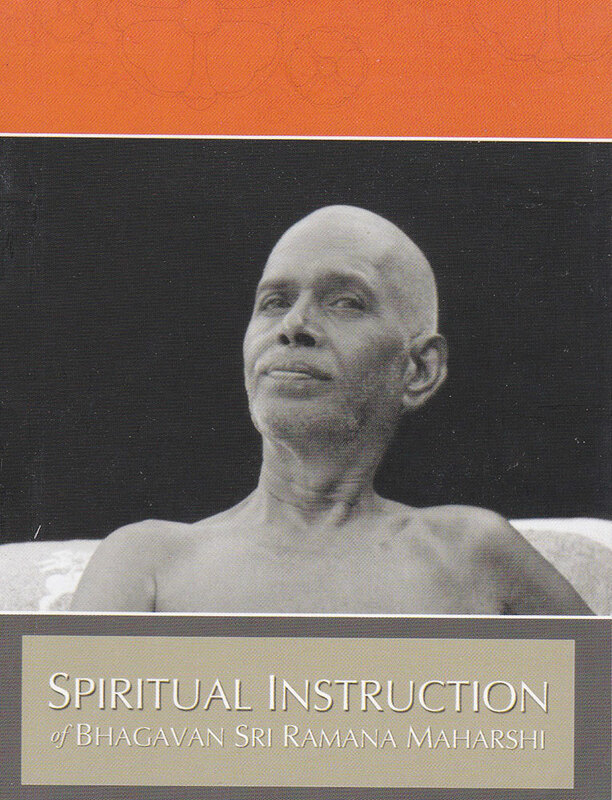 A wonderful compilation, derived from many sources, of instruction by the Maharshi, answering all sorts of spiritual questions, arranged by topic. 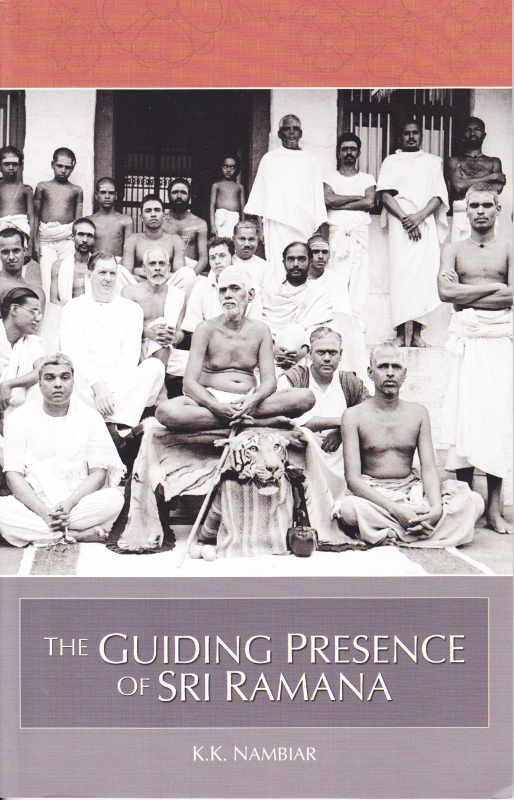 Contains anecdotes about the Maharshi and descriptions of what the author witnessed while in the presence of the Maharshi. 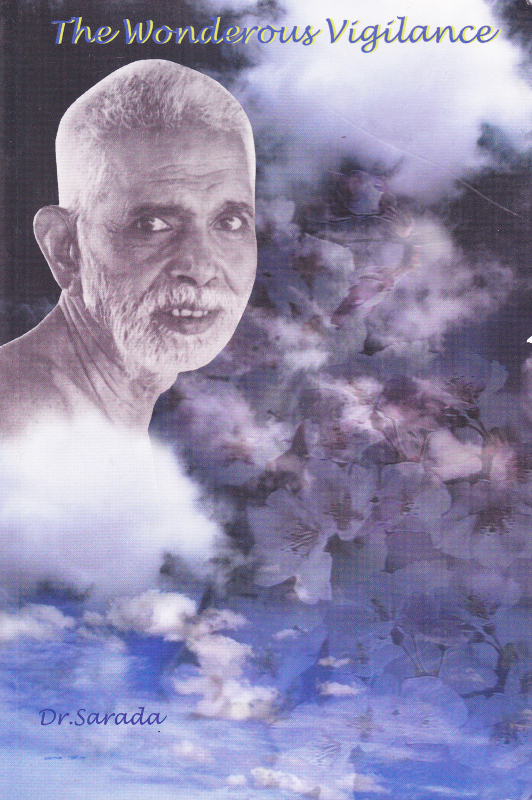 Selections of the Maharshi’s teachings arranged by topic and theme. 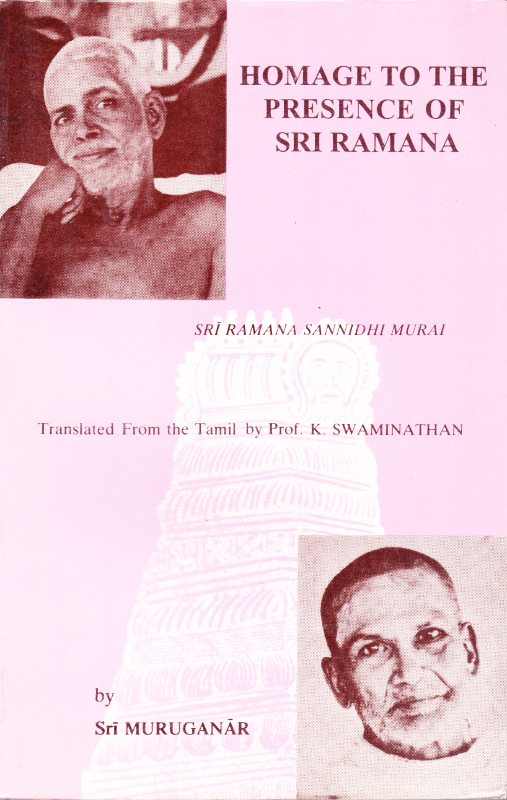 English translation of Sri Ramana Maharshi’s biography in Tamil by Yogi Shuddhananda Bharathi. 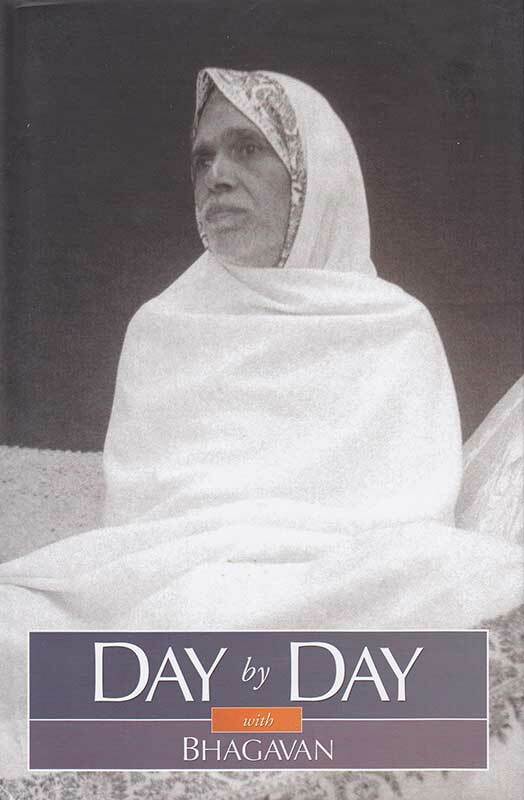 A beautiful pictorial display of black and white photographs, some of the Maharshi and some of scenes of the ashram environment, with quotations from the Maharshi’s teachings. A companion volume to the book, “Heart is Thy Name”. 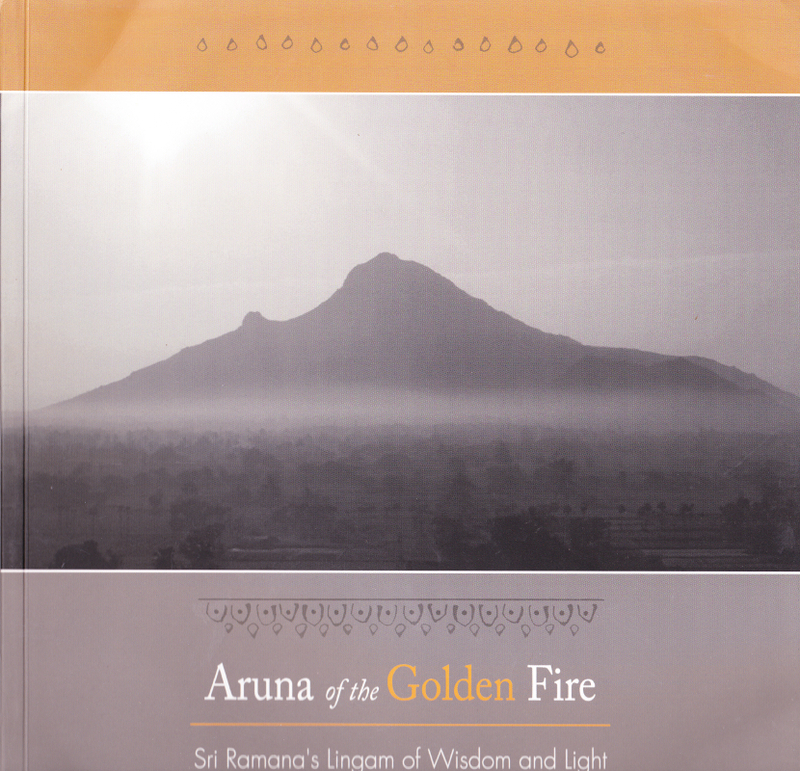 The book blends images of the Holy Hill, Guru Ramana, Arunachala Temple, and Sri Ramanasramam, with the sayings of the saints and scriptures including Bhagavan’s own verses written in praise of the Mountain. 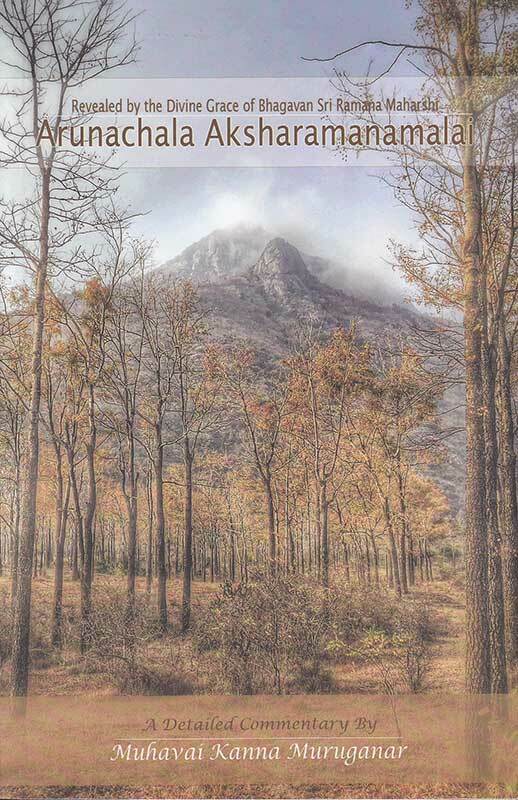 Quotations from sages, saints, and scriptures about Arunachala, with a photograph for each quote. Beautifully printed and well-bound. 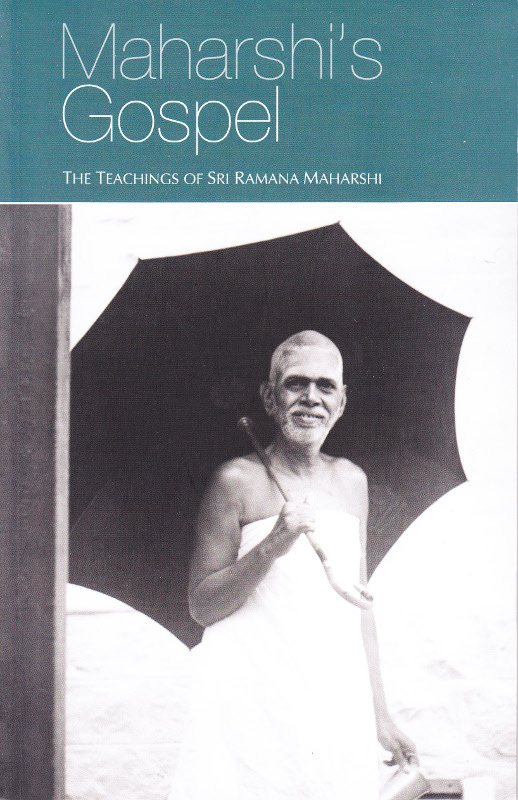 This set of books is the most comprehensive book on the life and teachings of Bhagavan Sri Ramana Maharshi. 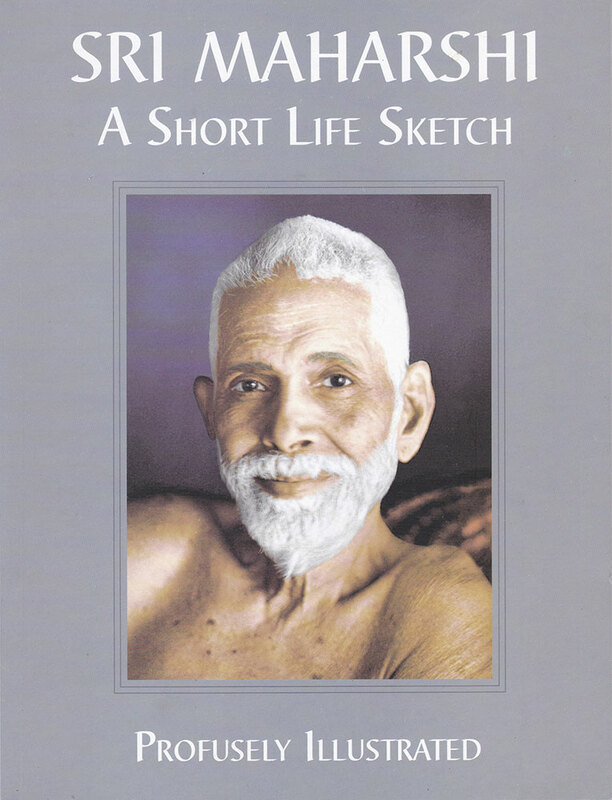 It combines the contents of biography, collected works, experiences of devotees, reminiscences, and extensive portions of dialogues from books such as “Talks with Sri Ramana Maharshi”. 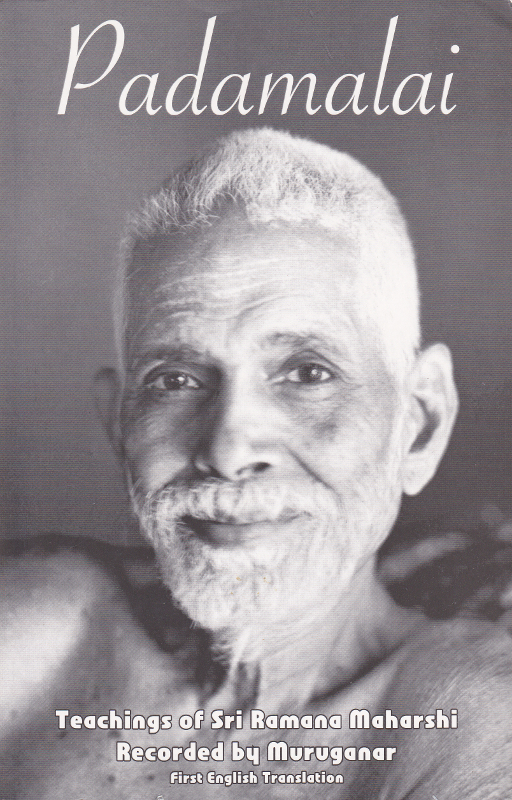 Contains the Bridal Garland of Letters, the Five Gems on Arunachala, both by Sri Ramana Maharshi, and an article about the Maharshi by the translator. 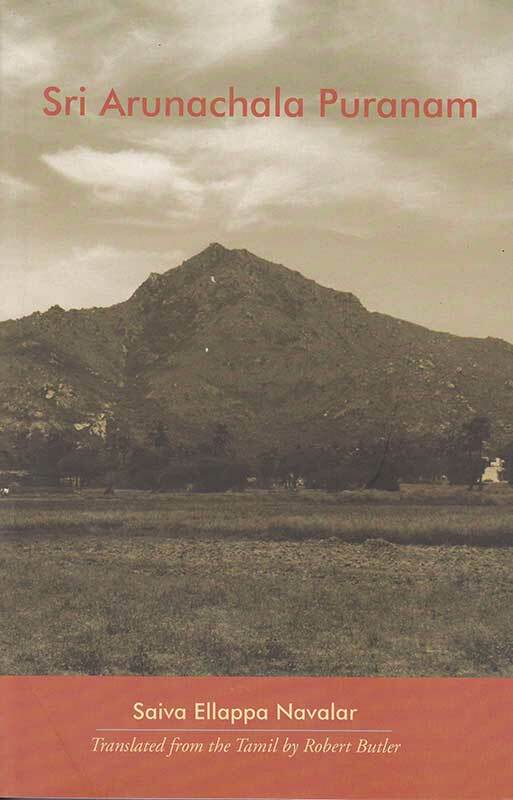 A detailed description of Arunachala and the Arunachalesvara Temple, with illustrations and photographs. 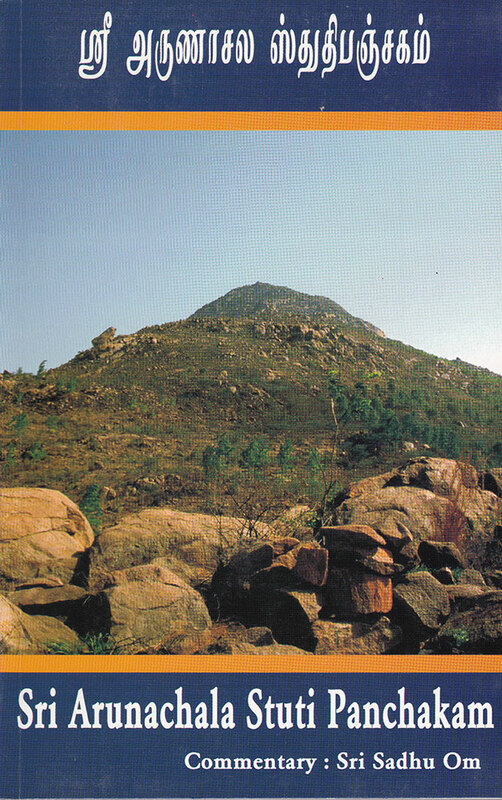 Covers both the spiritual significance and the physical aspects of Arunachala. 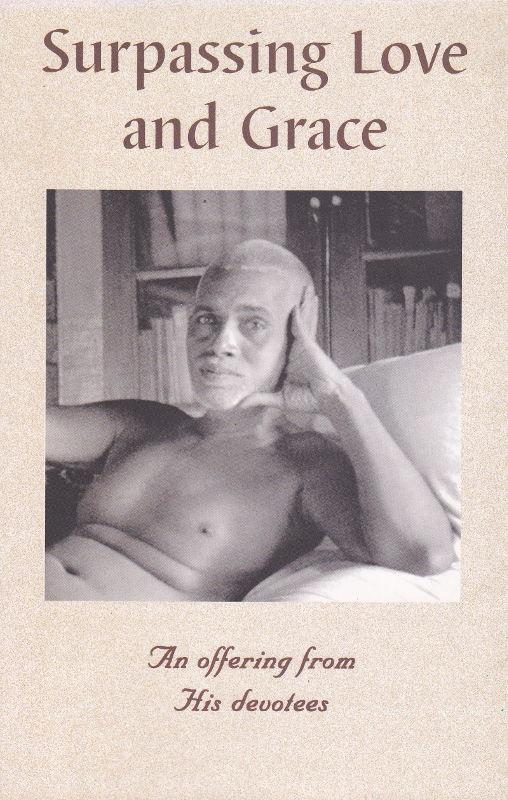 Contains reminiscences and teachings along with the author’s own essays. 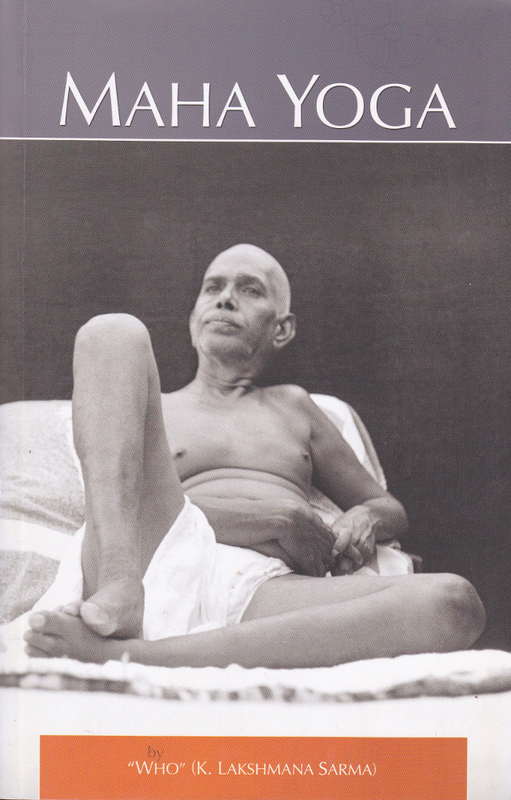 This beautifully produced book is a large collection of photographs of Sri Ramana Maharshi. 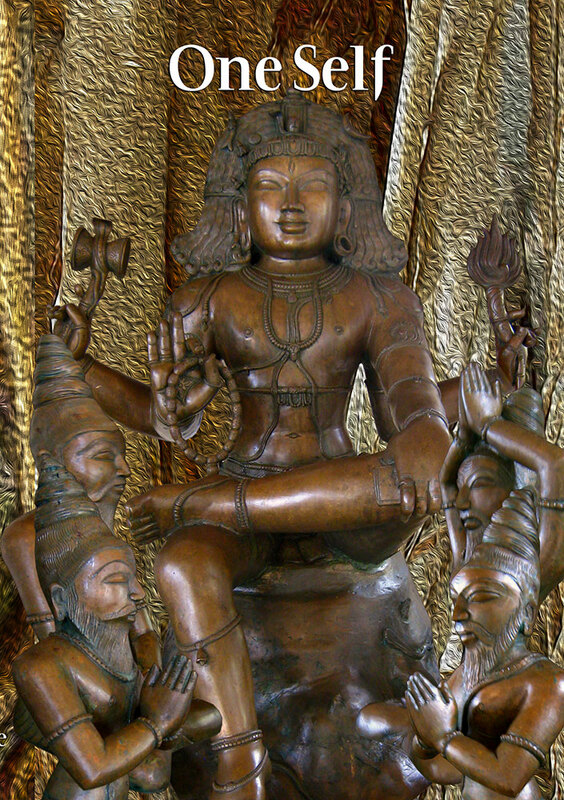 Accompanying the pictures are wonderful devotional passages, most of which are drawn from Sri Muruganar. 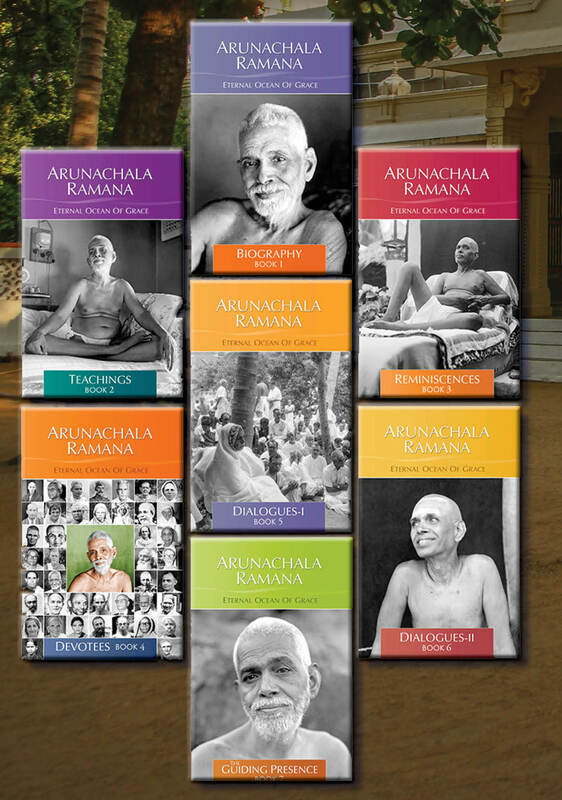 Contains the dialogs of Sri Ramana Maharshi categorized into different topics. Topics include Self, Self-enquiry and surrender, Guru, meditation and yoga, samadhi etc. 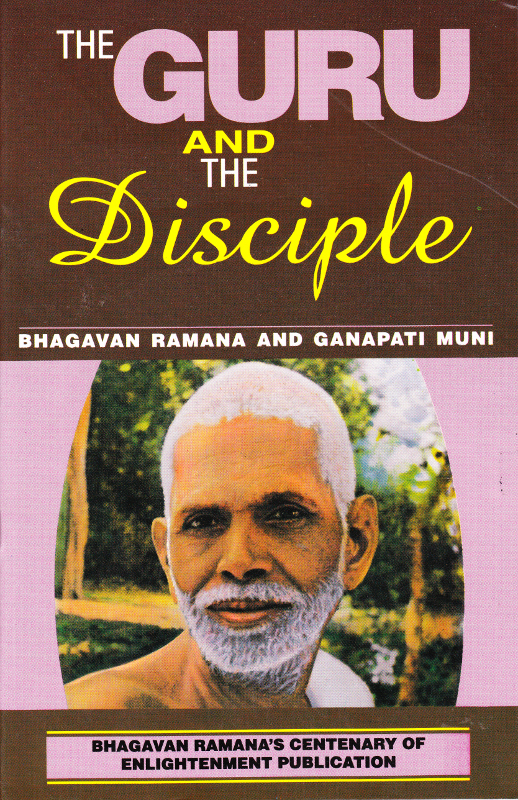 Chronicles the amazing details of the relationship between Sri Ramana and Ganapati Muni. 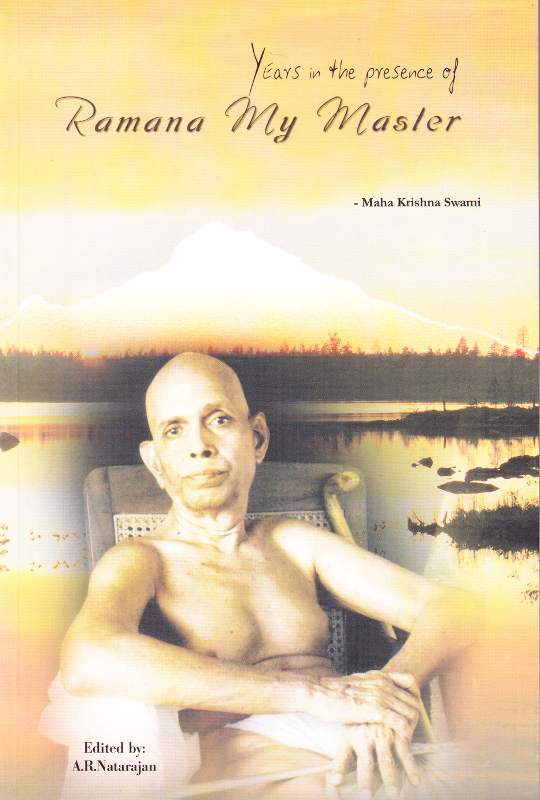 Also, provides a complete account of Muni’s inspired Sanskrit compositions. 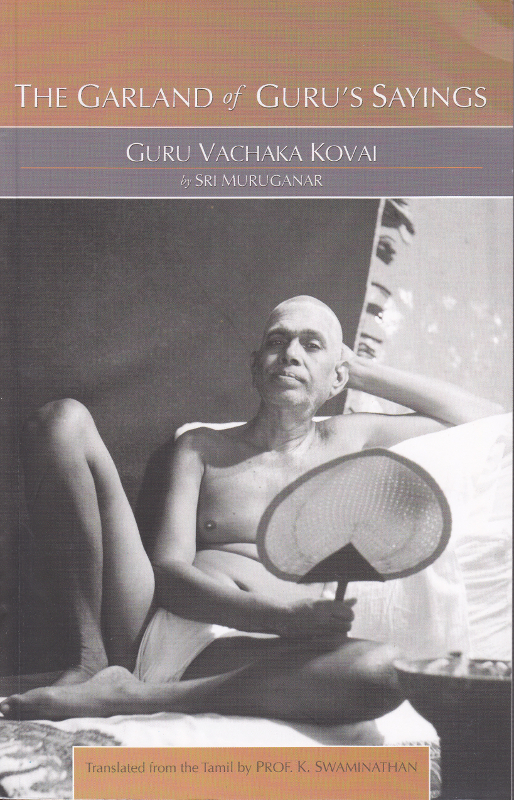 Contains an biographical essay about the Maharshi. 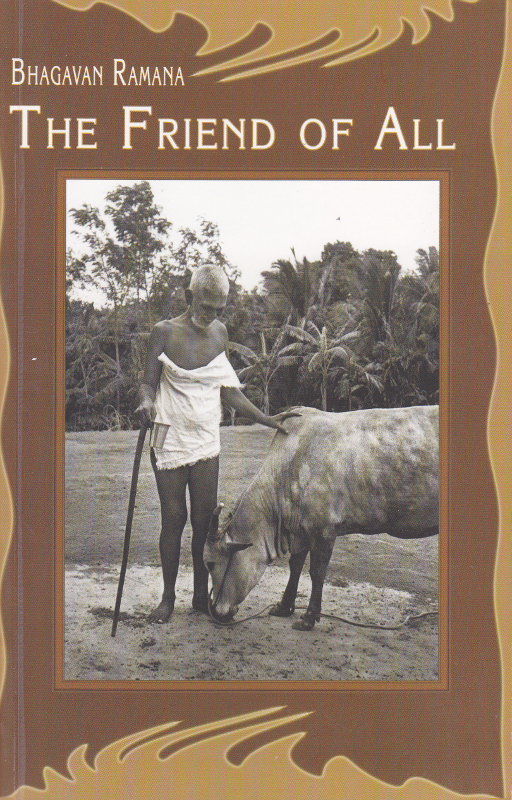 Contains anecdotes of the Maharshi’s compassionate interactions with animals at Arunachala. 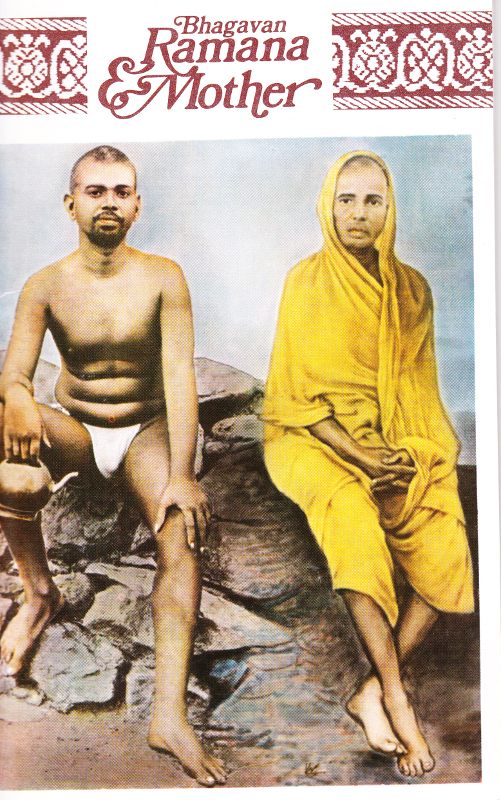 Describes the relation of the Maharshi and his mother, Azhagammal, and how he guided her to Liberation. 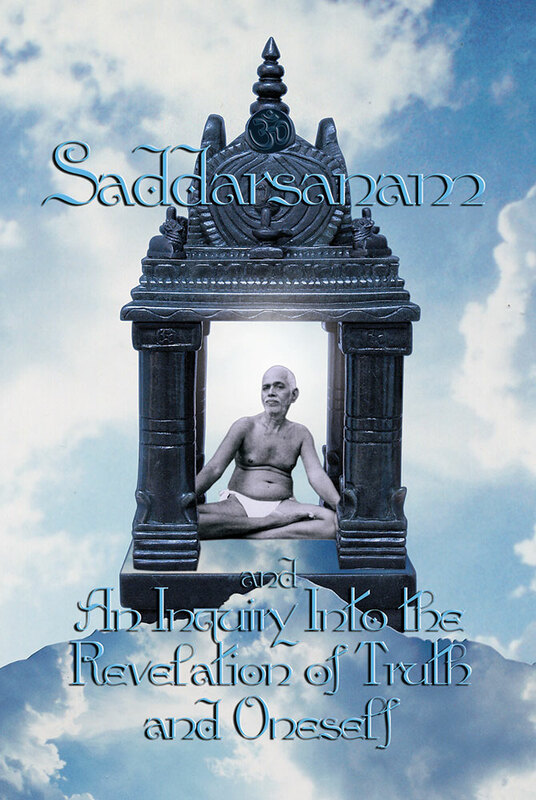 Selected dialogues containing the Maharshi’s teachings on Self-inquiry, meditation, the spiritual heart, samadhi, the jnani, and other topics. 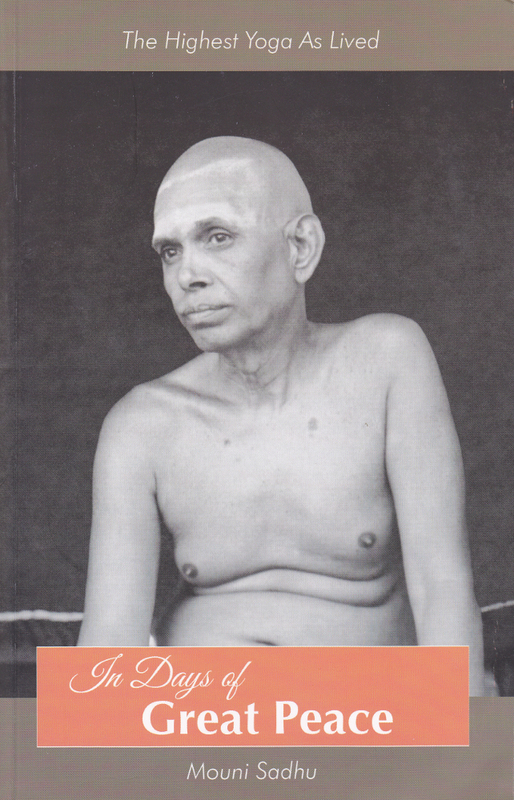 A collection of essays by the author and by other writers about the Maharshi and his teachings. 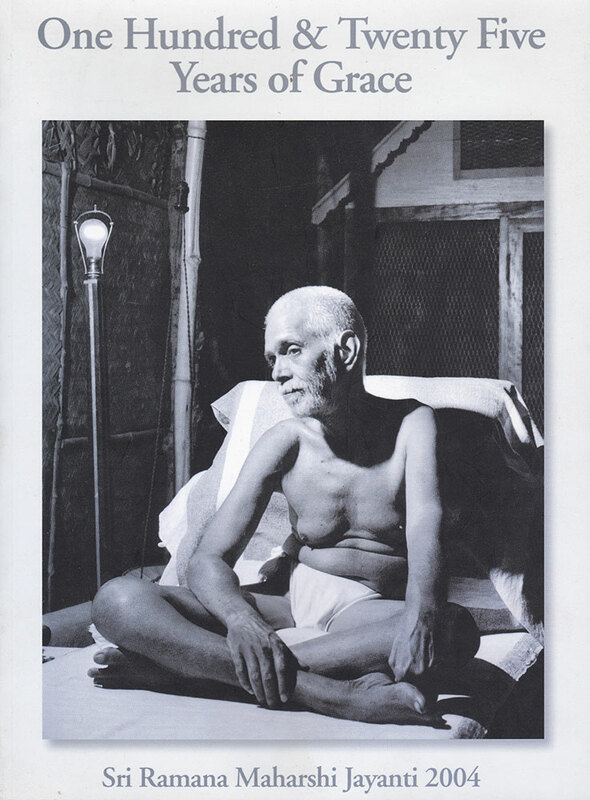 An exquisite collection of 50 prints, some in color and some in black-and-white, of photographs of Sri Ramana Maharshi. Extra large size. 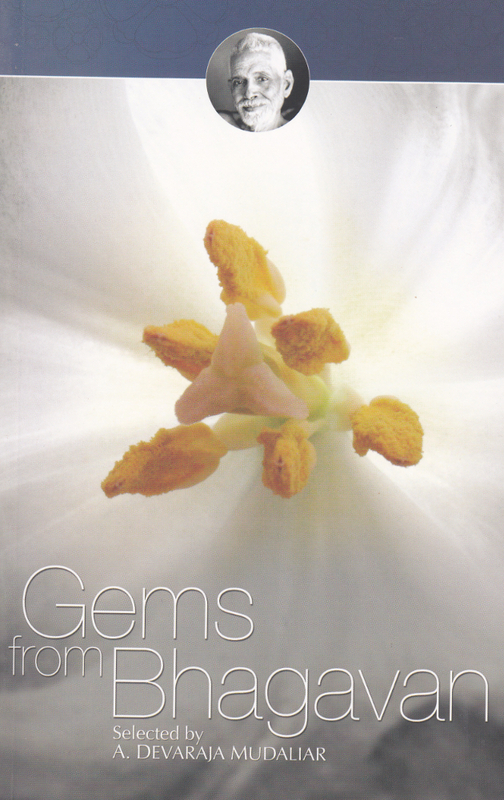 An exquisite collection of 48 prints, comprising 35 newly restored photographs with 7 close-ups. Extra large size. 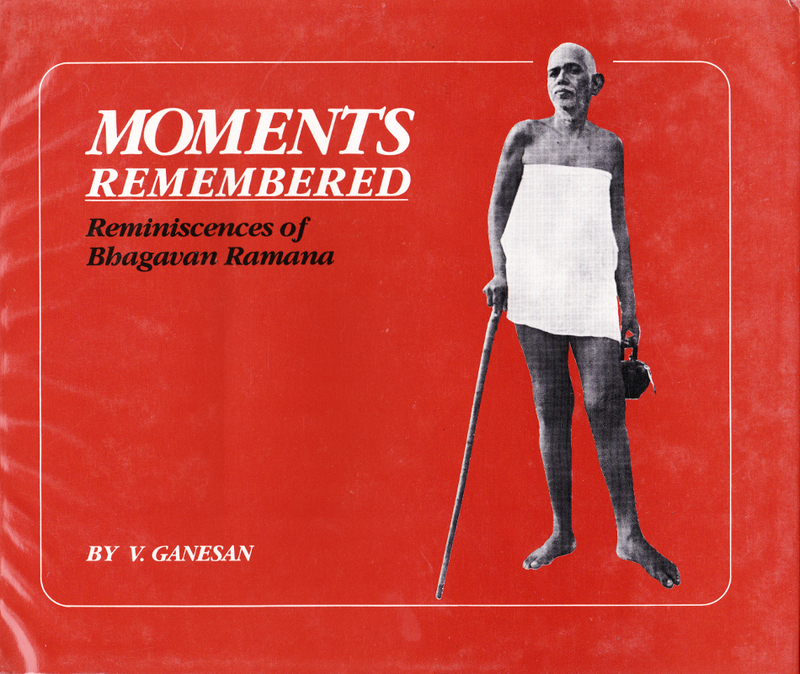 Contains the recounting by 42 devotees of miraculous events that occurred for them by the Grace of Sri Bhagavan. 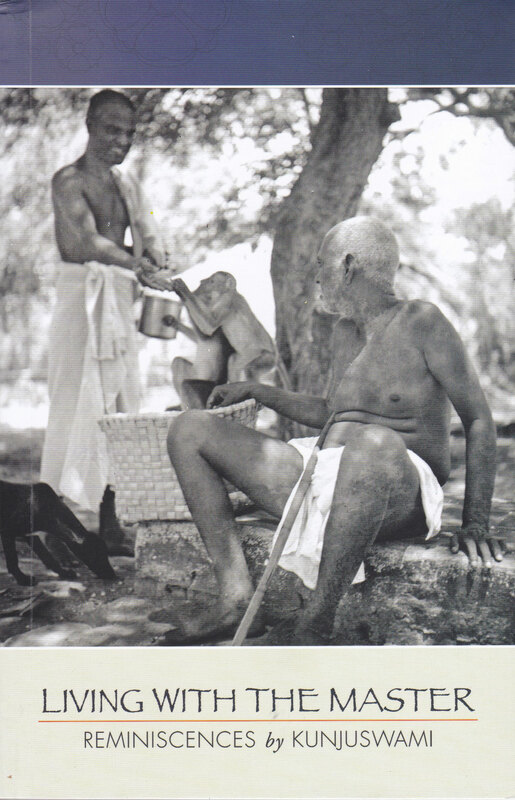 A biography of the Maharshi, with wonderful photographs. A delight for the eye and the heart. 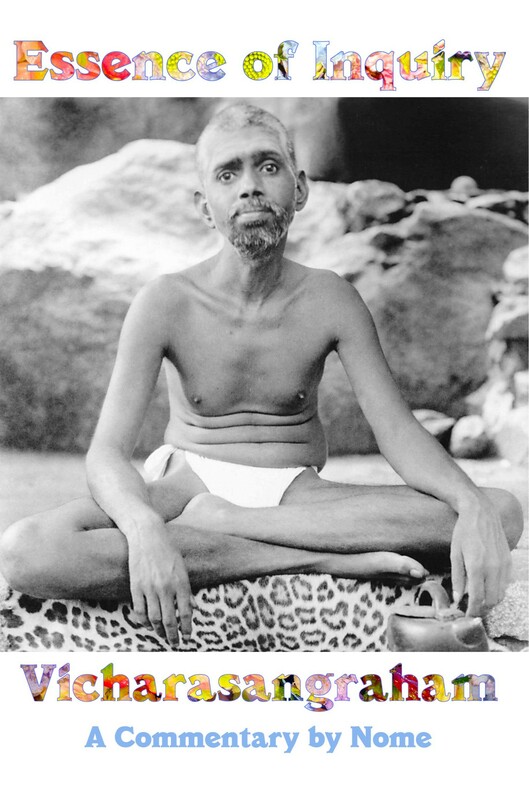 Quotations of the Maharshi dealing with devotion and yoga. 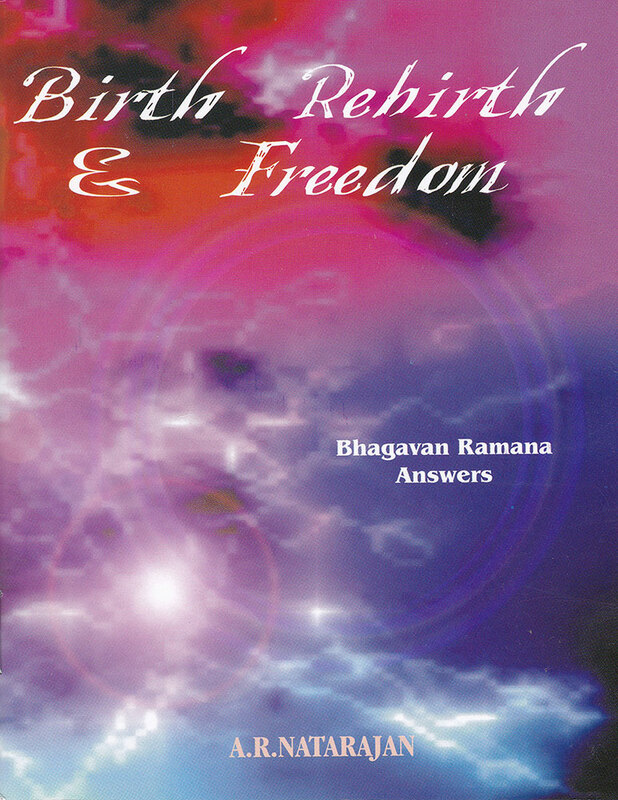 Compilation of answers given by Sri Ramana Maharshi to questions on birth, rebirth, freedom and getting rid of the mind. 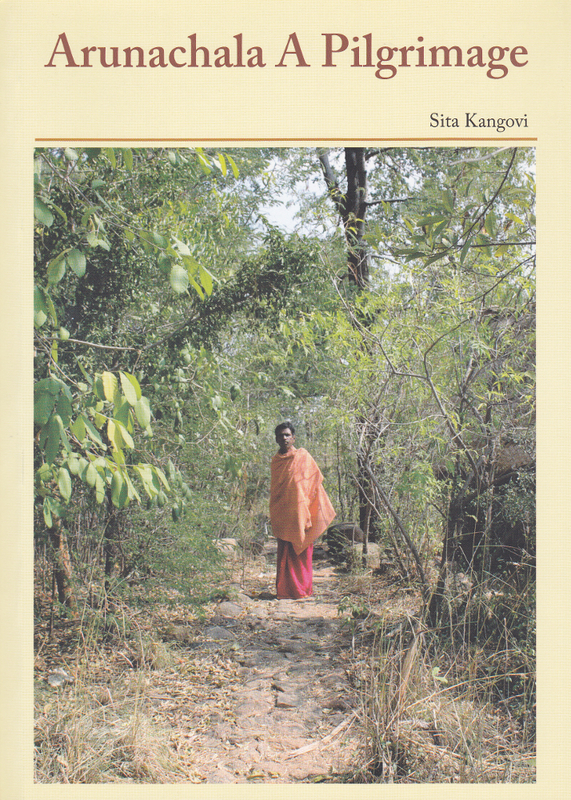 This book is filled with the reminiscences of anecdotes and dialogues that occurred with the Maharshi while she was present. Translation in English of the commentary of Smt. 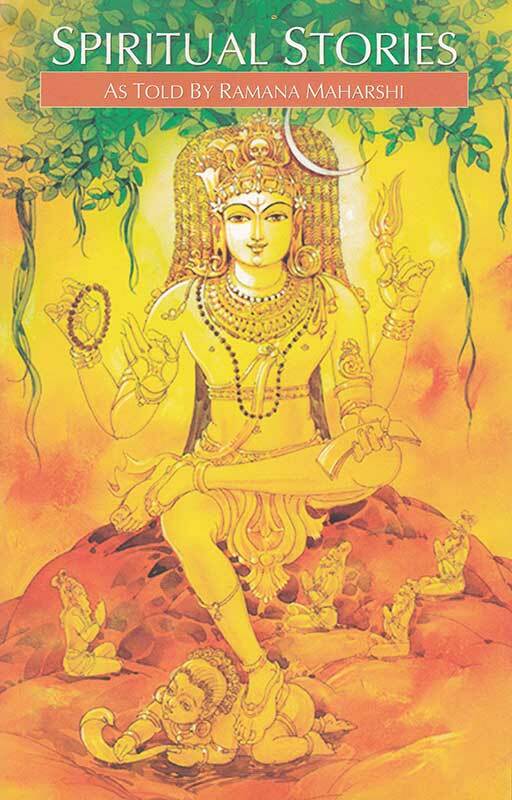 T. R. Kanakammal on Bhagavan’s rendition in Tamil of two spiritual classics from Sanskrit: Devi Kalottaram and Anma Sakshatkaram. 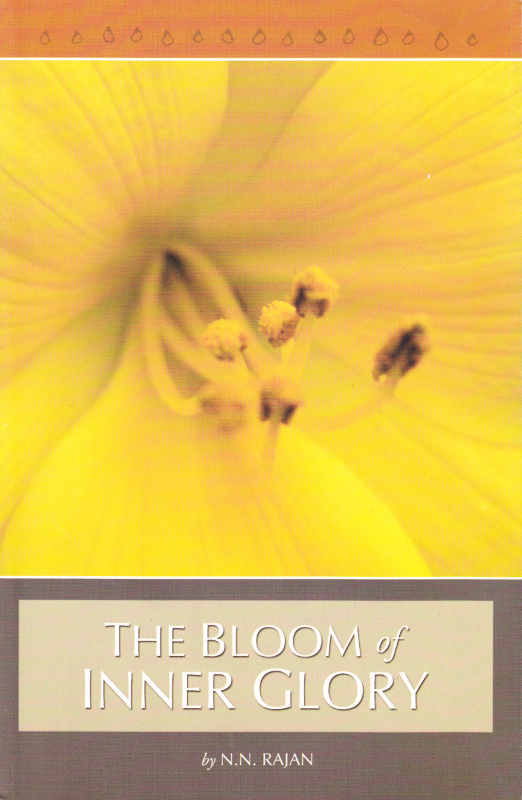 Contains meaning of each verse phrase by phrase followed by the commentary on each verse. 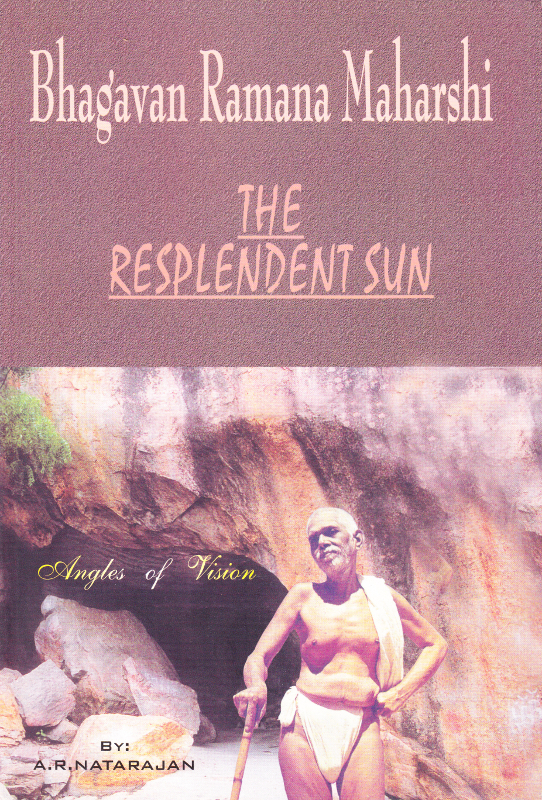 Contains Sri Bhagavan’s original poetic works and the English translation of Smt. 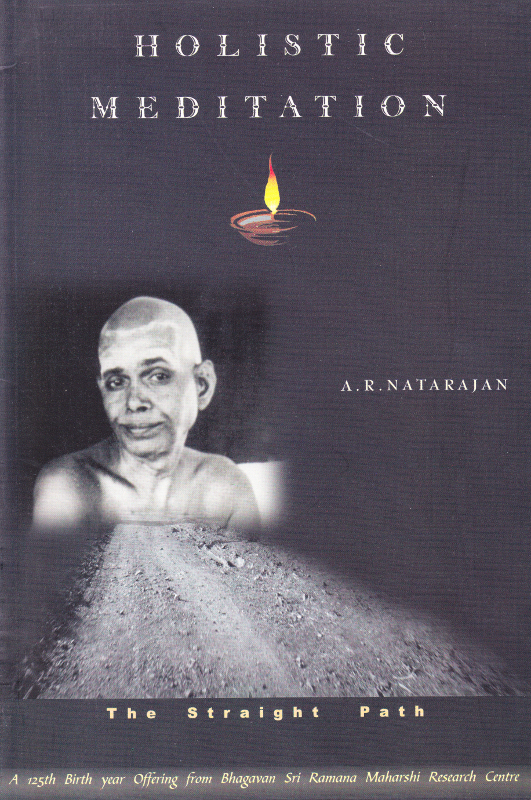 T. R. Kanakammal’s commentaries on them. 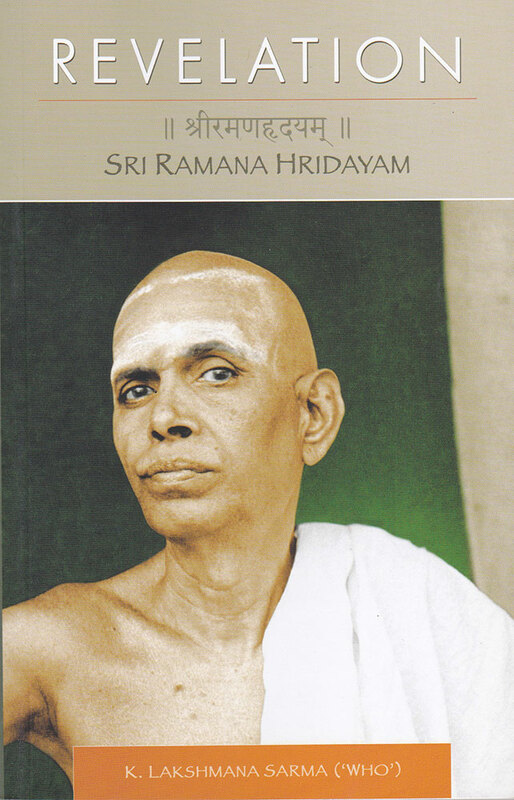 Recounts the authors time at Sri Ramanasramam and includes teaching of the Maharshi and dialogues with him. A collection of quotes selected from the much larger work, arranged in a format to easily be carried with you to read where you wish. 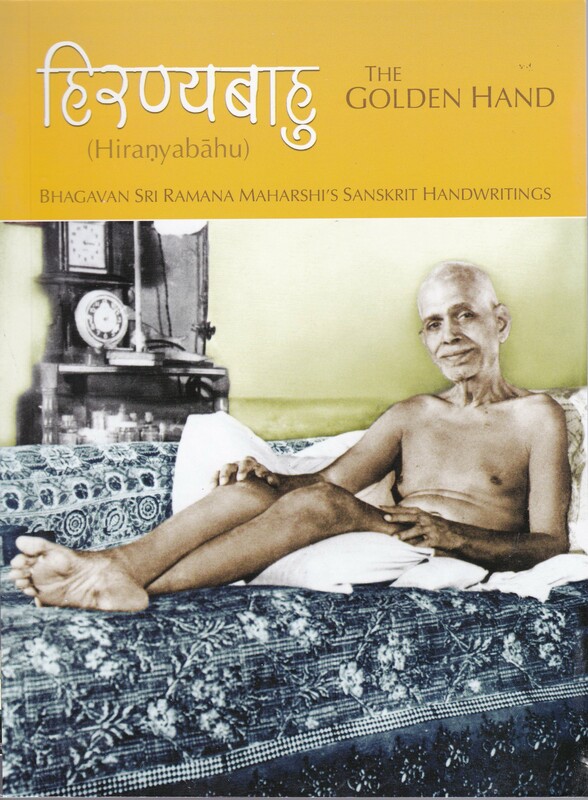 A full collection of teachings, with some anecdotes, of the Maharshi, recorded in diary form, spanning 1945 to 1947. 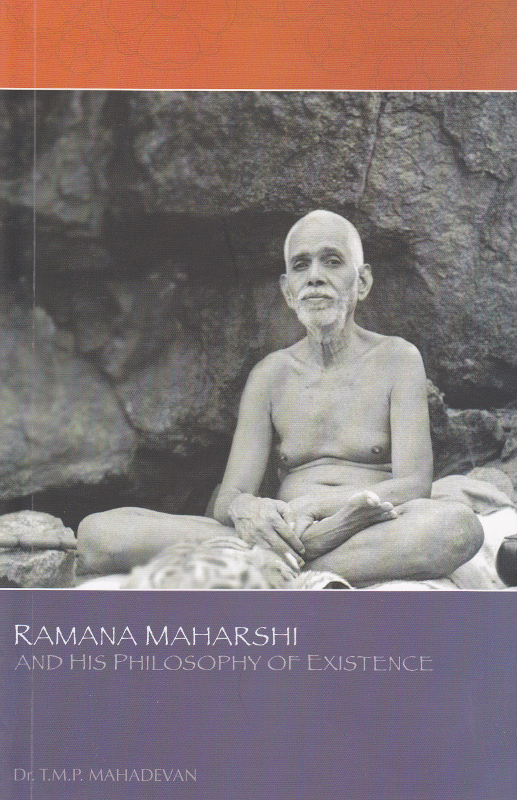 Contains quotations from the Maharshi, dialogues with him, and essays by the author. 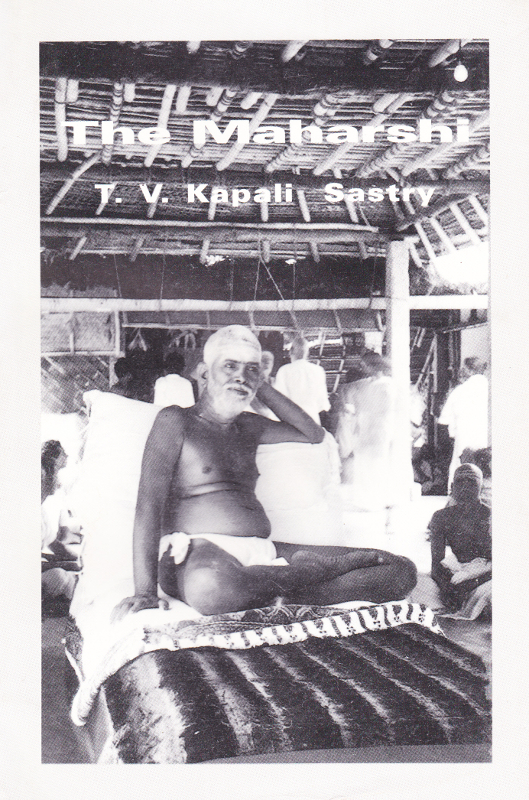 Contains a set of essays dealing with various aspects of the Maharshi’s teachings. 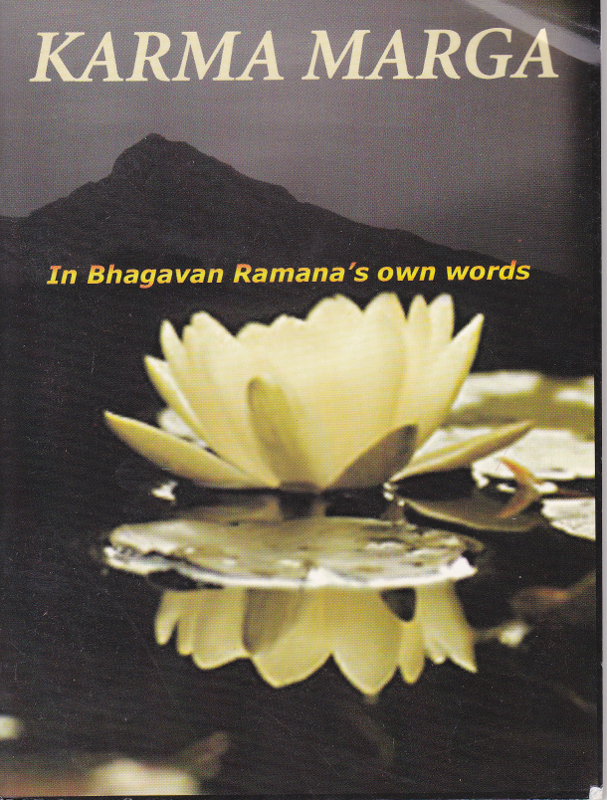 A commentary on the verse composed by Bhagavan Ramana from “Ramana Gita”. 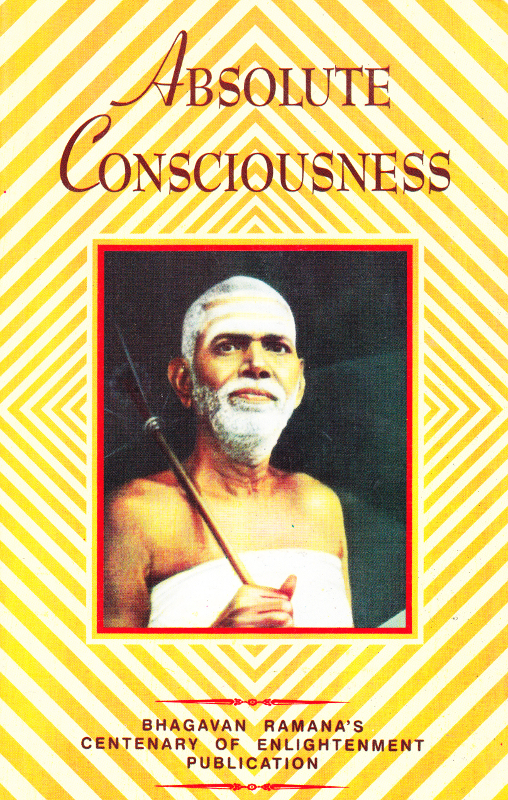 A compendium of profound teachings derived from several other works recording the Maharshi’s Knowledge. 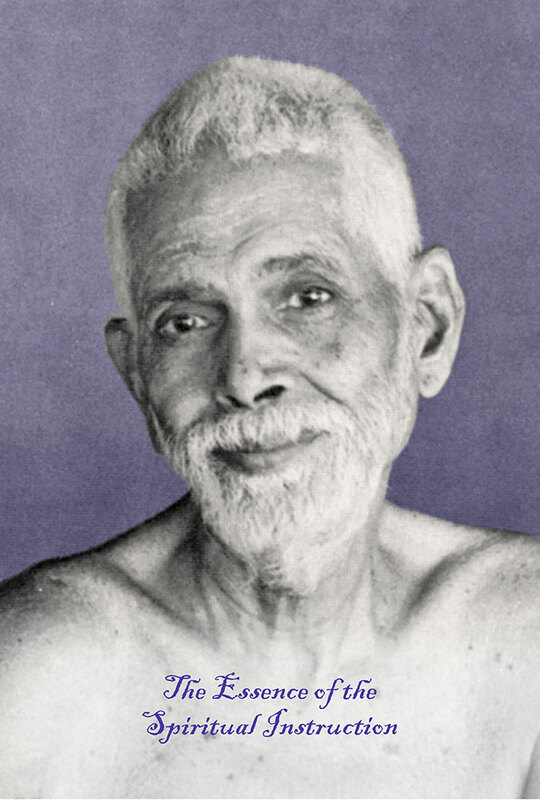 “Essence of Inquiry” contains Sri Ramana Maharshi’s earliest recorded teaching, Self-Inquiry, and a commentary on this scared scripture for the spiritual benefit of the seekers. 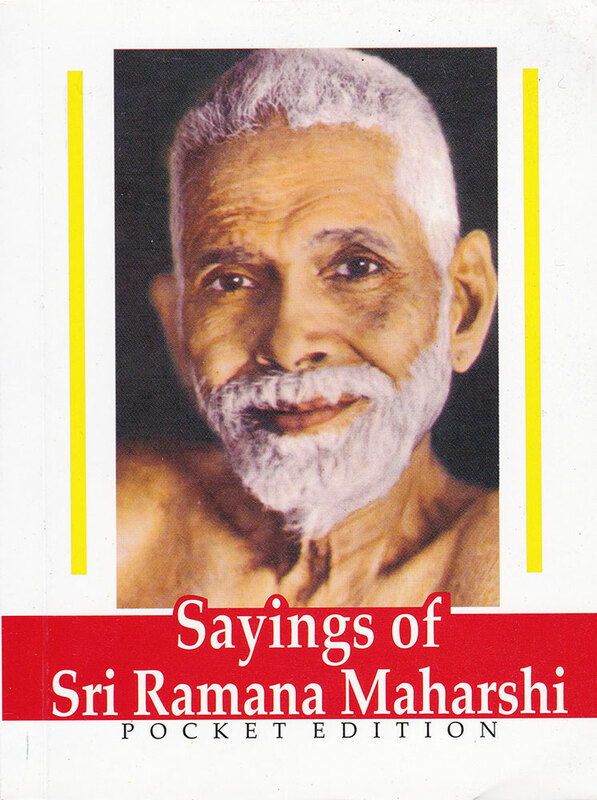 Devotional and inspiring reminiscences of people who visited or interacted with Sri Ramana Maharshi. 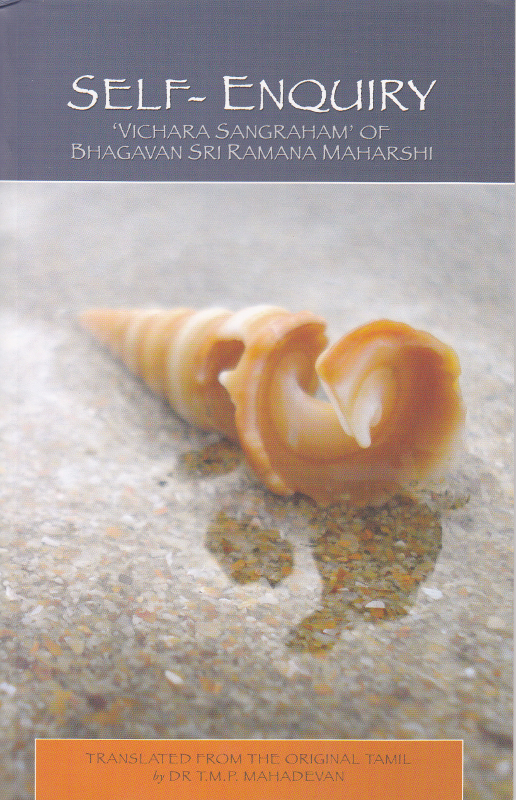 The first-hand stories of time spent with the Maharshi by a number of visitors, seekers, devotees and disciples. 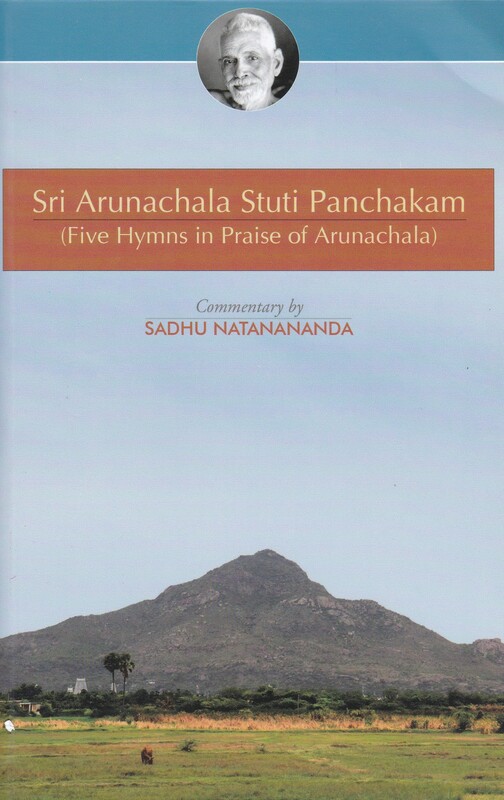 Contains Tamil and English versions of the Hymns to Arunachala, Self-Knowledge, Upadesa Saram, Ulladu Narpadu, and other verses. 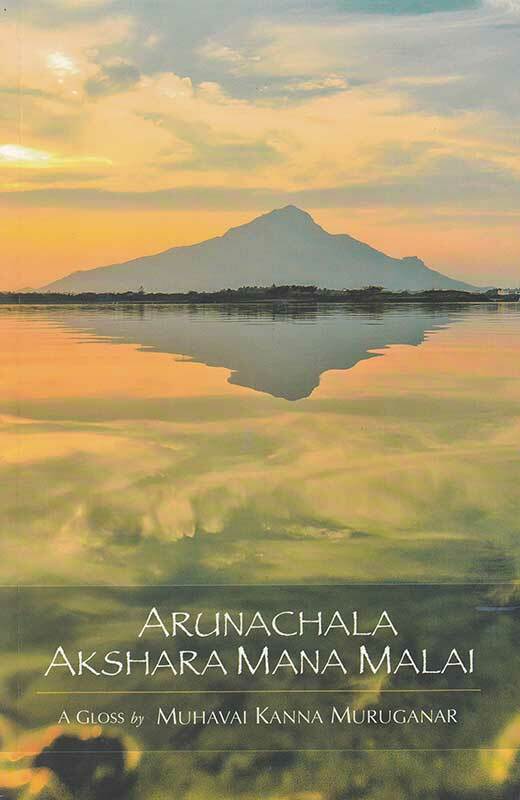 Contains English translations of the five poetic compositions by the Maharshi, addressing the Self and its Realization in the symbolism of Sri Arunachala. 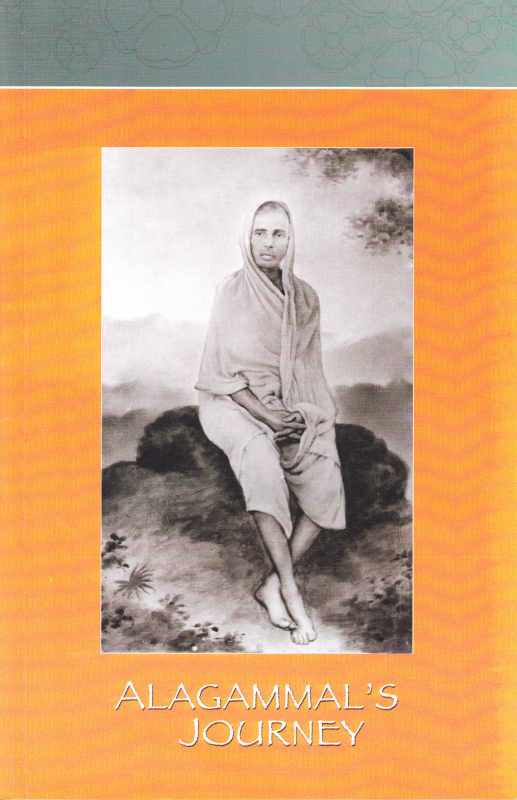 Essays by a large number of contributors about the Maharshi and his teachings, including quotations from the Maharshi and dialogues. 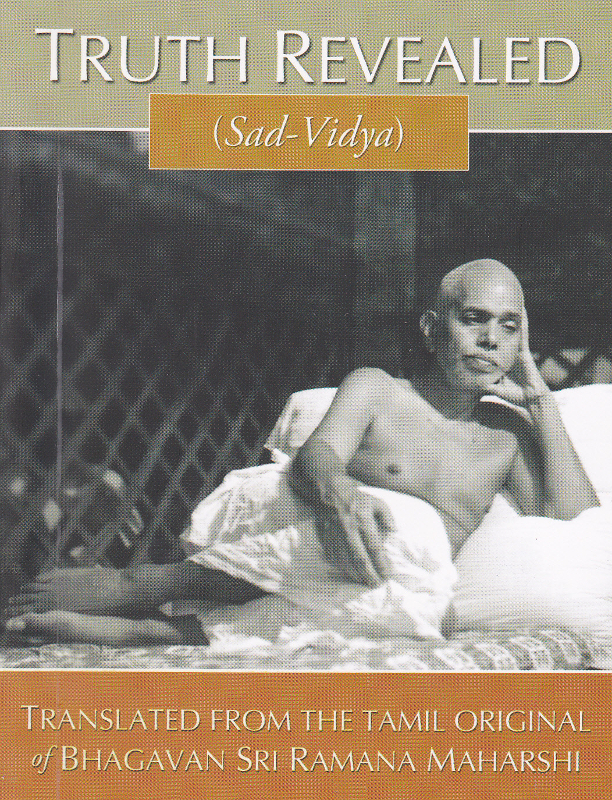 Devotional work by the great poet and scholar. 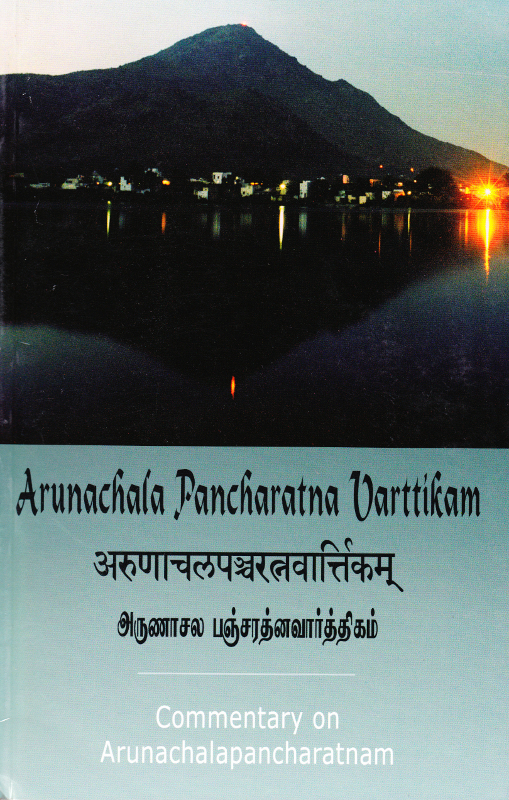 Includes Sanskrit original, Tamil transliteration, Tamil Translation, English transliteration, and English translation. 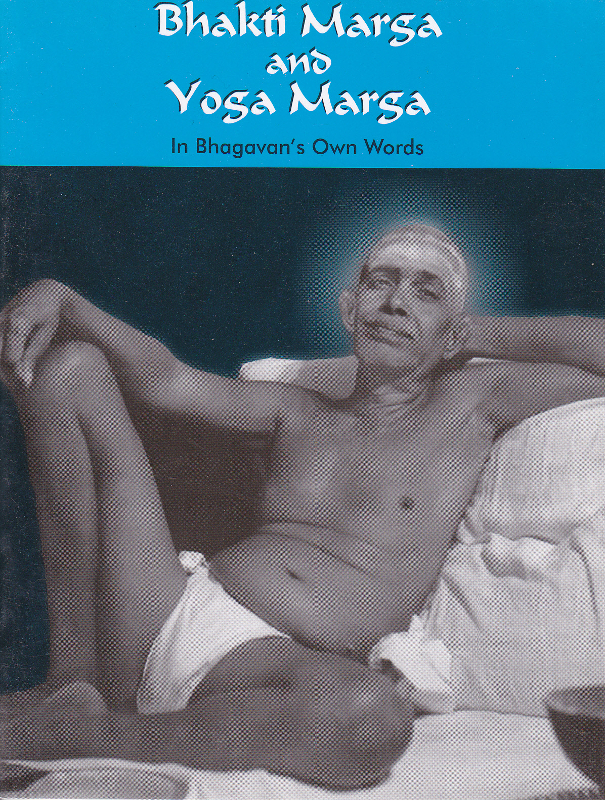 A different translation of this invaluable, profound work by the Maharshi. Included Cohen’s commentary on the verses. 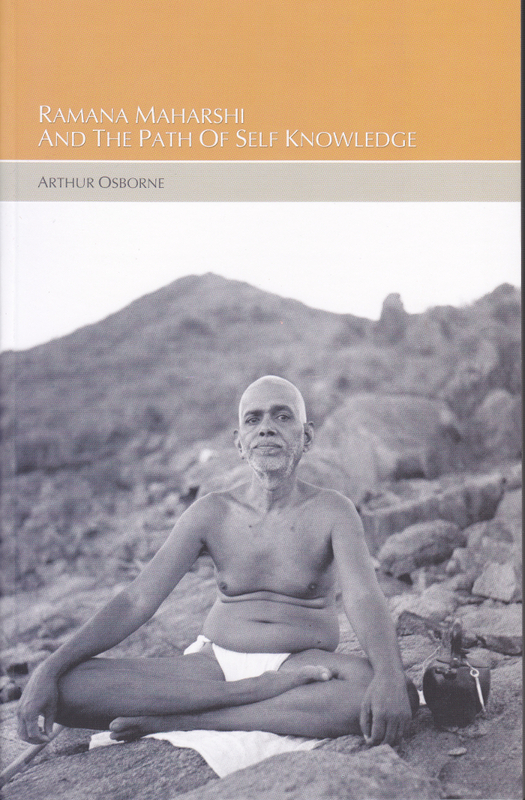 A collection of essays by numerous authors relating to the Maharshi including anecdotes of their time with him. 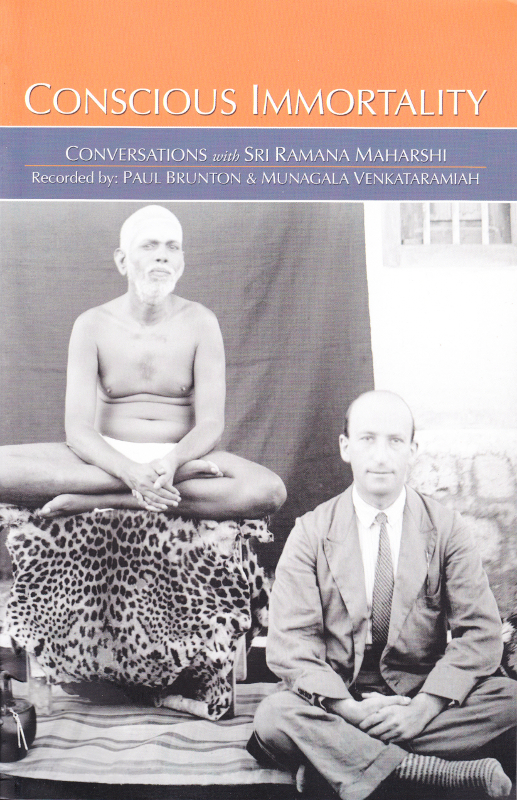 Contains Humphrey’s descriptions of what he heard and experienced in the Maharshi’s presence. 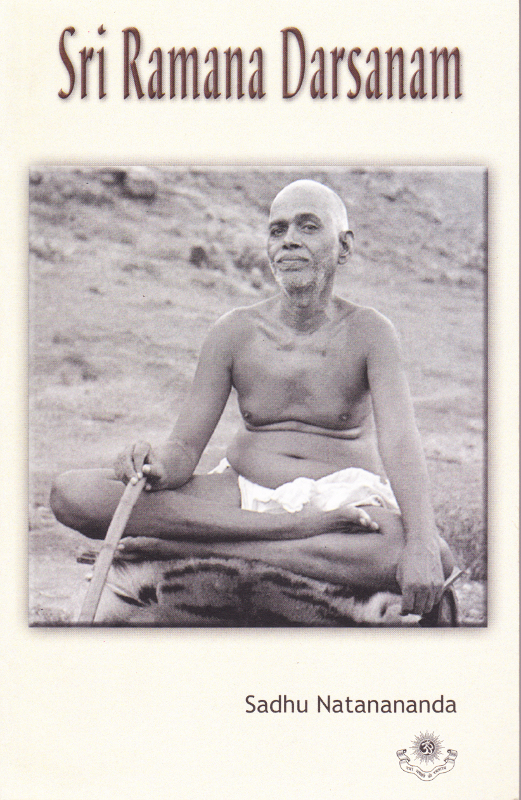 English translation of verses by Sri Muruganar, recording the teachings of the Maharshi. 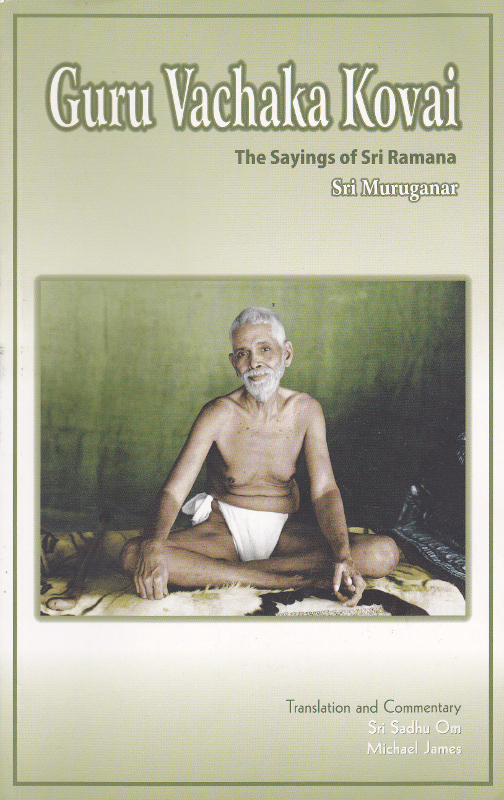 A wonderful translation in English of Sri Muruganar’s recording in verse form of the teachings bestowed by the Maharshi. 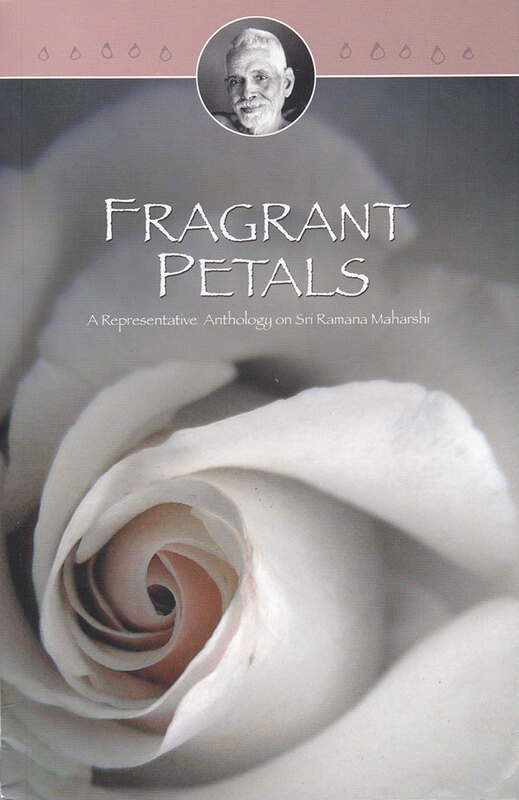 This is another translation of the inspired poetical work by Muruganar (Garland of Guru’s Sayings). 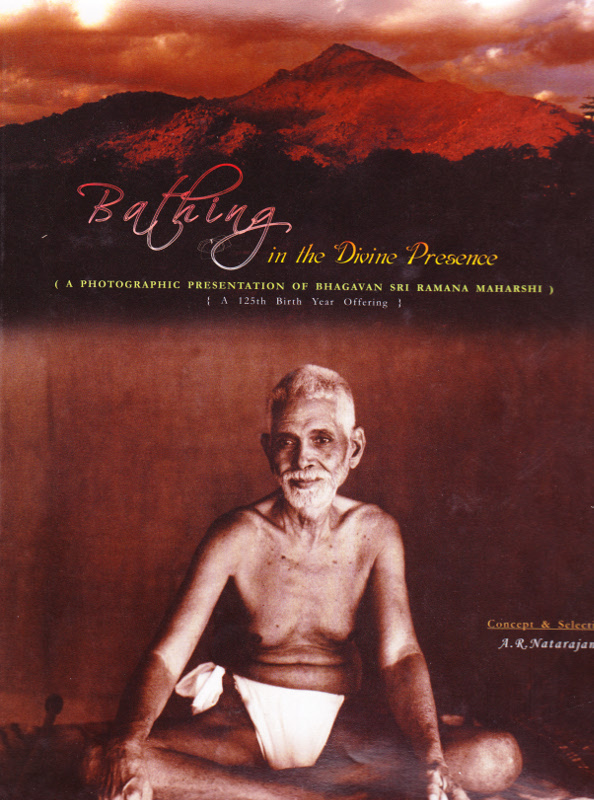 A beautiful pictorial display of black and white photographs, some of the Maharshi and some of scenes of the Arunachala environment, with quotations from the Maharshi’s teachings. 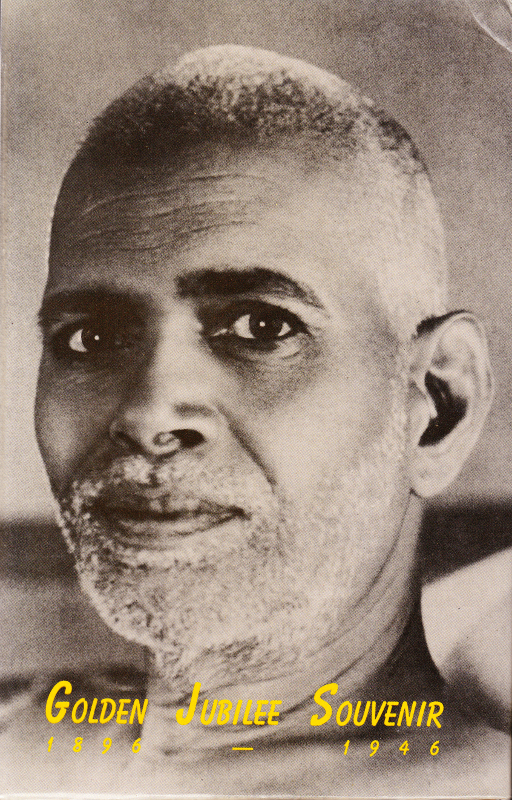 Sri A. R. Natarajan describes Sri Ramana’s path of Self-inquiry as a means to reveal the ever-existent Truth. 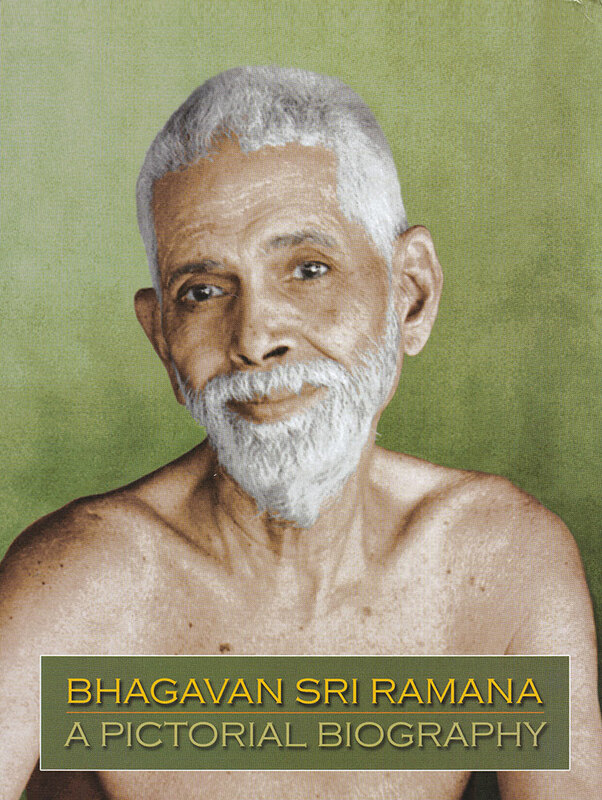 Writings by the author with quotations from Sri Ramana and from various texts and sources dealing with spiritual practice. 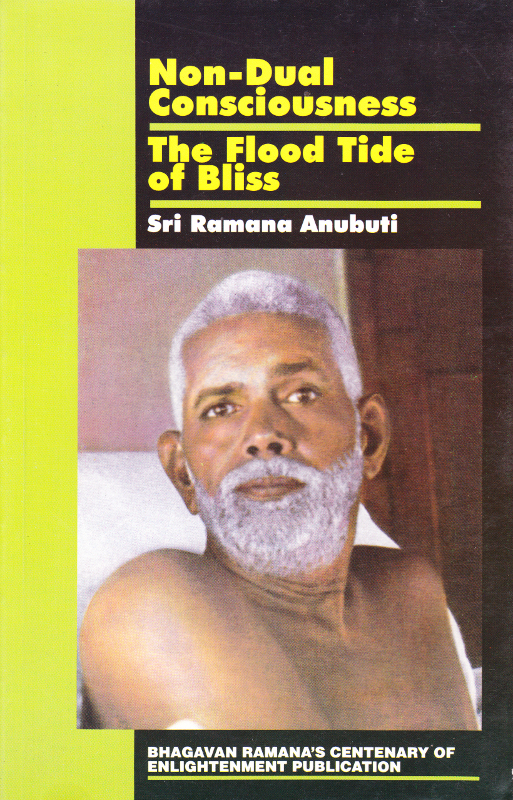 Incidents in the daily life of Ramana are a practical demonstration of love of one who is intoxicated with the bliss of abidance in the natural state. Thirty four incidents from his daily life have been selected. 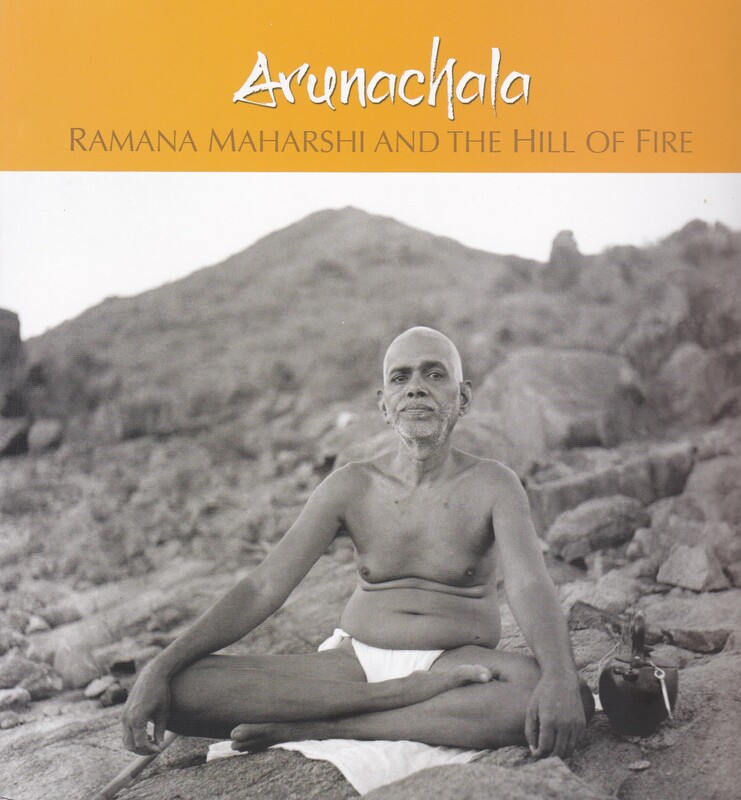 Recounts the author’s experiences with the Maharshi and on Arunachala, his impressions, states of mind, and his spiritual aspirations. 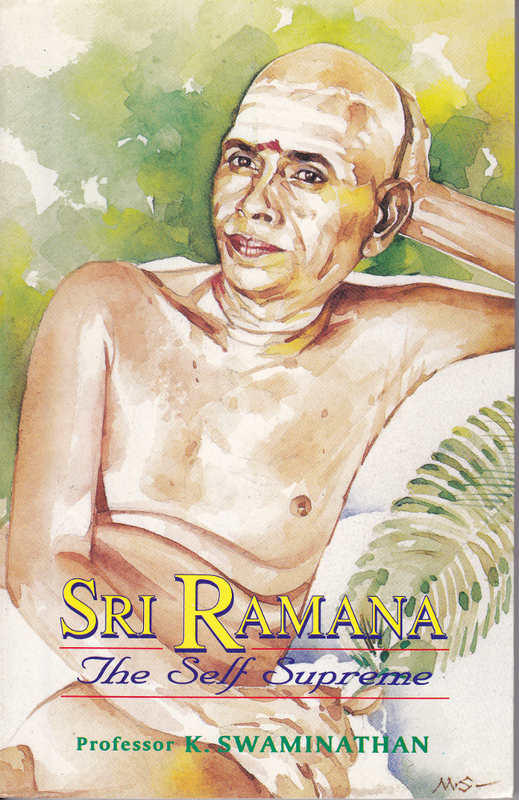 Contains the accounts of the lives of Niranjanananda Swami and Swami Ramanananda (T. N. Venkataraman) who selflessly served from the inception of Sri Ramanasramam to build, maintain, preserve, and cause to flourish this most sacred place. 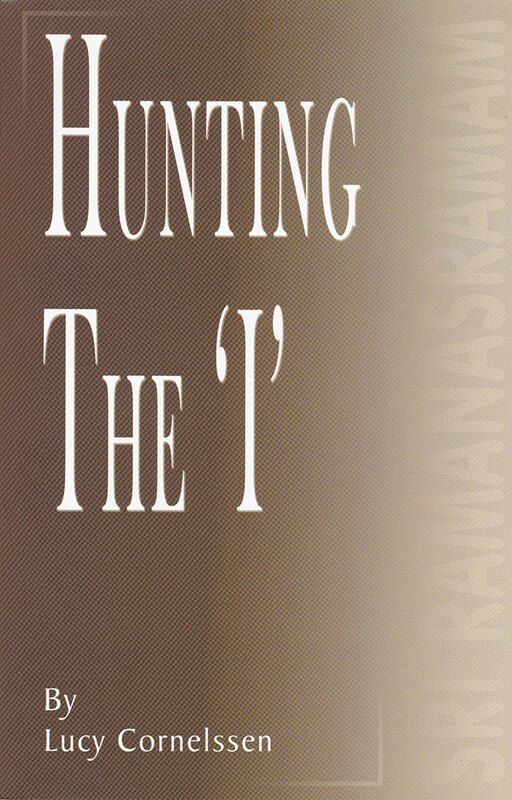 Essays on the practice of the Maharshi’s teachings with quotations from him. 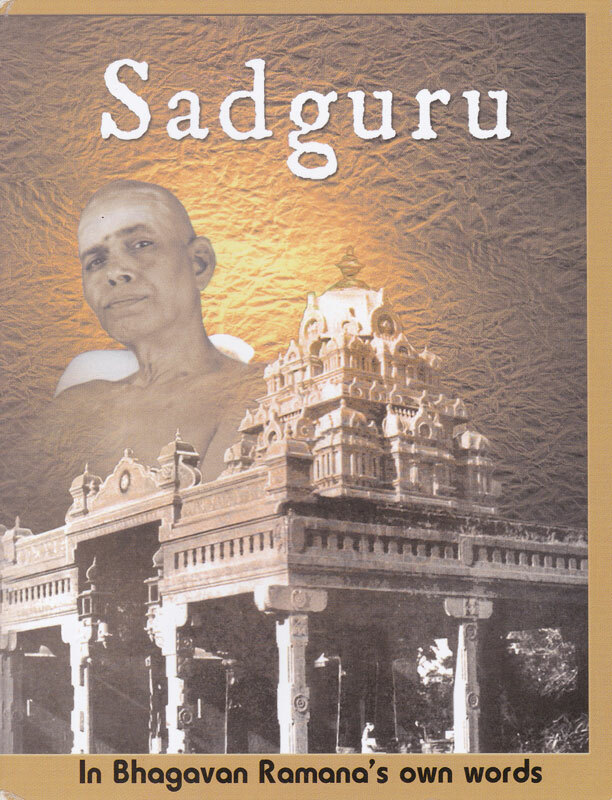 A selection by the Maharshi of passages from the Vichara Sagaram by Sadhu Nischaldas. 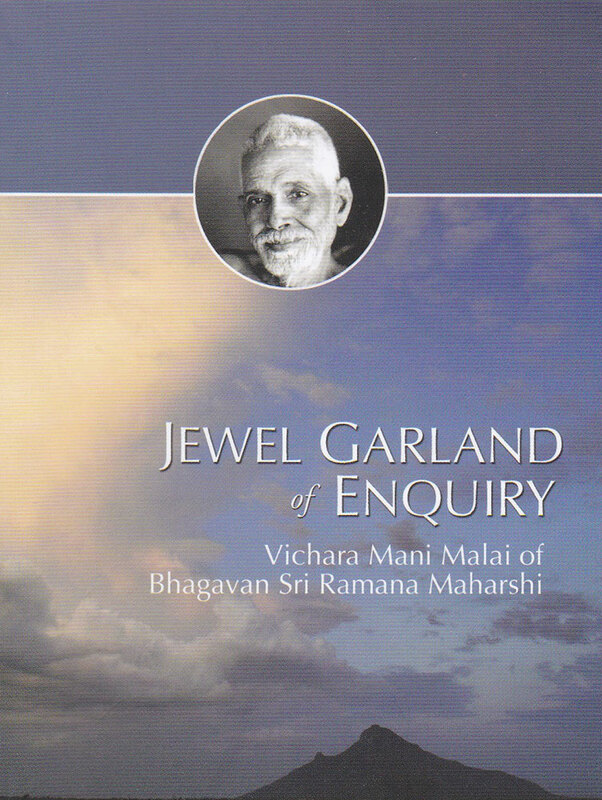 This small book presents important teachings of Vedanta and inquiry. 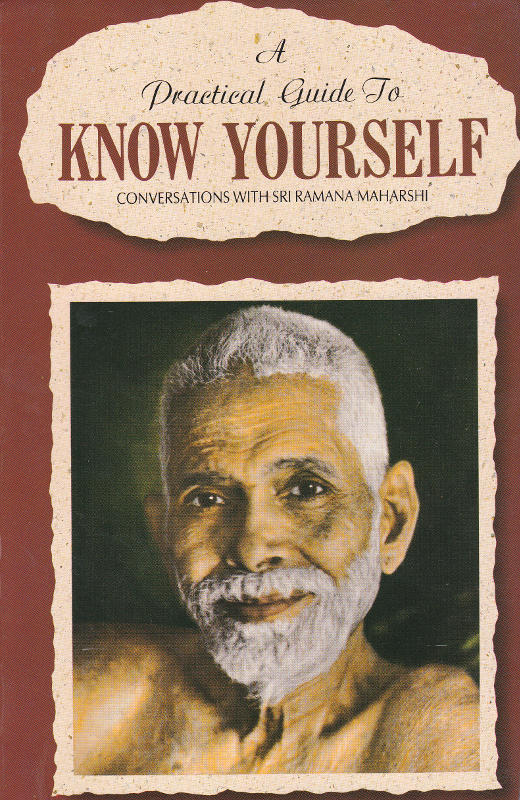 Small, easy to carry collection of teachings of the Maharshi dealing with Self-Knowledge. 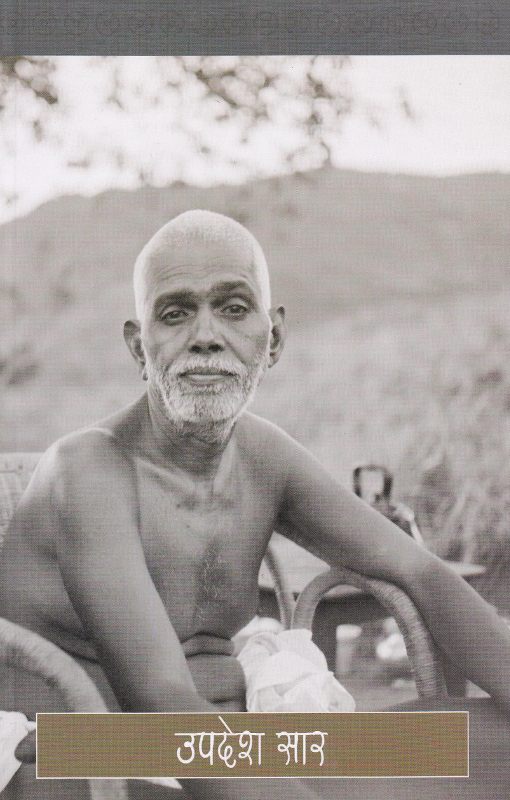 Quotations from the Maharshi about action in light of Nondual Truth. 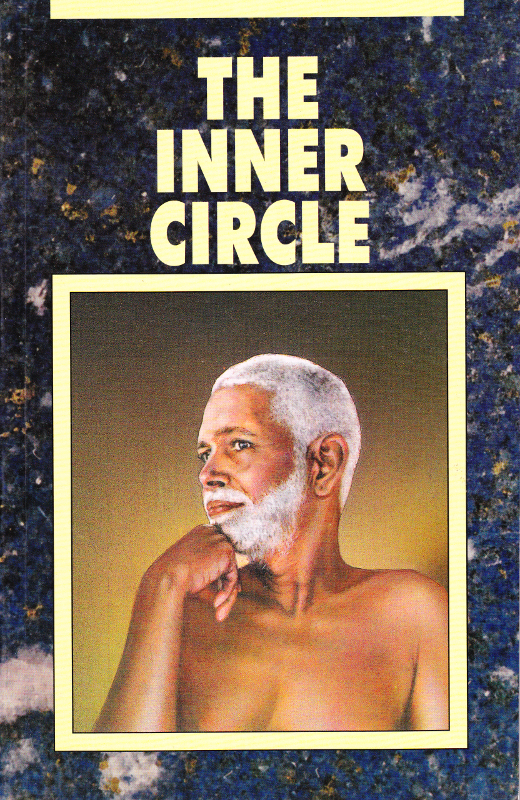 A collection of 87 quoted passages culled from several sources of the teachings of Sri Ramna Maharshi that deal with understanding the mind on the path of Self-inquiry. 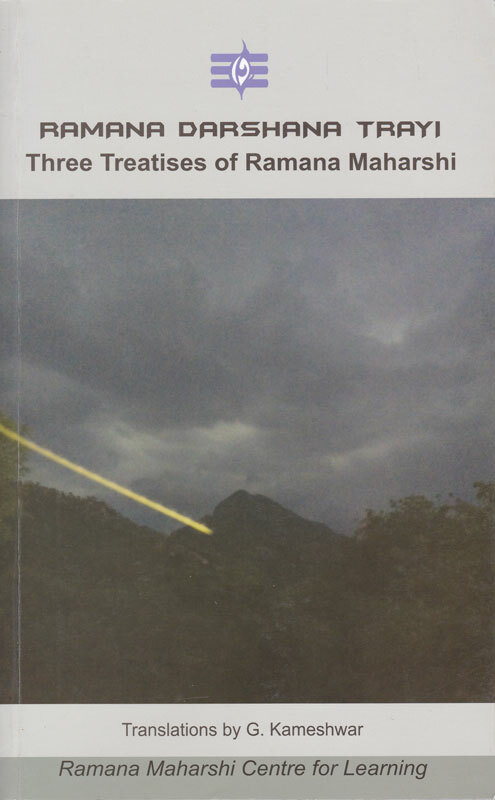 Recounts incidents and dialogues at Sri Ramanasramam with the Maharshi from 1945 to 1950, as well as describing the authors own deep devotion for the Maharshi. 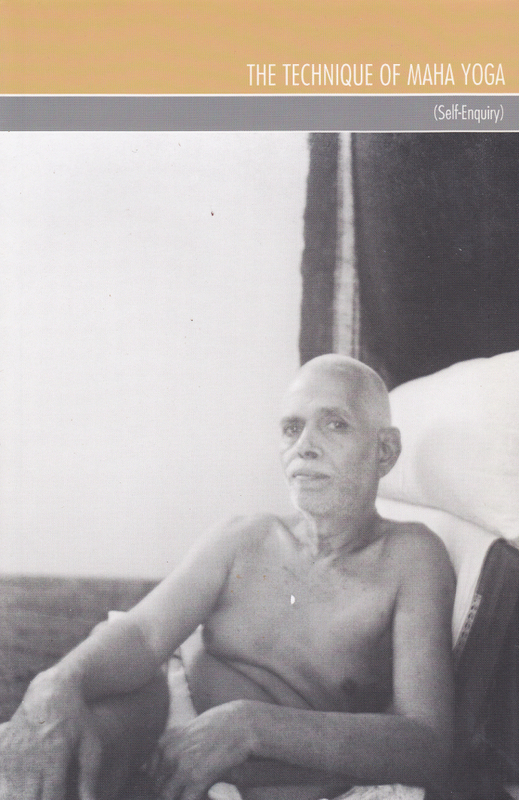 Story of Annamalai Swami and his service to Bhagavan Ramana Maharshi. 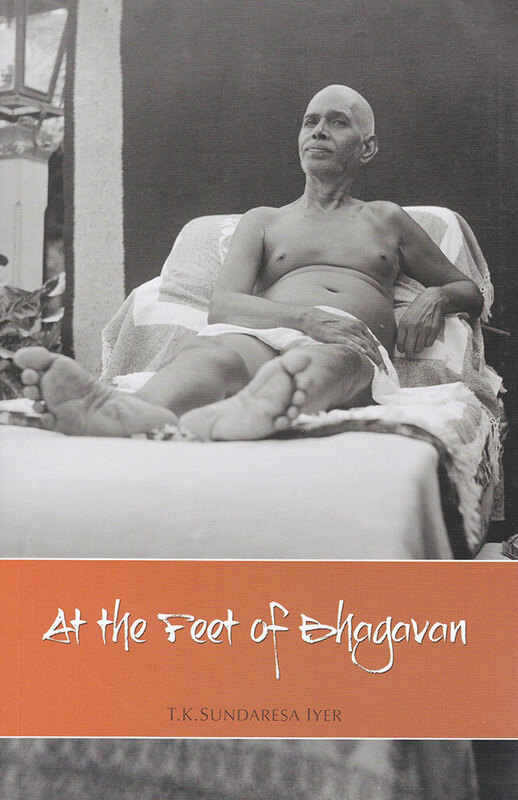 Impressions of several devotees of their time and experiences with the Maharshi, describing what they saw and heard. 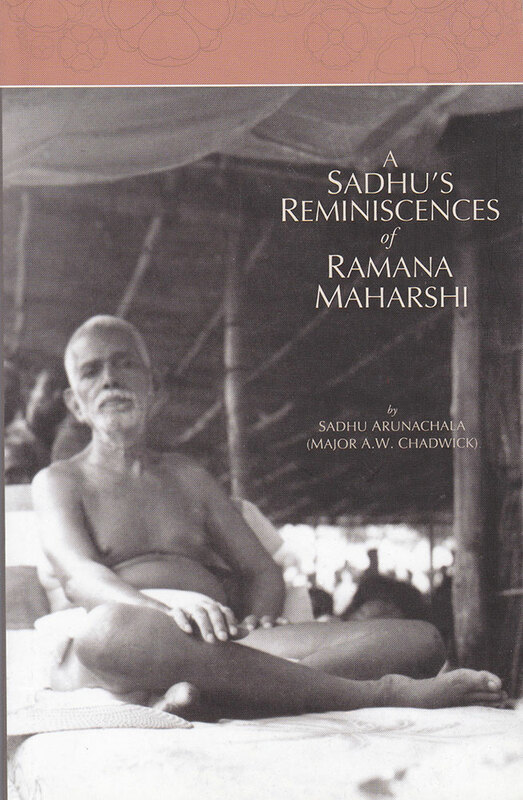 Reminiscences and anecdotes about the Maharshi during the author’s long association with him from 1920 to 1950. 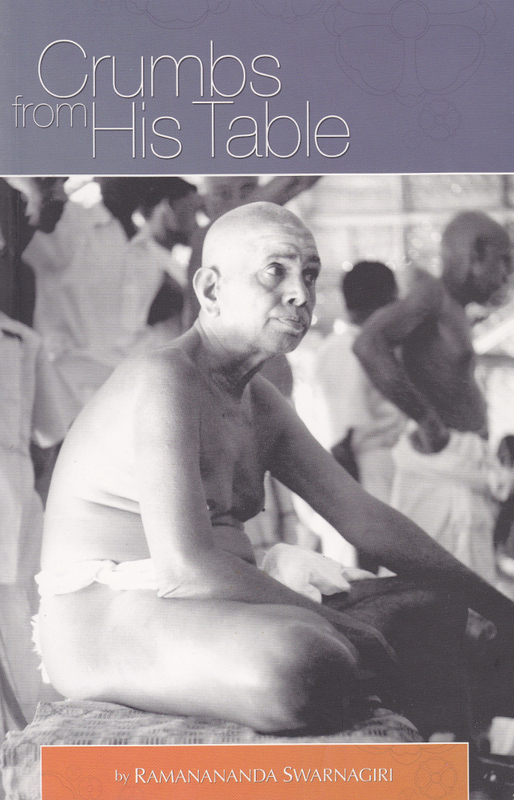 Contains the life story of Ganapati Muni. 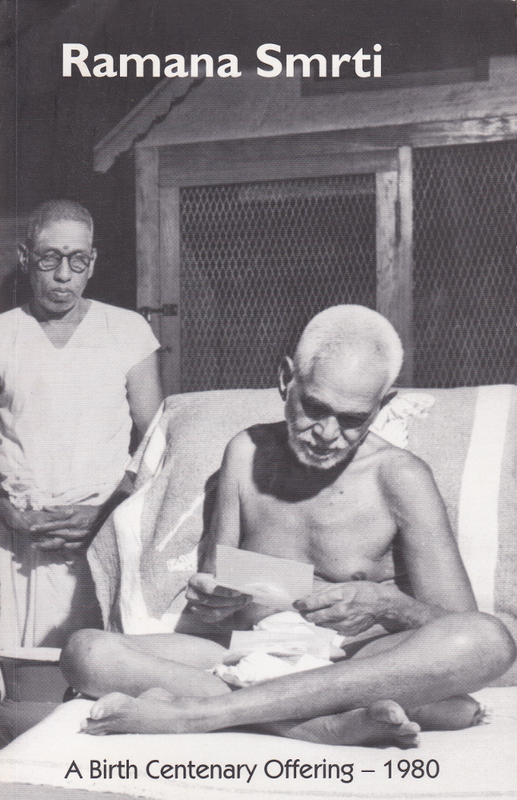 The story brings out Ganapati’s literary excellence, his intense spiritual practice (tapas), the Grace he received from Sri Ramana, how the work Sri Ramana Gita took birth, and many more topics. 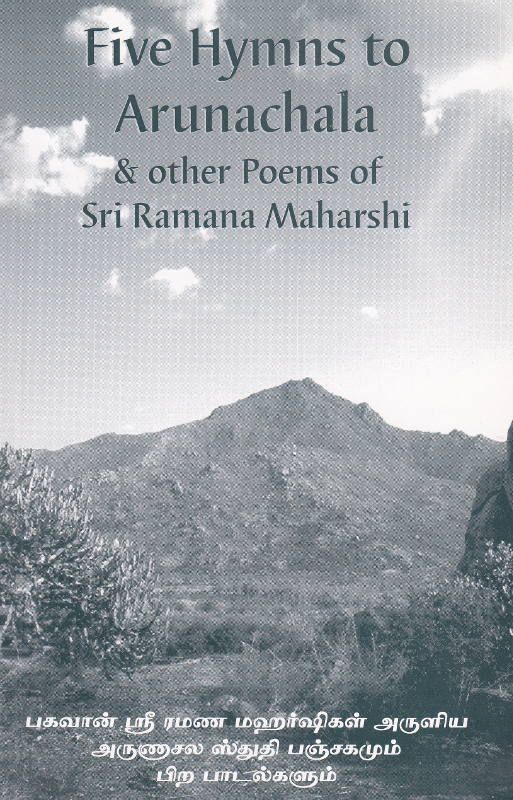 Writings by the author about the Maharshi’s teachings, with quotations from the Maharshi. 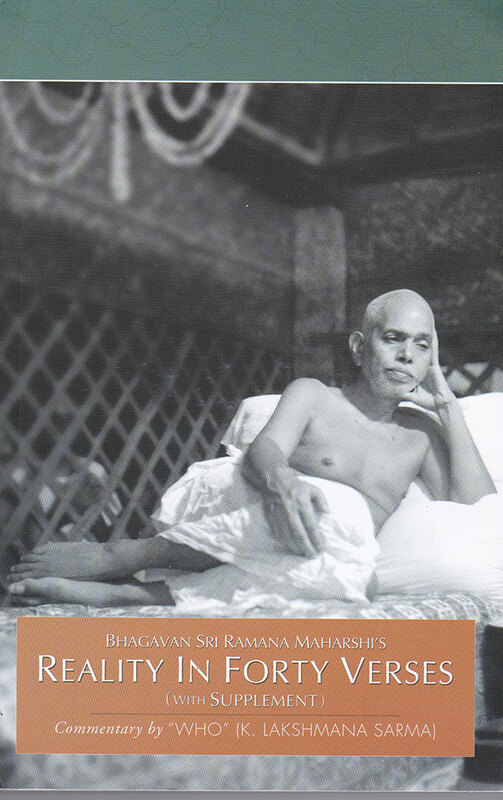 Contains teachings by the Maharshi, divided into spiritual topics such as work and renunciation, silence and solitude, bhakti and jnana, Self and individuality, Self-Realization, Guru and His Grace, Peace and Happiness, the Jnani and the world, and other topics. 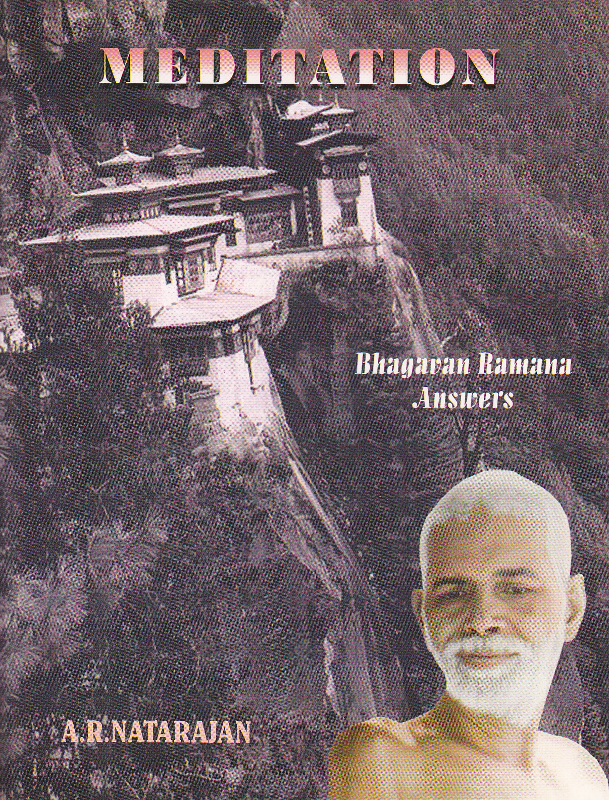 Compilation covering about fifty questions with Ramana’s answers on meditation. 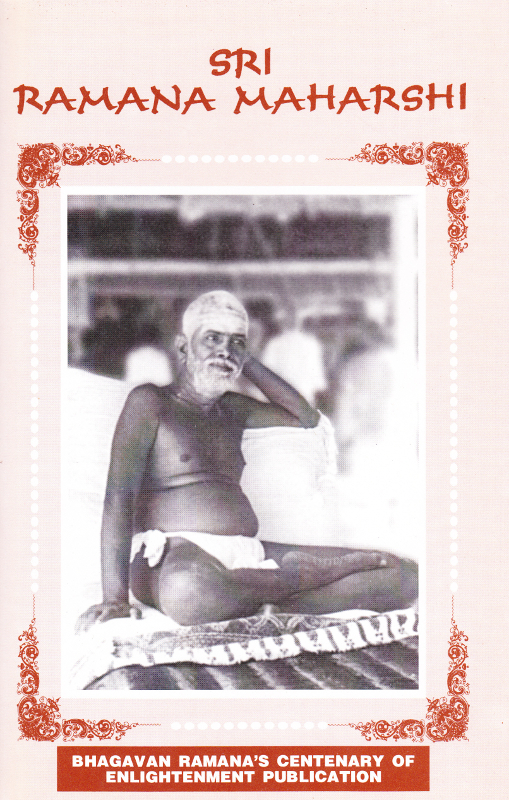 Quotations of the Maharshi with essays about them and their practice. 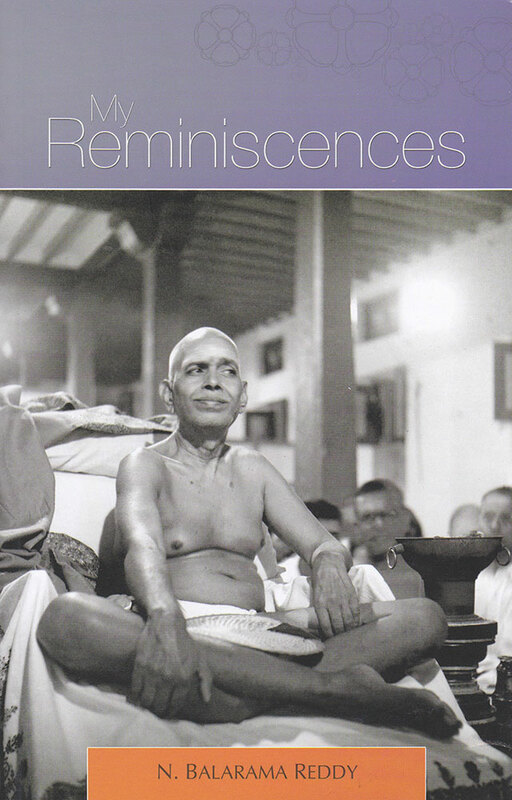 Reminiscences, with some dialogues, recounted by numerous disciples and devotees of Bhagavan Sri Ramana Maharshi. Teachings given by the Maharshi in response to questions about meditation, the guru, the ego and the Self, the heart, rebirth, and other topics. 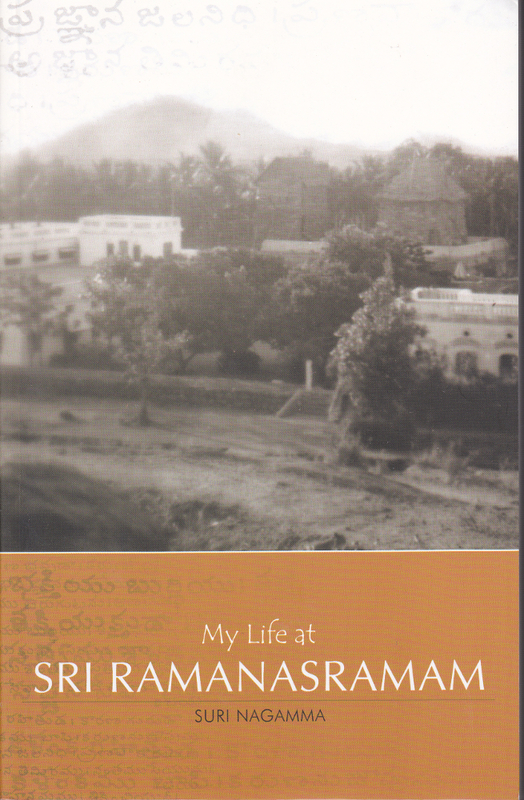 A diary of the author’s visits to the Maharshi. 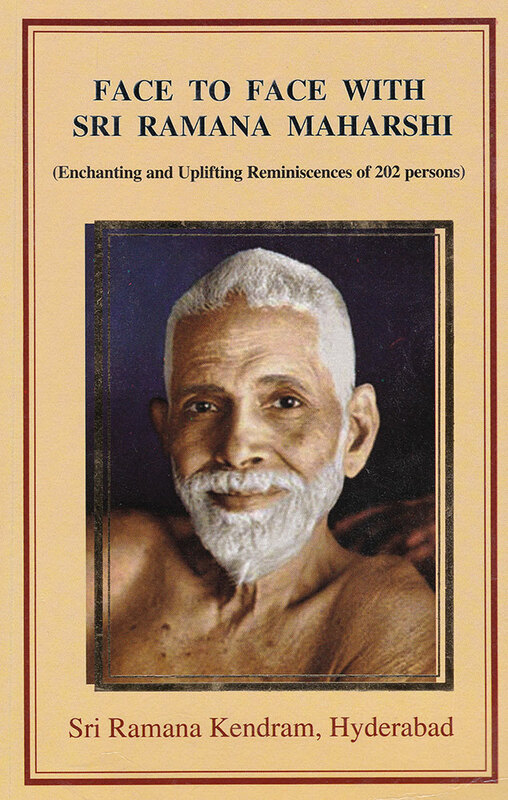 A beautiful book that gives biographical information about her and how, by the Grace and instruction of her son, Bhagavan Sri Ramana Maharshi, she was absorbed in the Highest. 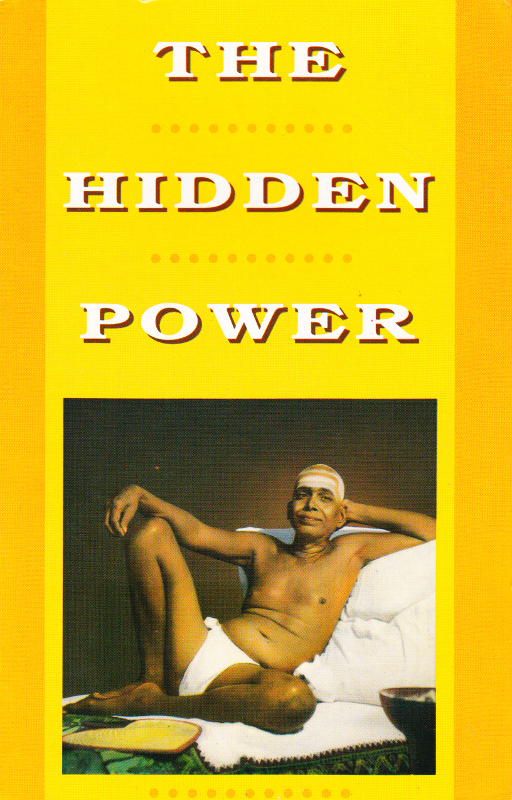 Contains accounts of the experiences of the authoress in the presence of the Maharshi during the 1940’s at Sri Ramanasramam. 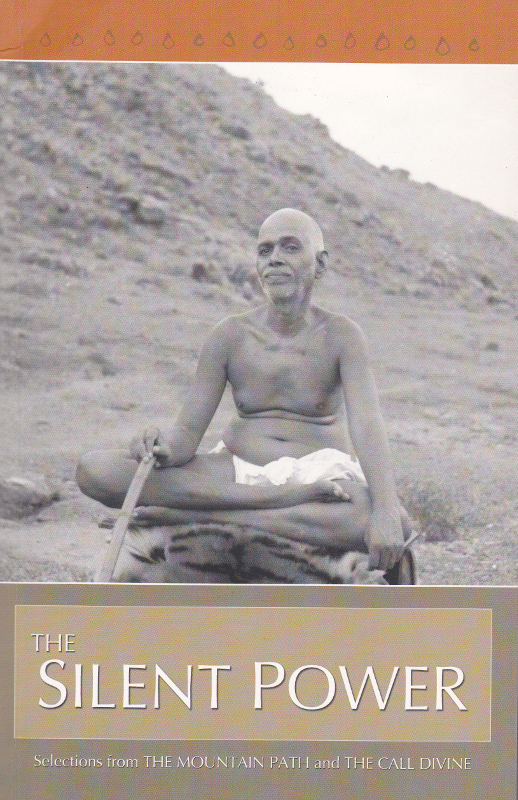 Describes what the author experienced and heard during several decades of being with the Maharshi. 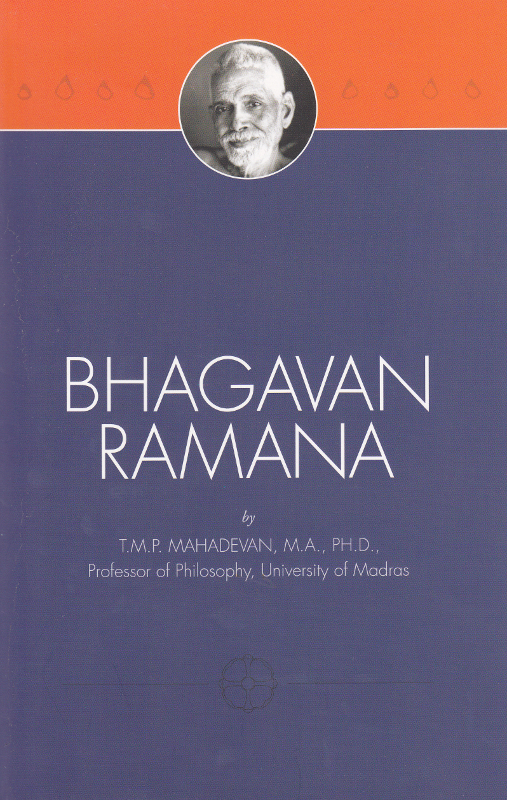 Contains the author’s experiences at Sri Ramanasramam and his dialogues with the Maharshi. 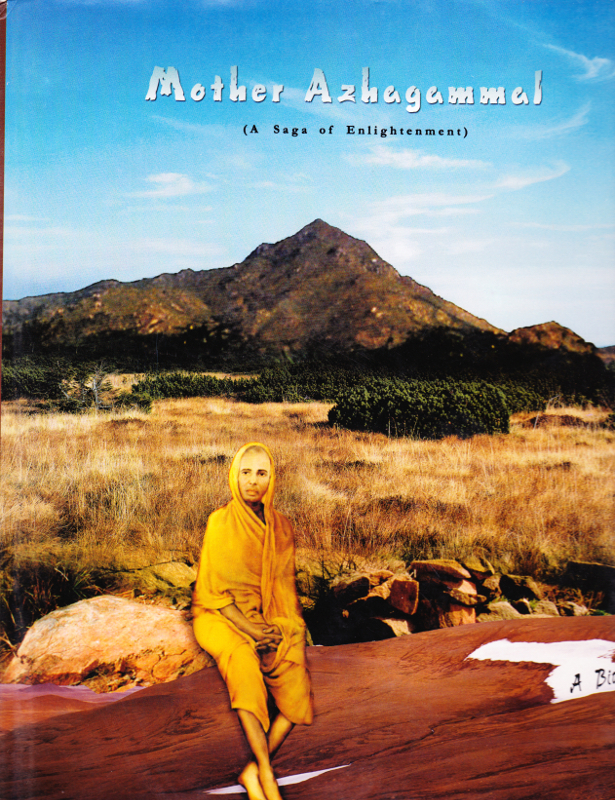 English translation of exquisite jewels of the spiritual poetry composed by Muruganar. 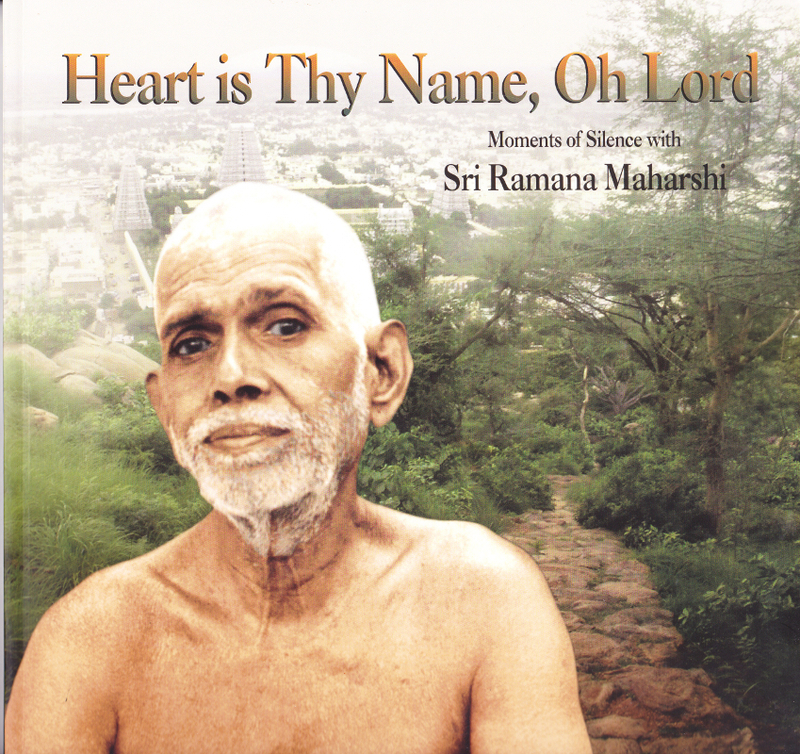 To commemorate the 125th Birth Anniversary of Sri Ramana Maharshi, this special edition was published. 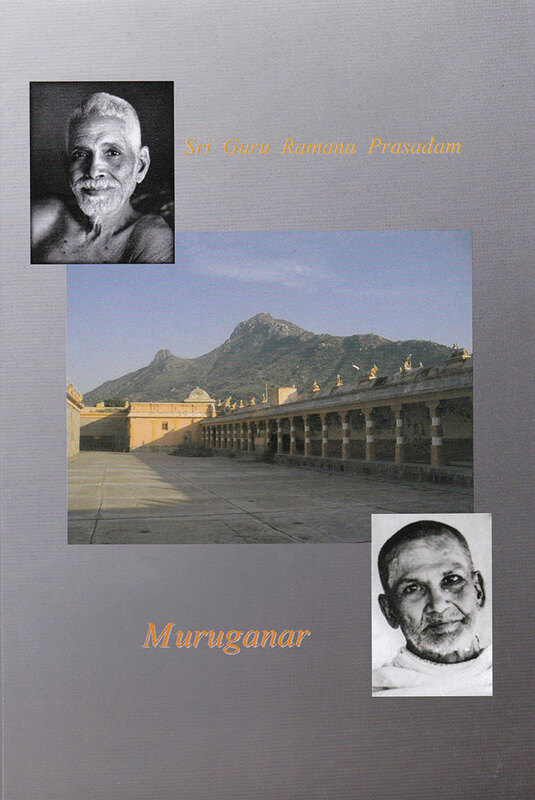 It contains articles by writers and devotees of the Sage of Arunachala along with rare photographs. 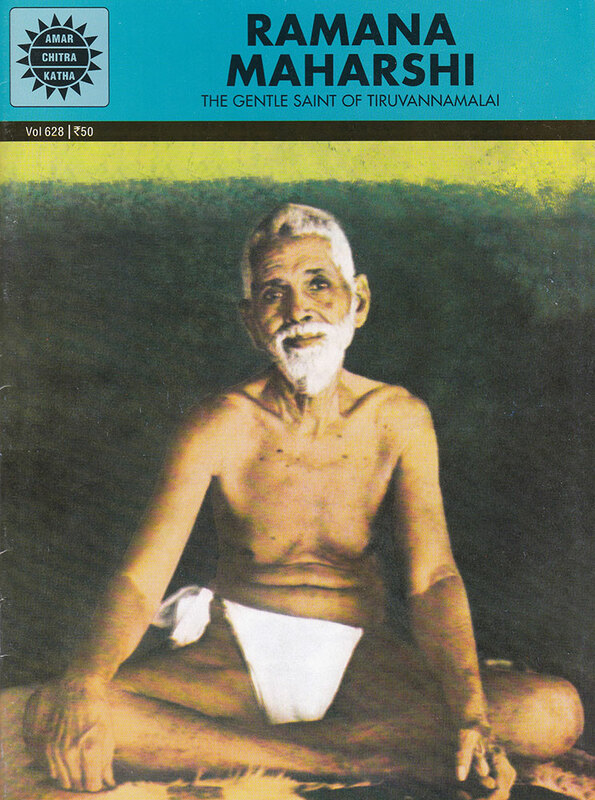 This is the original version of the English translation of Sri Ramana Maharshi’s “Upadesa Manjari,” which was long out of print. 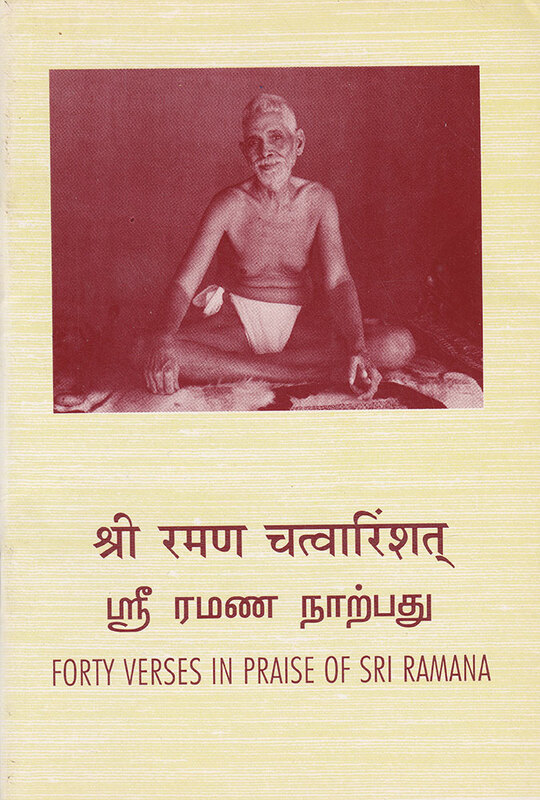 Contains some of the verses composed by Muruganar and entitled Padamalai, which recounts in poetic form teachings he received from the Maharshi. 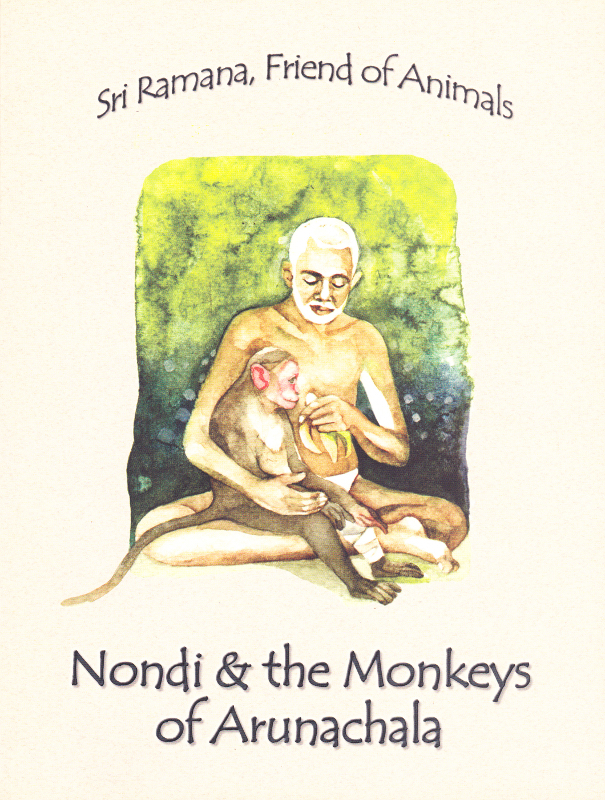 These writings, by Nome, are an offering to Lord Siva, to Sadguru Ramana, and to all sages of the lineage of Advaita Vedanta. 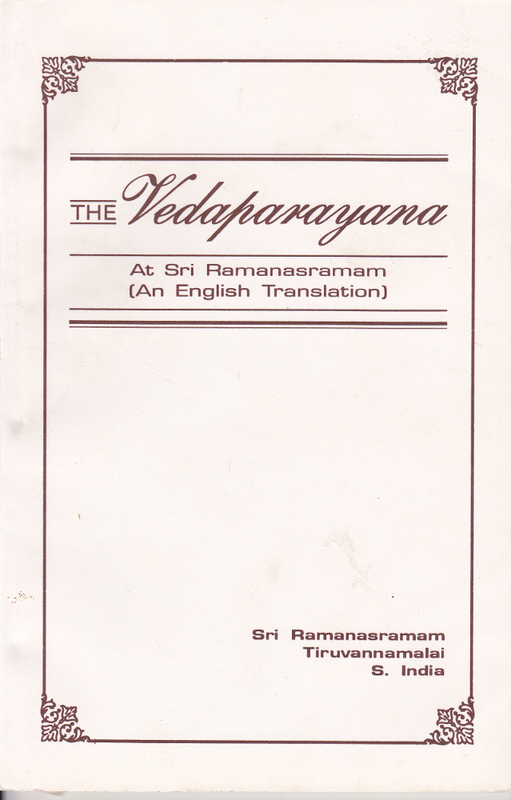 Contains transliterated Tamil and English translation of all of the verses recited during the six-day Tamil Parayana at Sri Ramanasramam plus additional verses recited at other times presented in transliterated Sanskrit and Tamil with English translations. 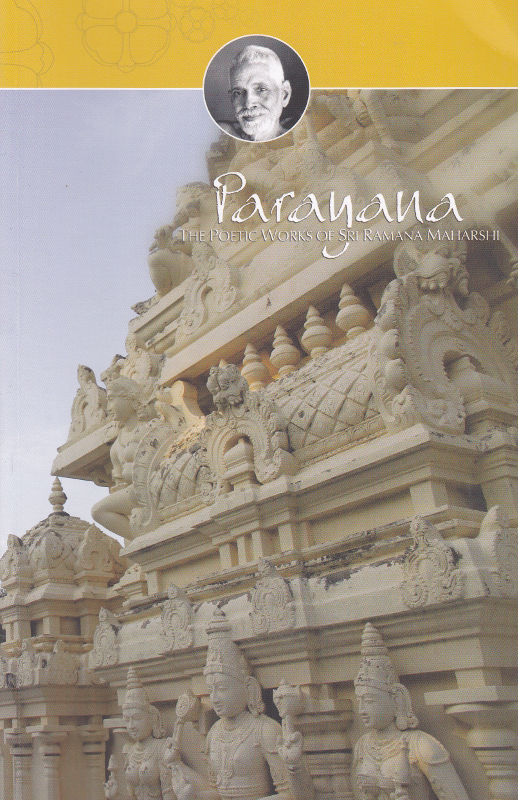 This trim edition of the Parayana is for those who are chanting regularly and do not want to be burdened with accompanying English translations. 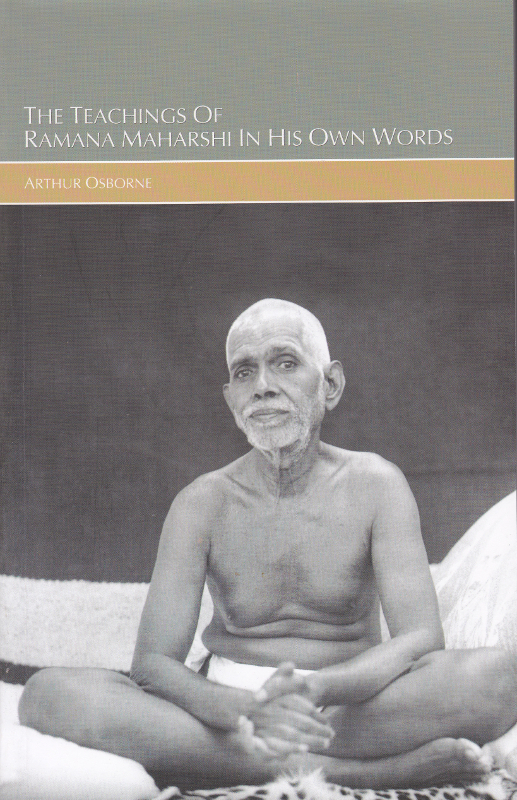 Contains texts composed by the Maharshi in his own Tamil handwriting, with some of the texts translated by various translators into English. 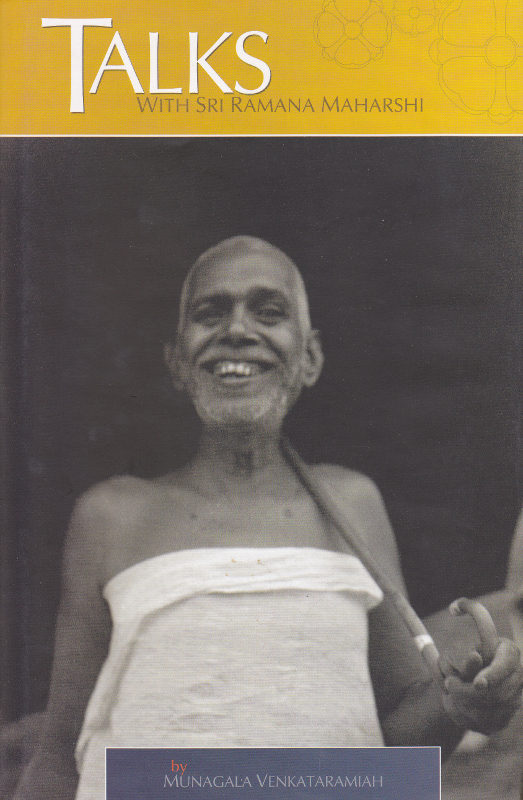 Contains pictures of the Maharshi, selected verses from Sri Ramana Gita, and anecdotes about the Maharshi. 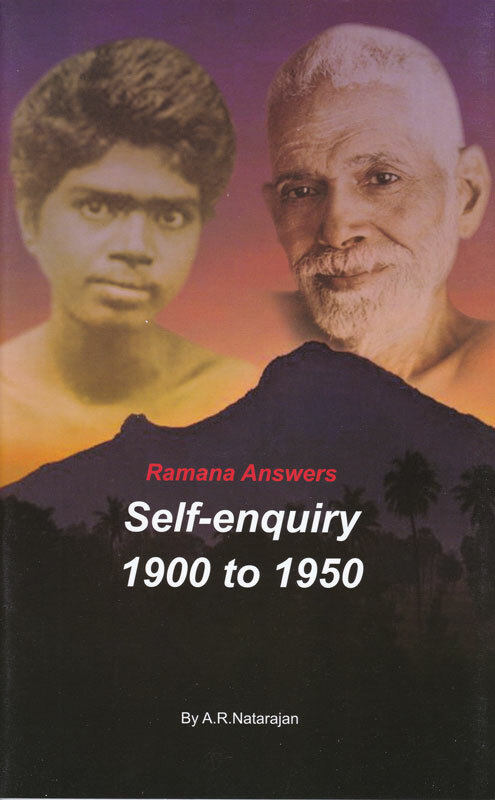 Compilation from various sources on Sri Ramana Maharshi’s answers to questions on the practice of Self-enquiry (Self-inquiry). 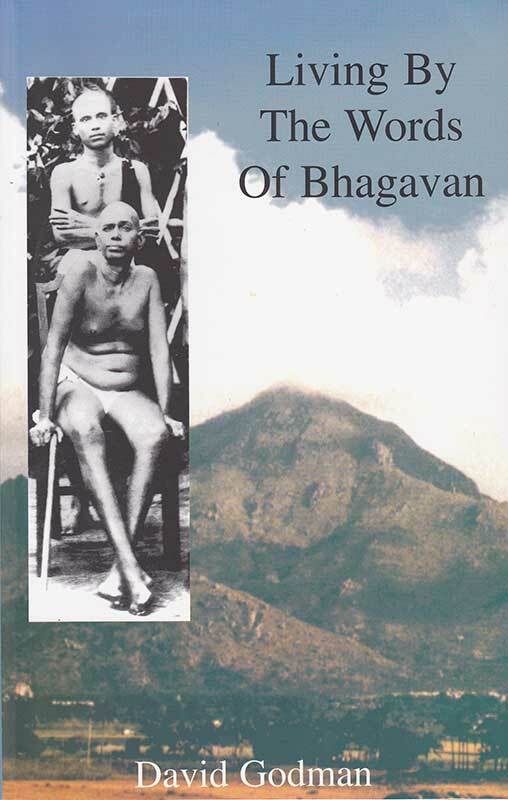 The span of Bhagavan’s answers stretches over the entire period from 1900 to his Mahanirvana in 1950. 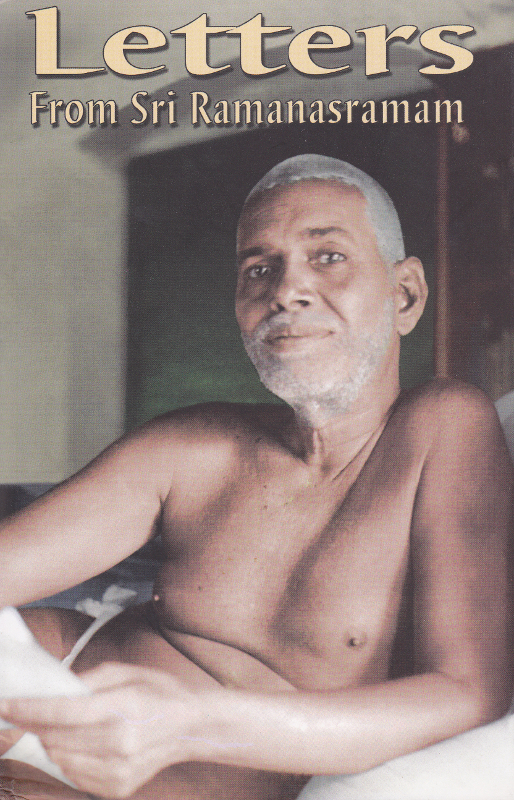 With deep devotion and great care, Sri G. Kameshwar, has translated into English the three profound set of spiritual instructions composed by Sri Ramana — Arunachala Aksharamanmalai, Upadesa Saram, and Ulladu Narpadu. Contains Sanskrit and English for the verses of this Gita composed by Ganapati Muni with the first English commentary on this work. 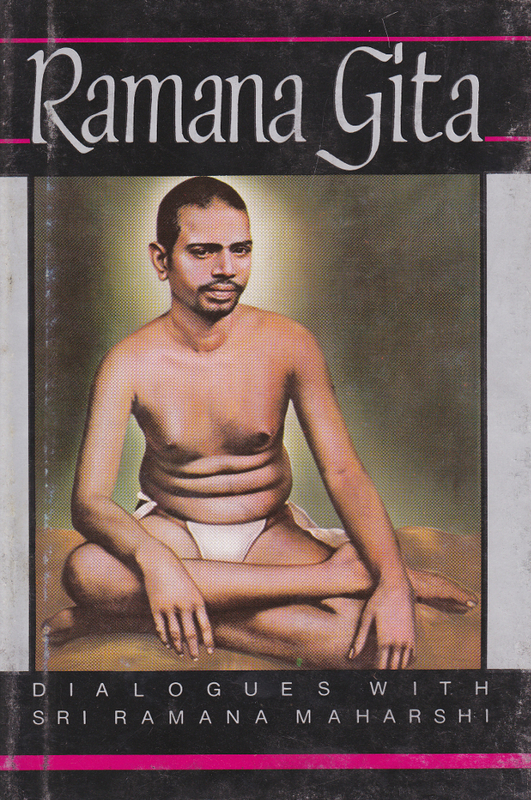 This book goes with the “Ramana Gitam” set of CDs. It contains the lyrics with musical notes in Tamil. 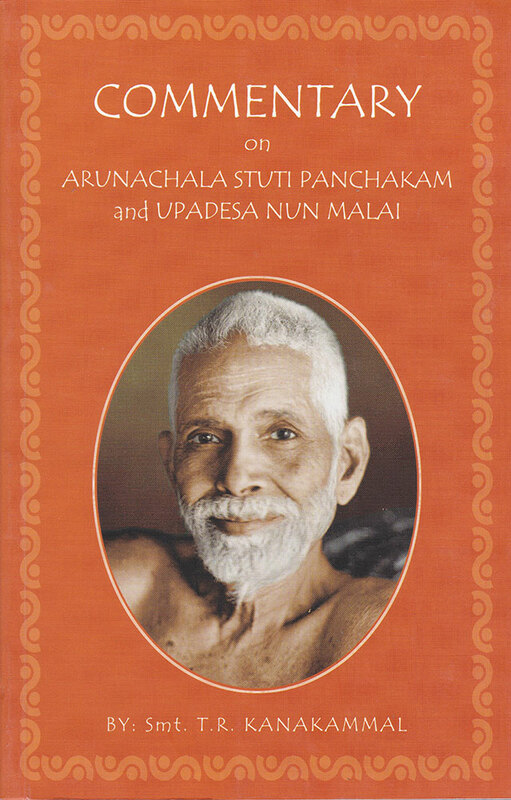 Contains translation and commentary of Sri Ramana Maharshi’s Forty Verses on Existence (Ulladu Narpadu) and The Supplement (Anubandham). 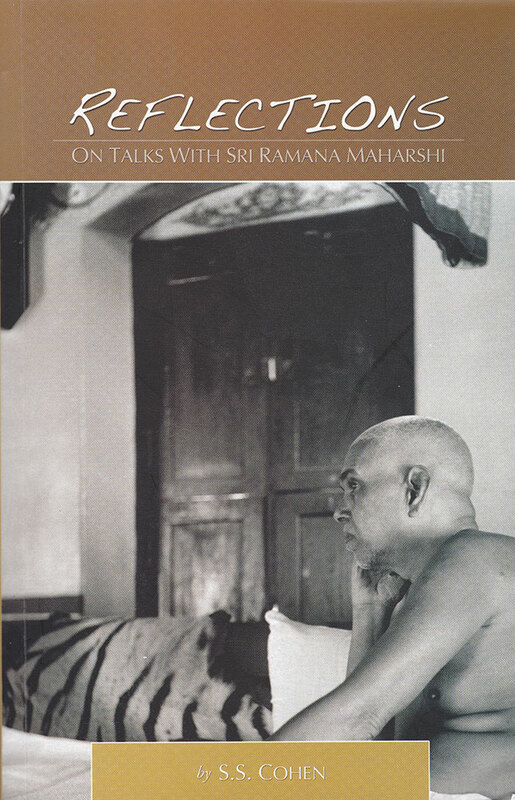 A biography of Sri Ramana Maharshi, including dialogues and anecdotes. 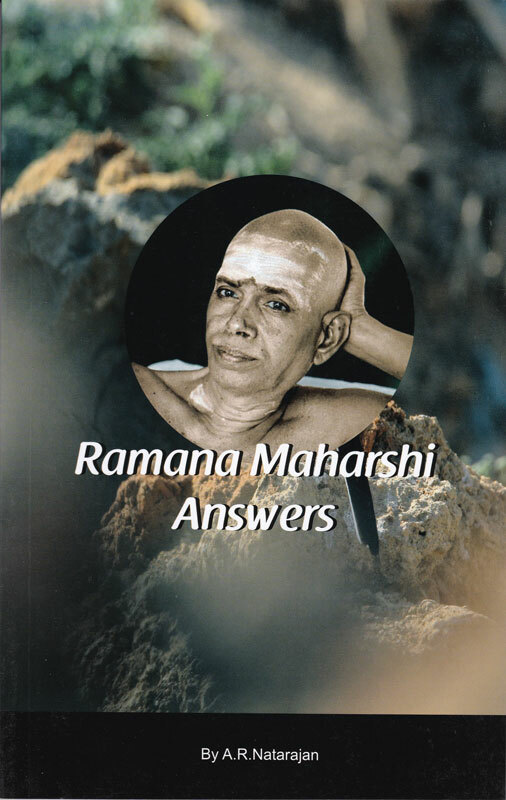 A combined edition of the three books, Ramana Maharshi Answers 100 Questions, Bhagavan Ramana Answers 100 Frequently Asked Questions, More Doubts and 100 More Answers. 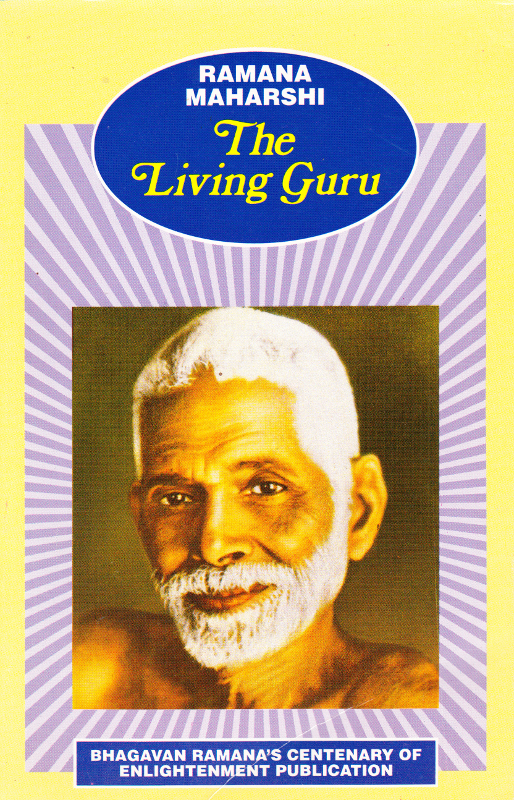 A compilation from various sources of the teachings of the Maharshi. 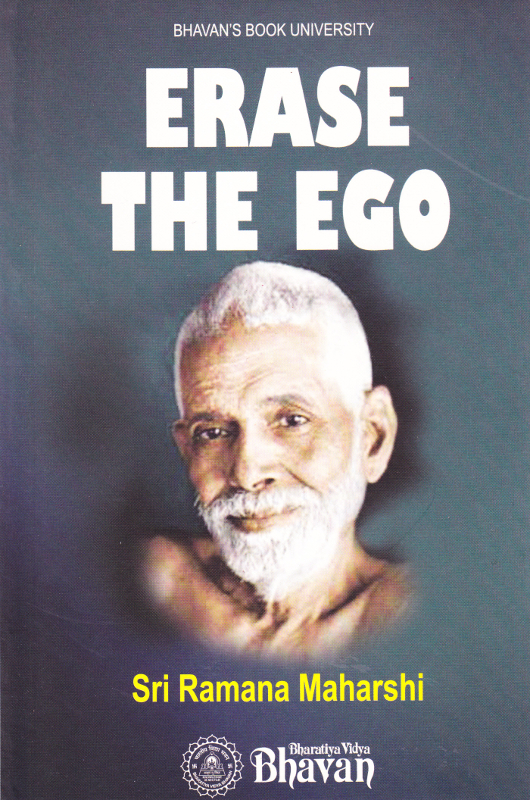 Covers topics such as Jnana, Self-Ralization, meditation, God, control of mind, Guru, samadhi, Self-Enquiry, the Heart, Ego, and others. 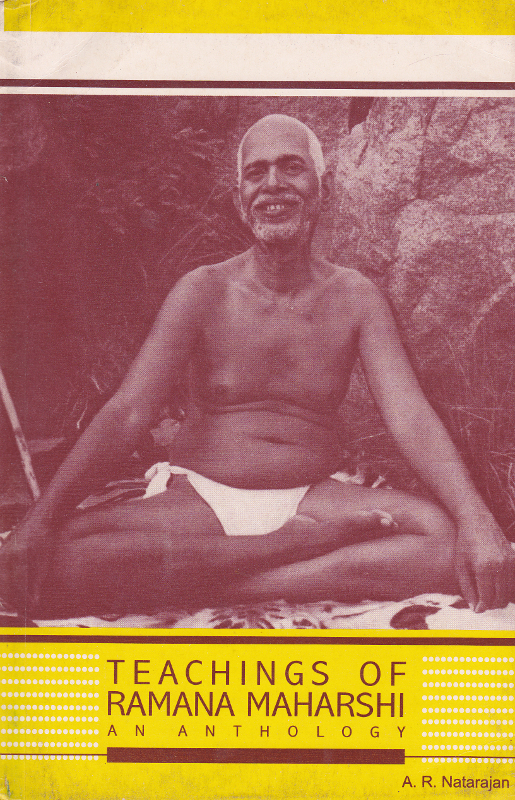 A compilation from various sources of the teachings of the Maharshi. 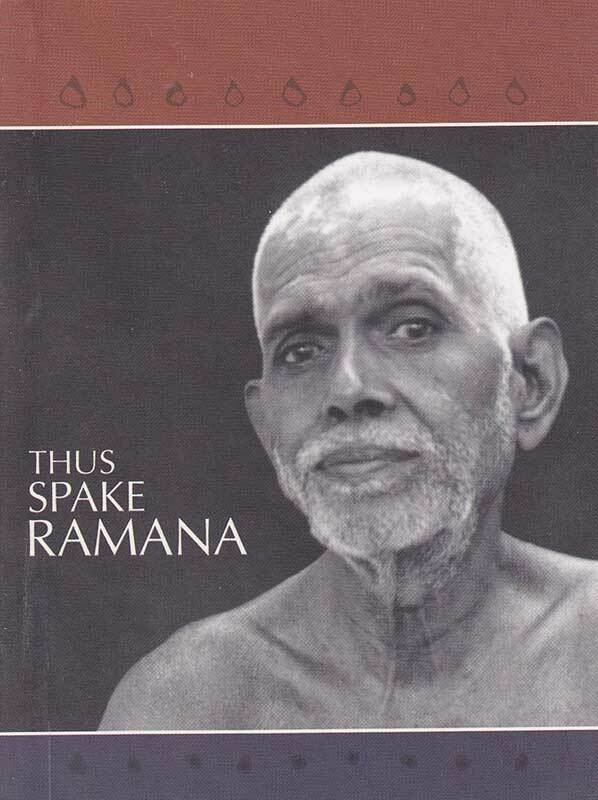 Essays, with quotations, on the teachings of Sri Ramana Maharshi. 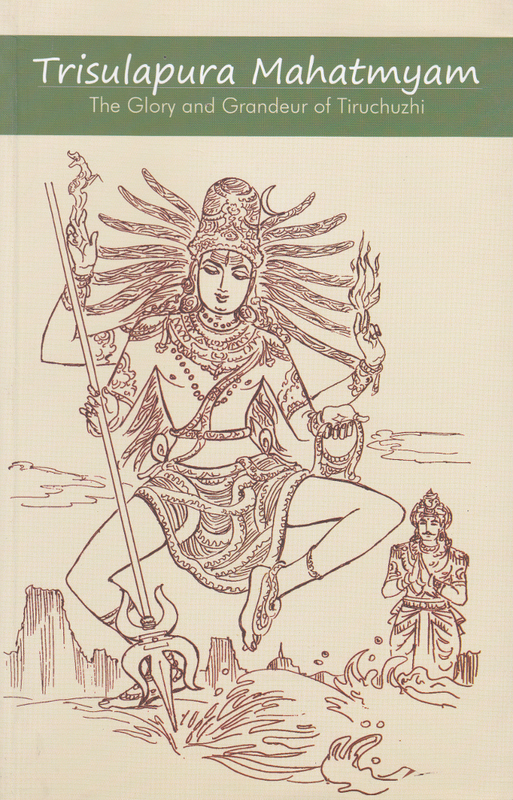 Children’s comic book depicting the biography of the Maharshi. Recounting of miraculous events by a number of contributors. 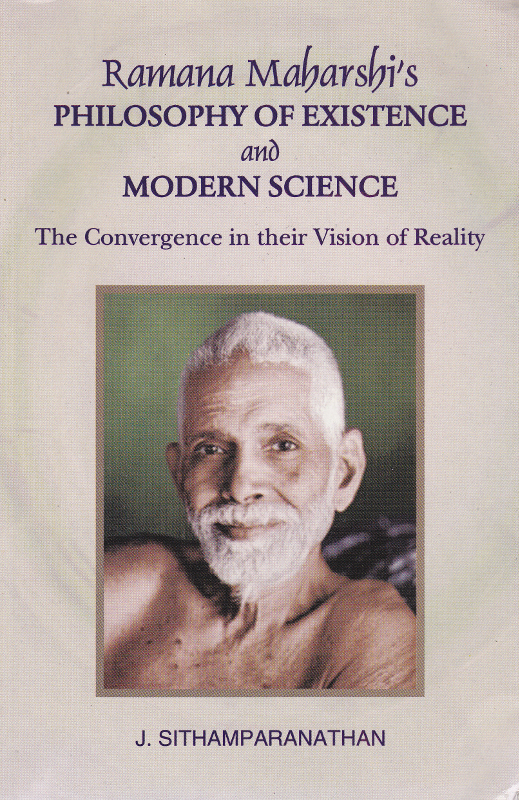 This book explores the points of convergence between recent advances in modern physics and Eastern spiritual wisdom. 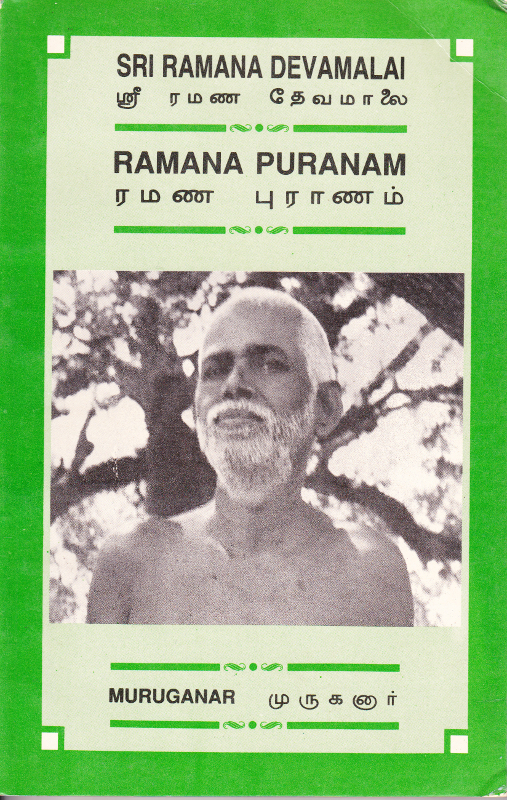 Contains English translation of the poetic text “Ramana Puranam” expounding nondualistic devotion to Sri Bhagavan. 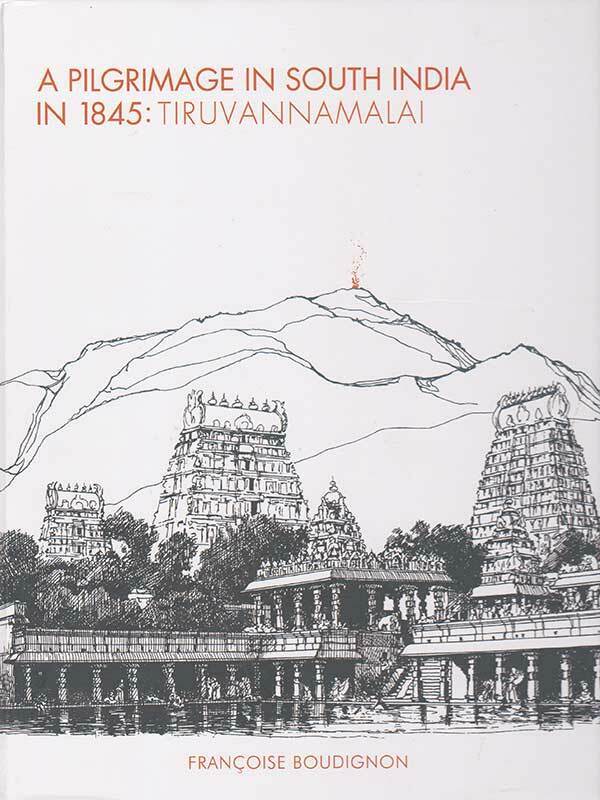 Also contains English translation of Manikkavachagar’s Siva Purnam as it appears in Tiruvachakam. 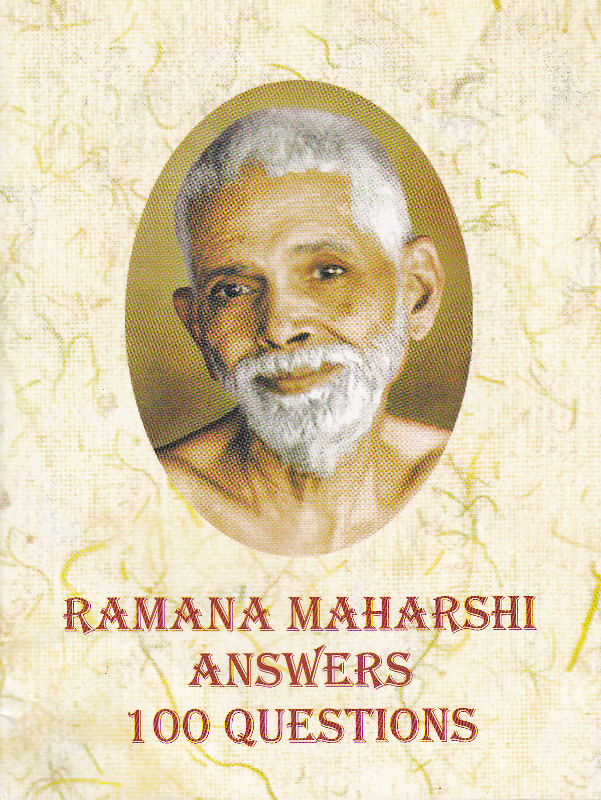 Anecdotes of Sri Ramana Maharshi’s interaction with children and animals with color illustrations. 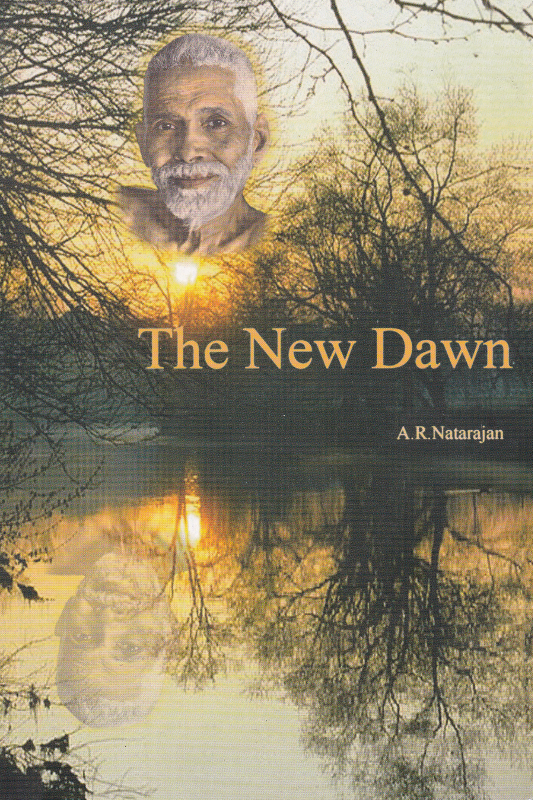 Contains the English transliteration and commentary of the Tamil verses “Ulladu Narpadu”. 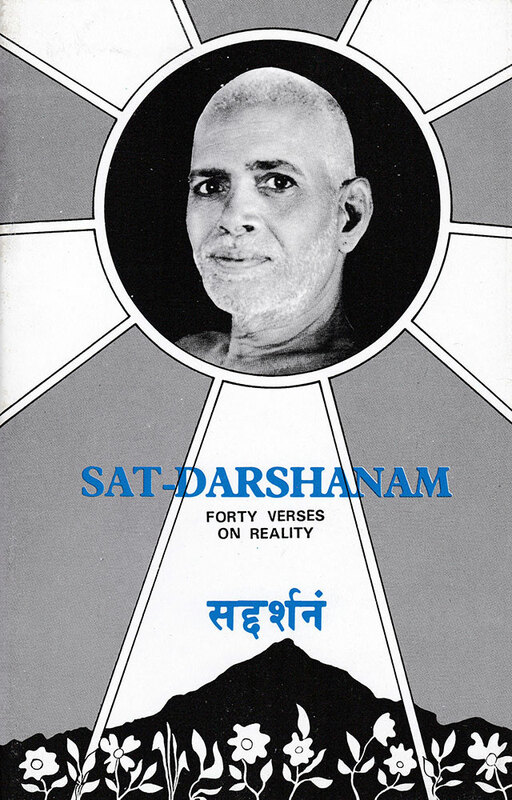 Also includes the English transliteration and commentary of the verses from “Reality in Forty Verses: Supplement” (Ulladu Narpadu Anubandham). 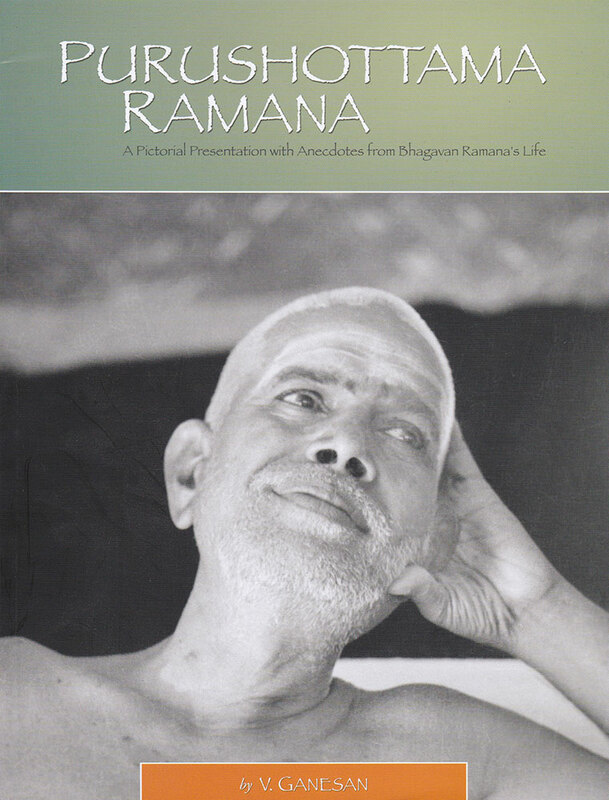 Selected passages from “Talks with Sri Ramana Maharshi” that comprehensively represent the salient teachings of Bhagavan classified in separate chapters. Also contains notes with insights and practical guidance for the sincere aspirants by the author. 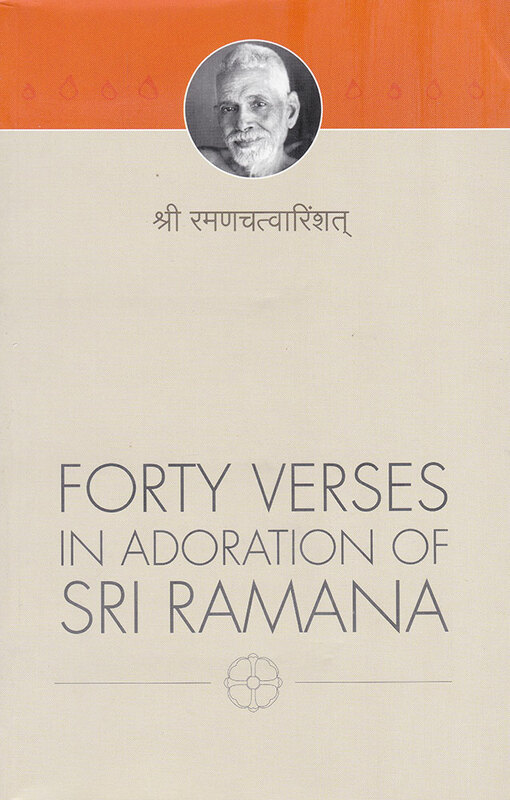 An English translation of the Sanskrit versions of Forty Verses on Reality and the Supplement to the Forty Verses. 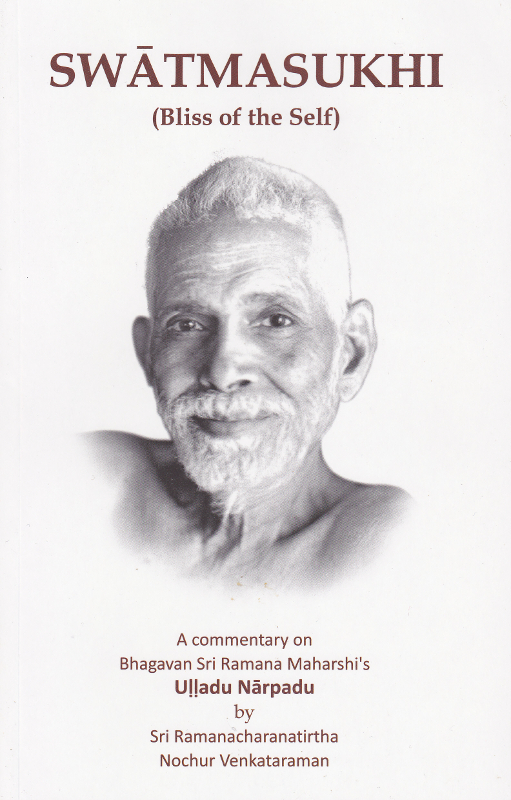 The essential teachings of the Revelation of Truth by Sri Ramana Maharshi, in Sanskrit, translated into English with explanations by Nome. 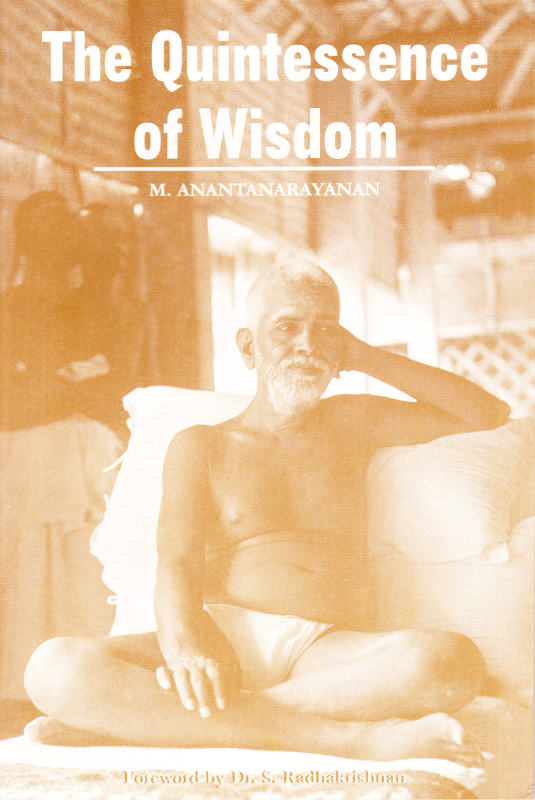 Contains dialogues with the Maharshi on a variety of spiritual topics, Sanskrit with English translation of the Forty Verses on Reality with a commentary, the same forty verses in Tamil, and Ganapati Muni’s forty verses in devotional praise of the Maharshi. 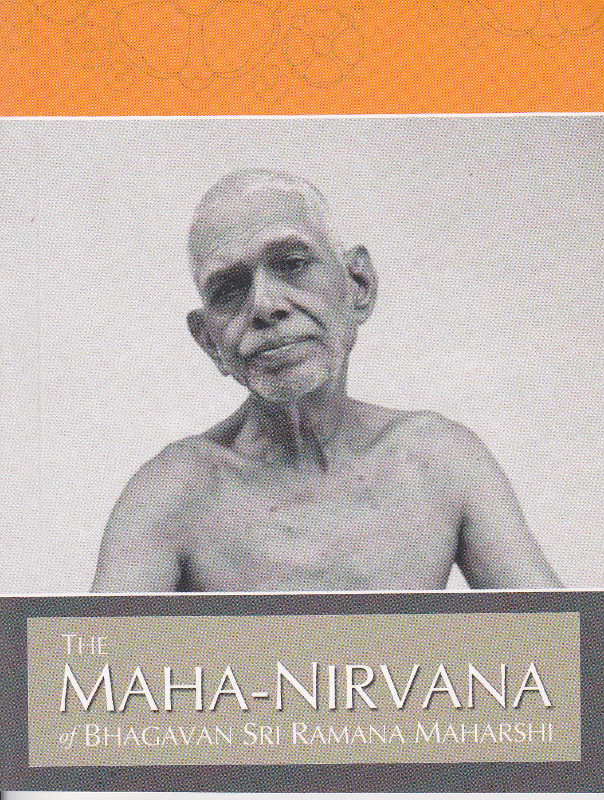 Contains Sanskrit text, English translation, and commentary of this essential book by the Maharshi. 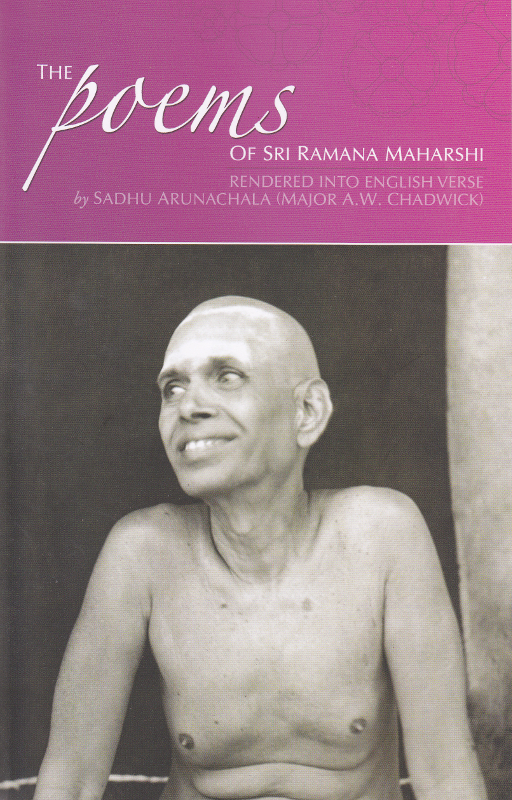 A collection of sayings of the Maharshi, arranged by topic, in an easy to carry format. 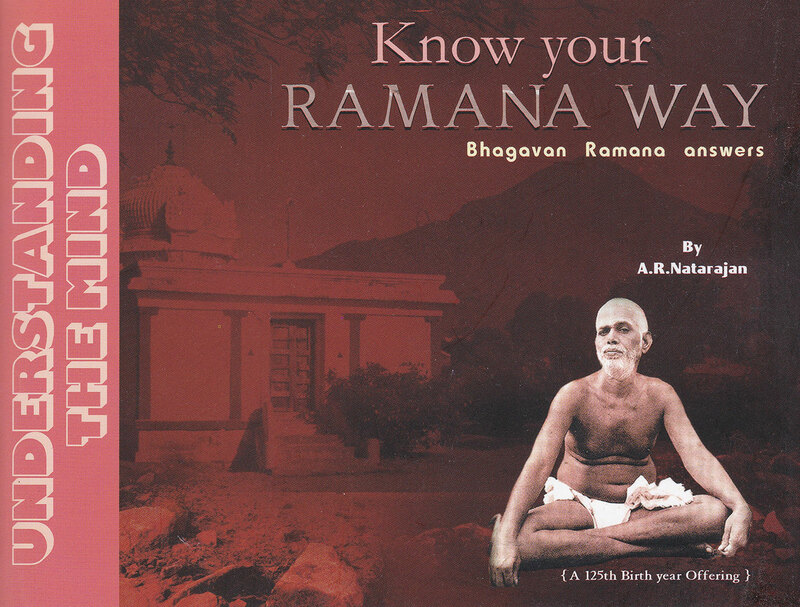 Contains selected verses from Ramana Gita, with commentary upon them. 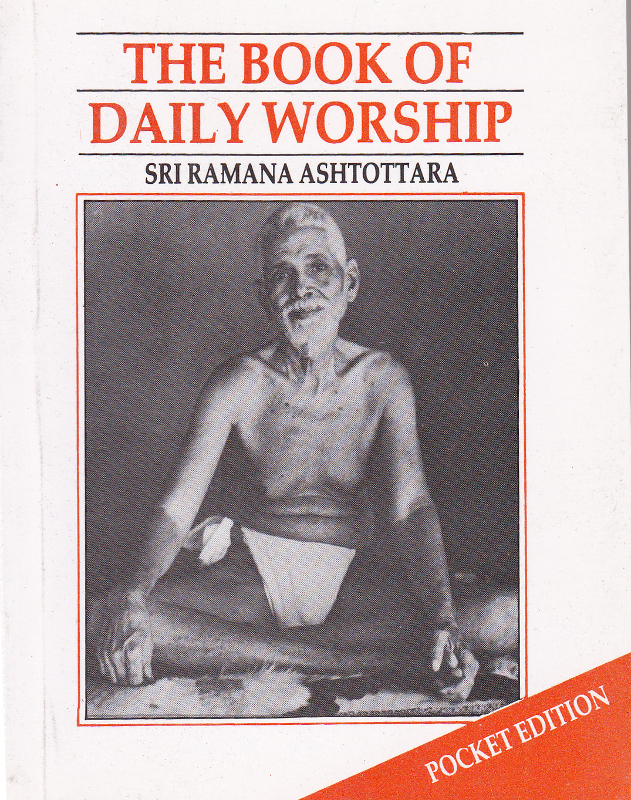 Contains the Sanskrit version by Kavyakantha Ganapati Muni of Sat-Darshanam by the Maharshi, with English translation of the Hindi commentary of Jagadguru Shankaracharya Swami Sri Swaroopananda Saraswati. 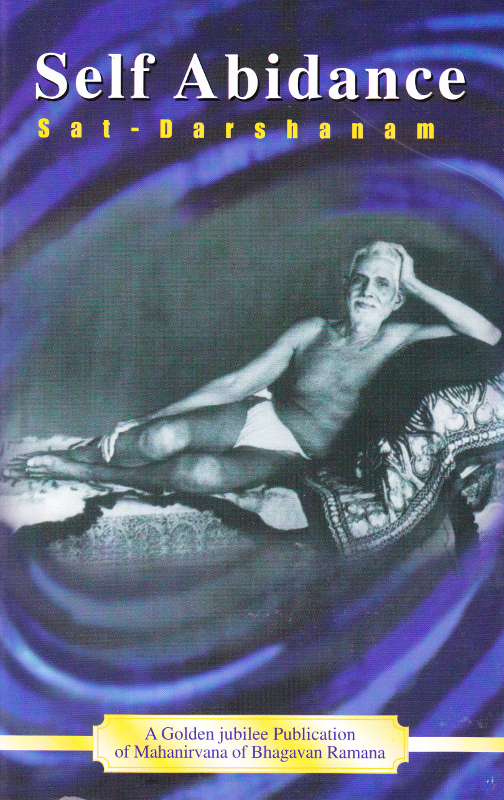 The earliest recording of the Maharshi’s teachings. 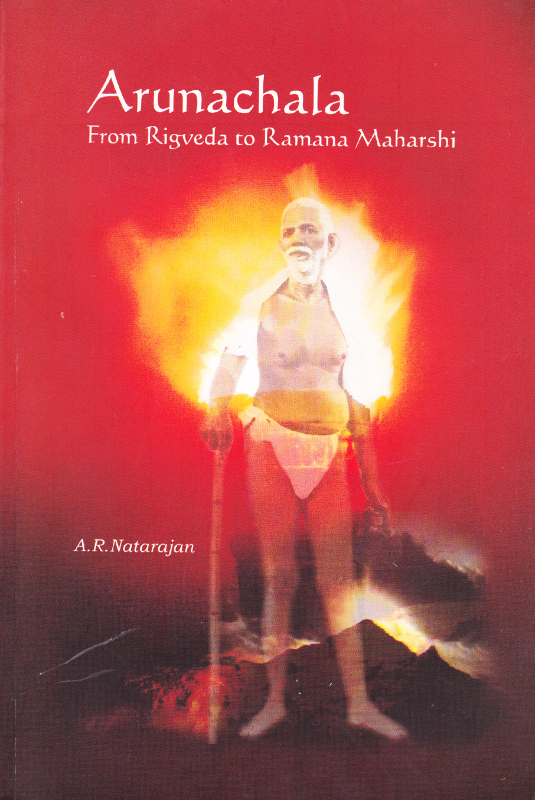 The earliest biography of the Maharshi, with additional chapters that were written later. 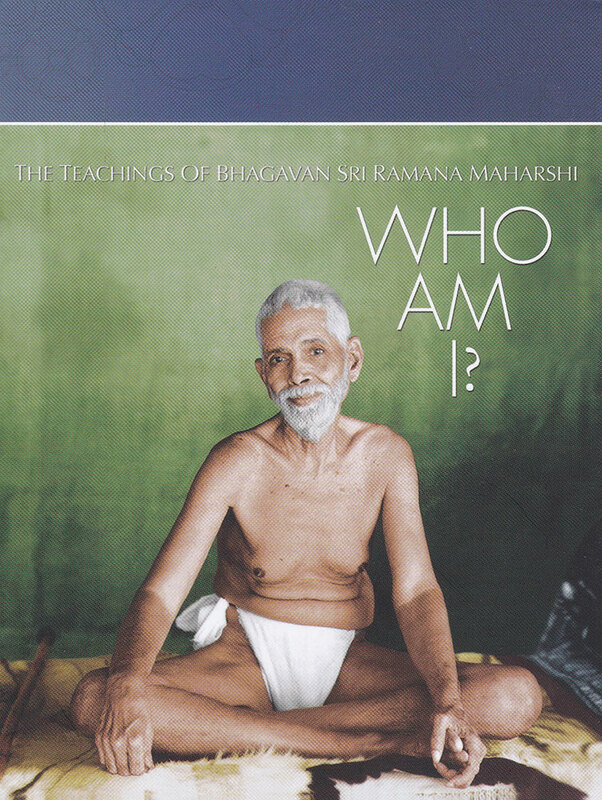 Contains an early 14 questions and answers version of Who am I? 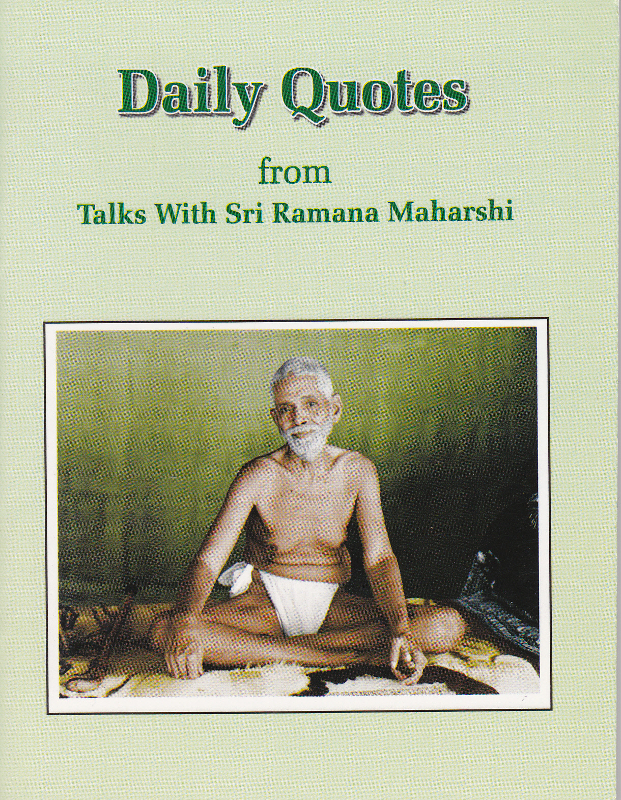 Quotations from the Maharshi with essays by the author on the themes of those quotes. 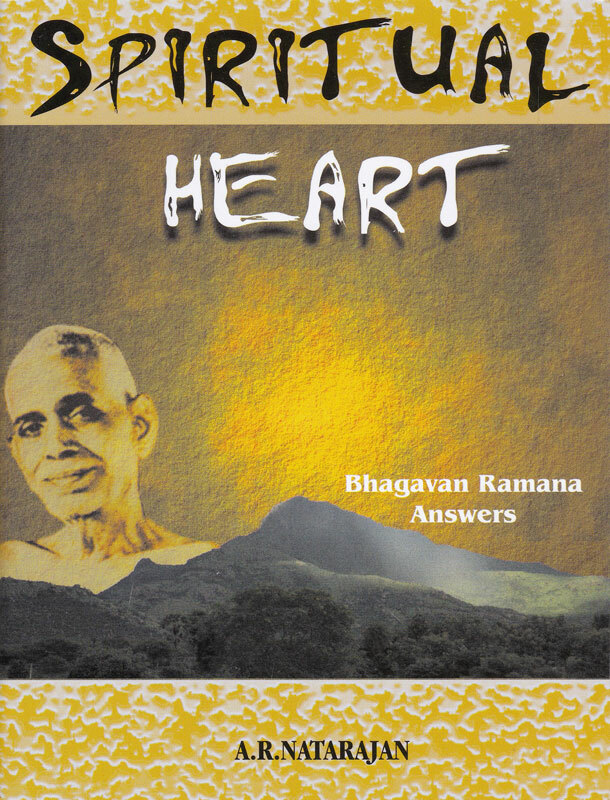 Compilation from various sources of Maharshi’s answers and quotes on Spiritual Heart. 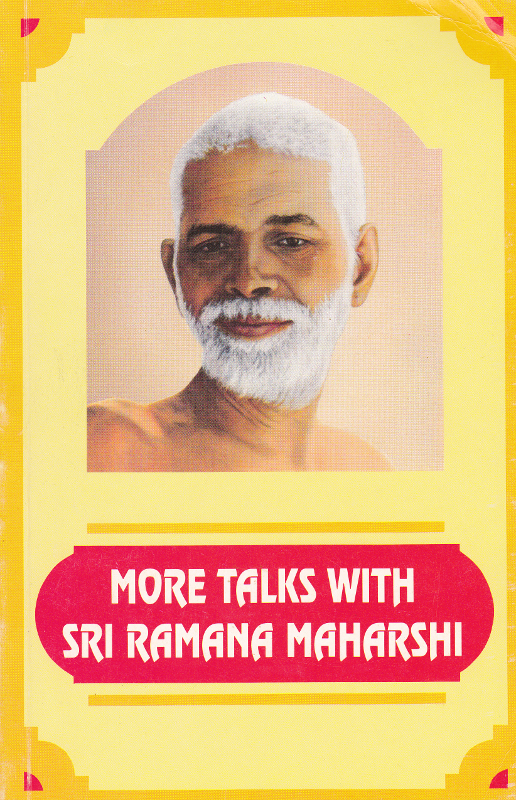 Early recording of the Maharshi’s teachings, dealing with Knowledge, inquiry, devotion, spiritual experience, and supreme Realization. 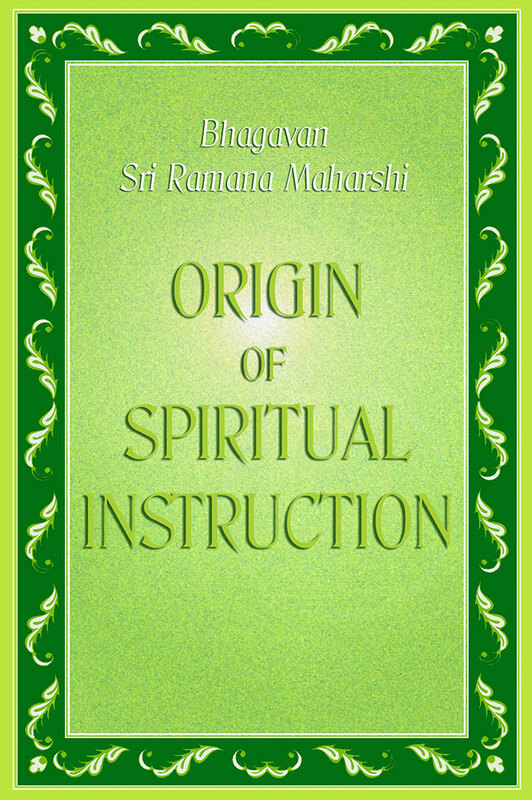 A compendium of many spiritual stories derived from scriptural sources that Sri Bhagavan incorporated in his spiritual instruction. 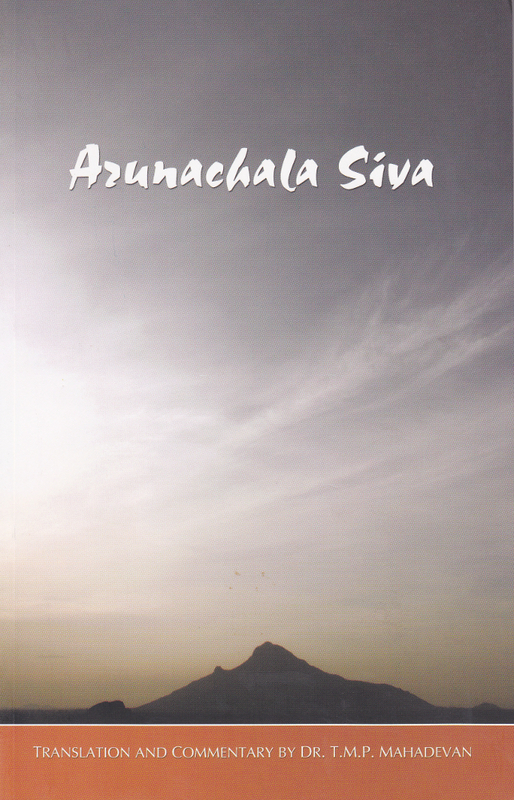 This book is a translation of the Arunachala Puranam, the Tamil sthala purana of Tiruvannamalai composed in the 17th century by Saiva Ellappa Navalar. 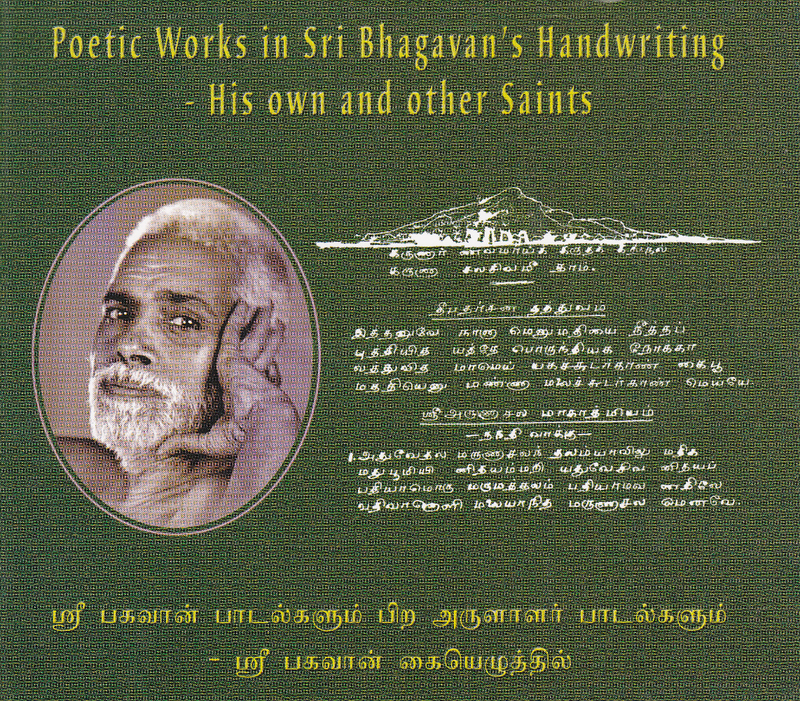 Contains the verses composed by Bhagavan in Tamil, English transliteration, and English translation with word by word meaning. 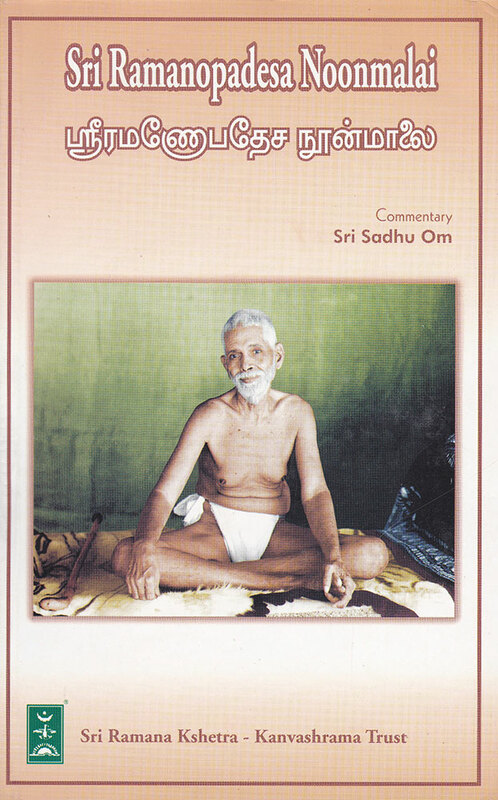 English translation of Sri Sadhu Om’s commentary is also included. 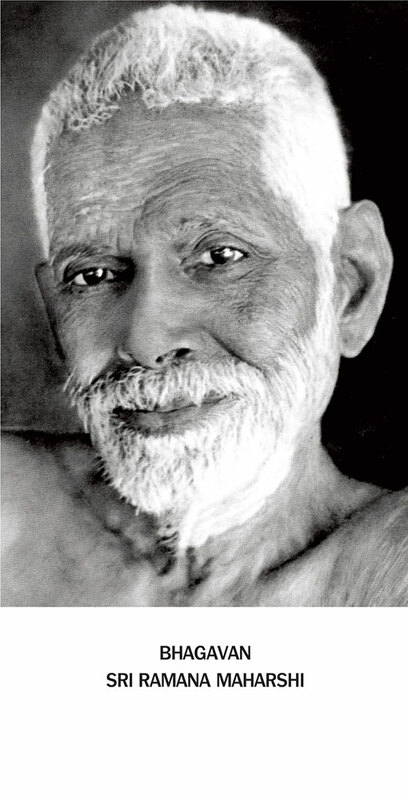 Contains the Sanskrit, English transliteration, English translation, and Tamil translation by the Maharshi of this Agama text said to have been taught by Siva to his wife, dealing with Self-Knowledge and nonduality. 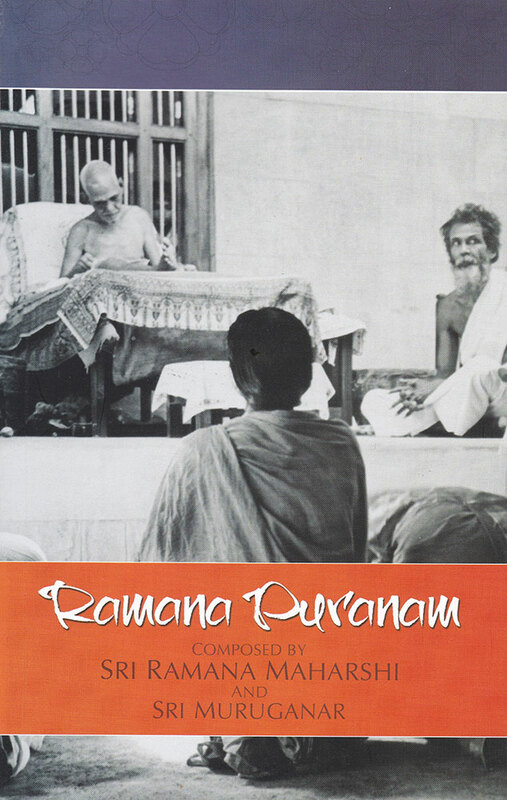 English translation of Sri Ramana Anubhuti, composed by Muruganar in his inimitable style, couched in devotional settings, replete with the highest wisdom, revealing the depths of what he experienced and realized with the Maharshi’s grace and instruction. 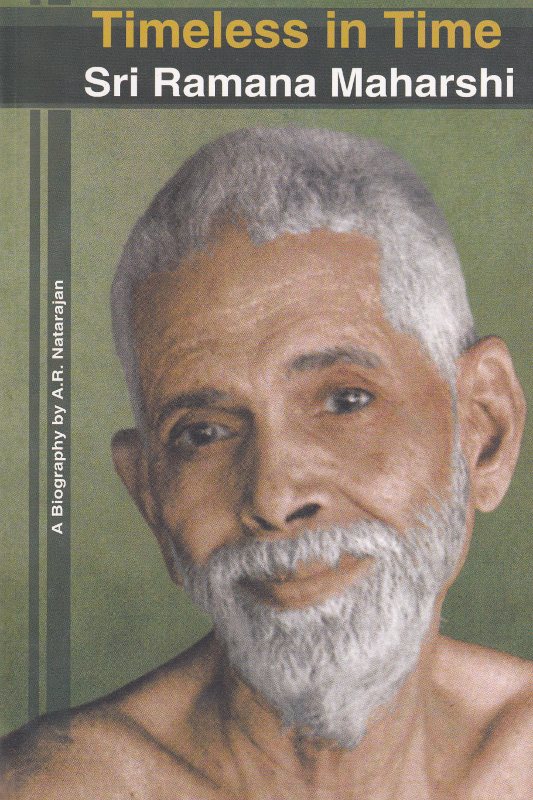 A pictorial biography of Sri Ramana Maharshi. 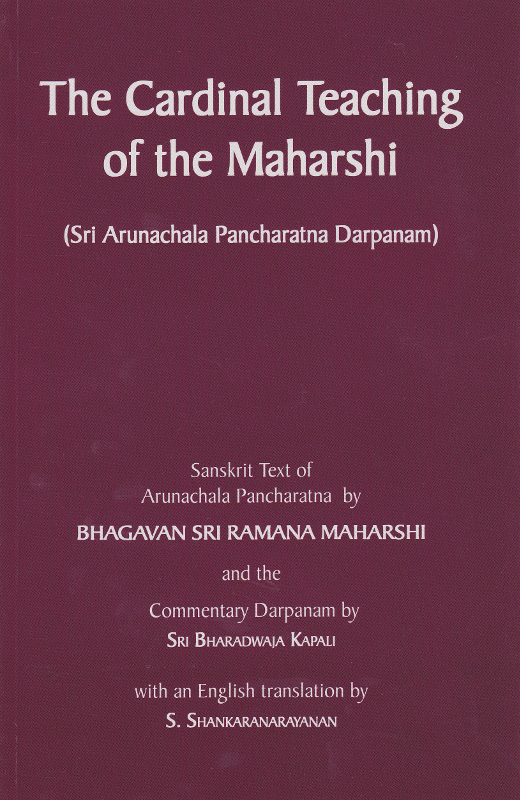 Contains the Sanskrit text, Englsih transliteration and English translation of Upadesa Saram by the Maharshi. 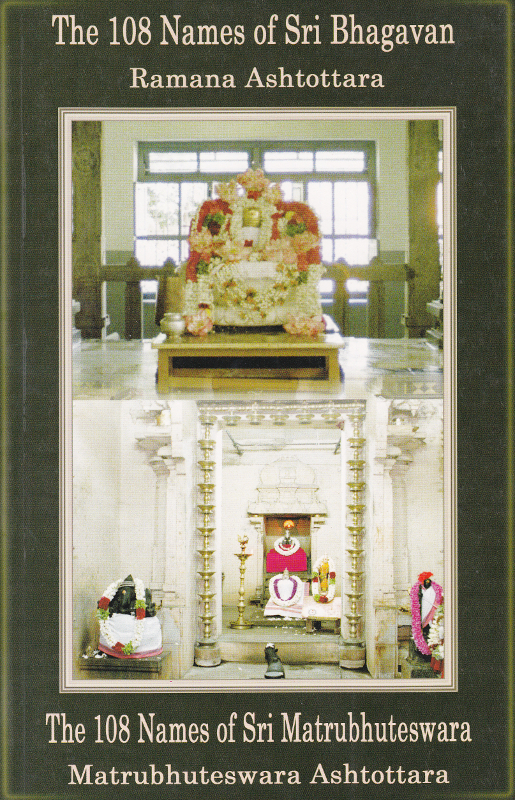 This book contains sayings of the Maharshi along with comments and views of the author on the teachings and spiritual practices. 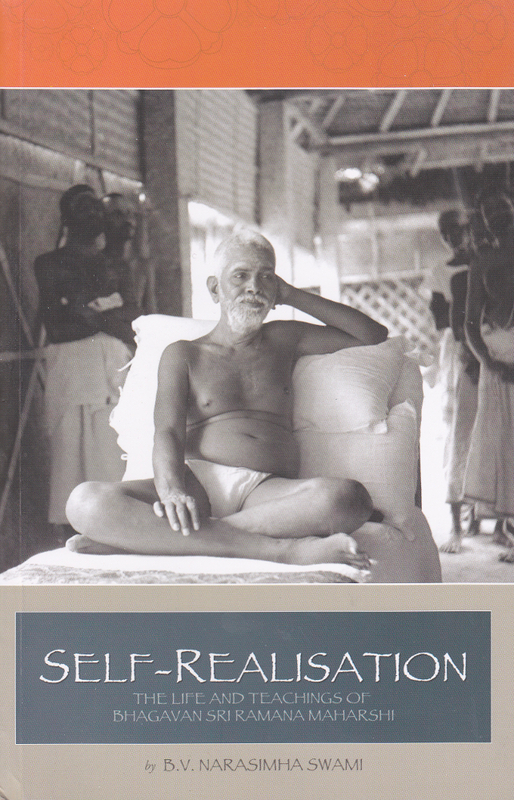 Contains both poetic texts expounding nondualistic devotion to Sri Bhagavan. 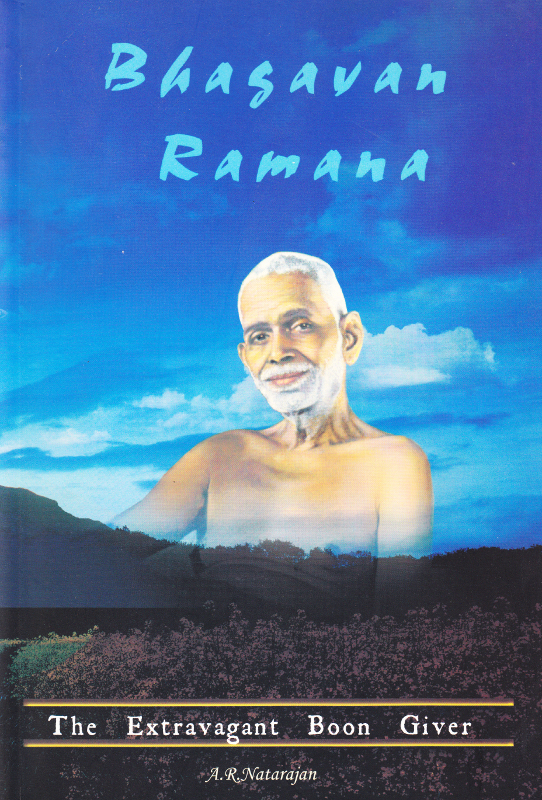 A set of 23 verses in English and Tamil offering salutations to Sri Ramana and relating His inspiring story. 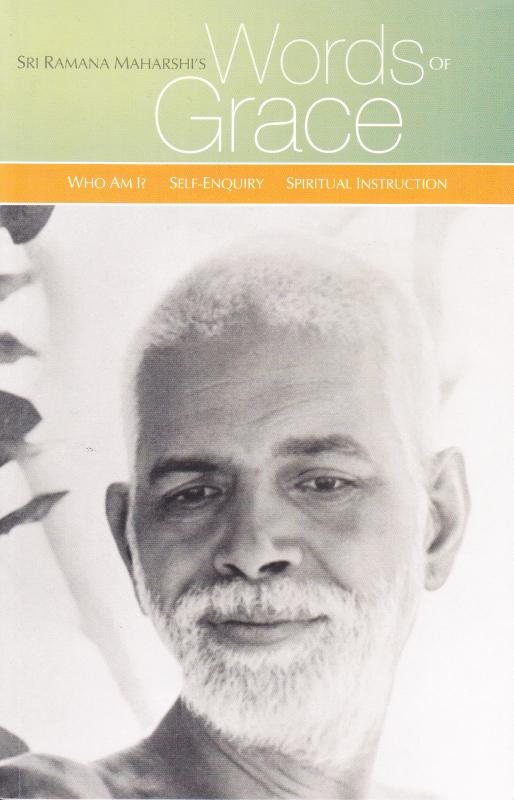 A wonderful book containing the teachings of Sri Ramana Gita in its original conversational question and answer form. 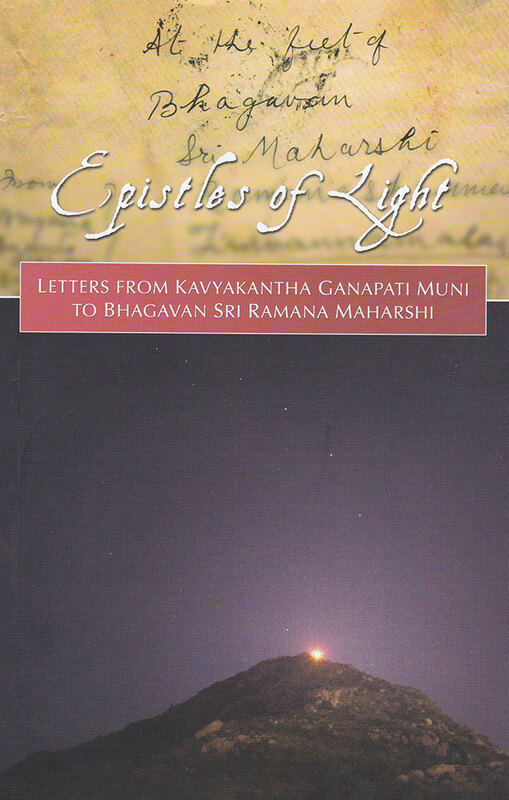 Contains the Sanskrit text by Sri Ganapati Muni with English and Tamil translation of this 18 chapter text. 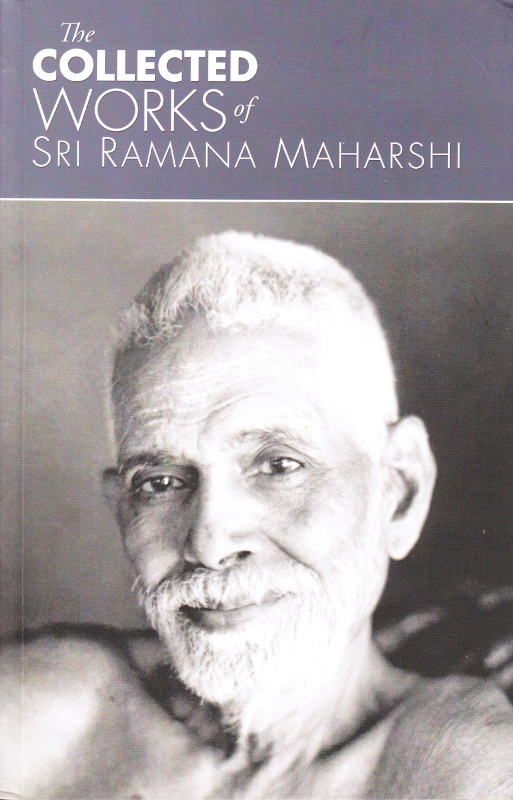 Contains a biography of Sri Ramana Maharshi, replete with anecdotes and dialogues. 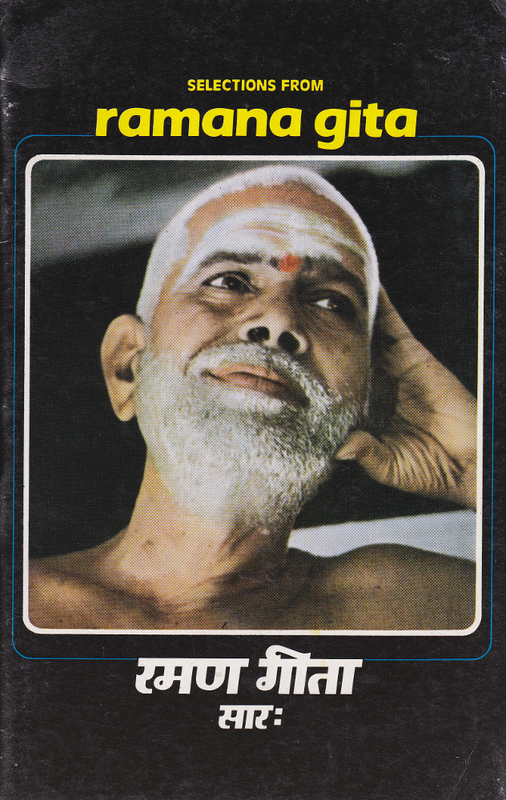 Life and teachings, with dialogues and anecdotes, of the Maharshi. 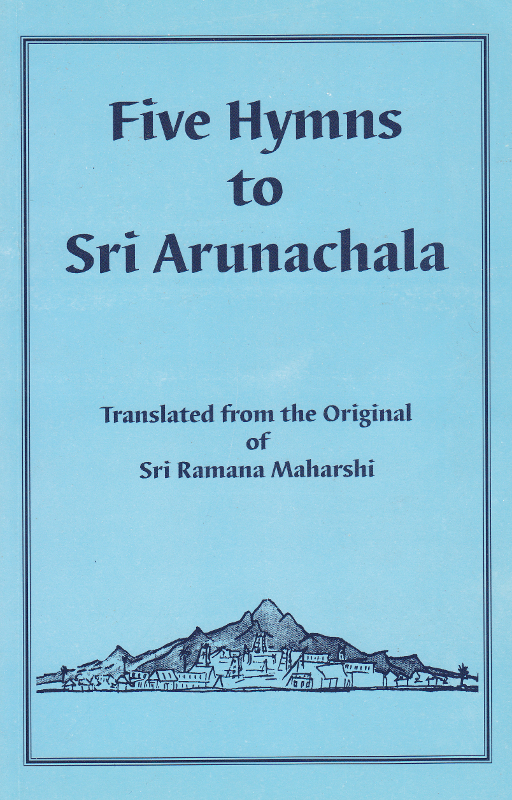 The compilations of numerous essays on the Maharshi and his teachings released on Spetember 1, 1996 commemorating the advent of the Maharshi at Aunachala a century earlier. 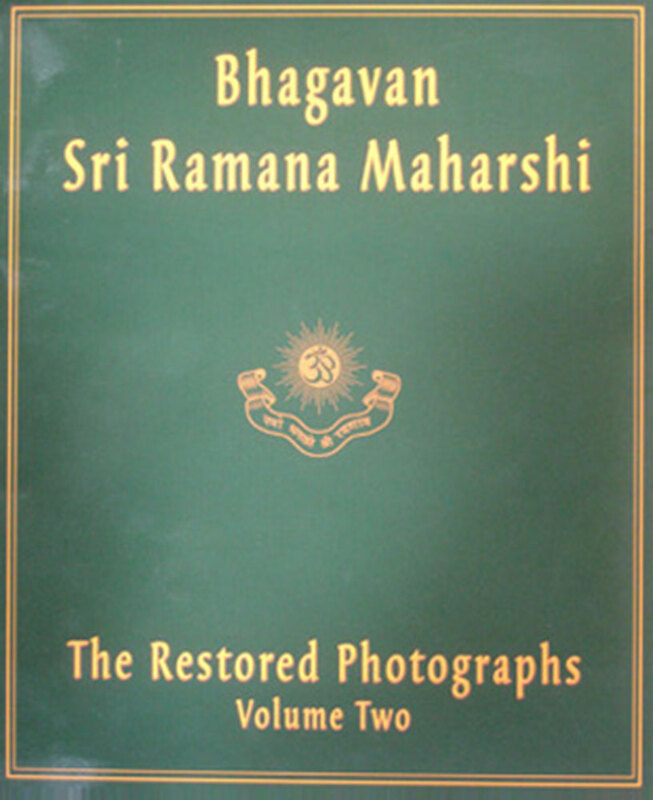 Also contains very well printed photographs of Sri Bhagavan. 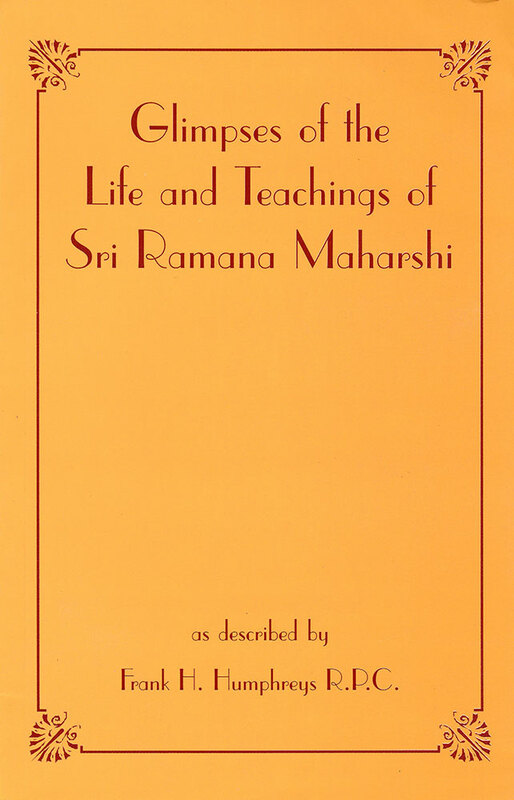 Recounts events, dialogues, and anecdotes that occurred with the Maharshi and devotees during the author’s frequent and lengthy stays at Sri Ramanasramam. 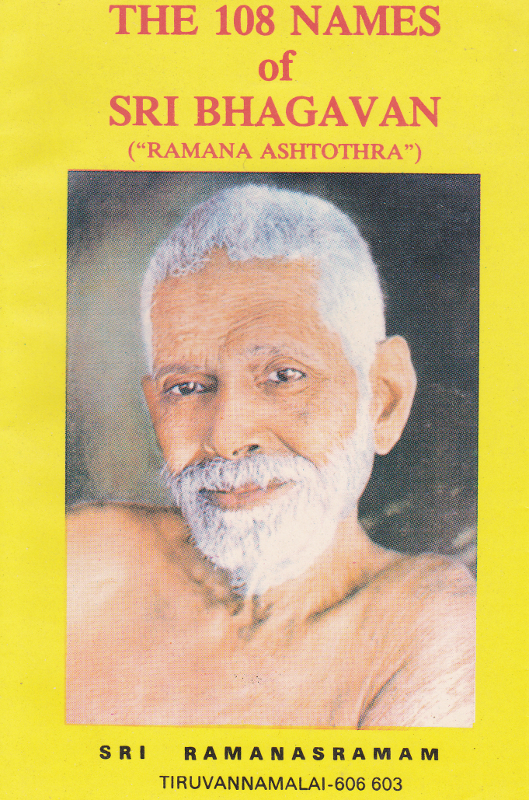 The traditional litany recited at Sri Ramanasramam, consisting of a thousand descriptive names for the Maharshi, usually used for devotional purposes. This edition contains a commentary that explains the significance of each of the names. 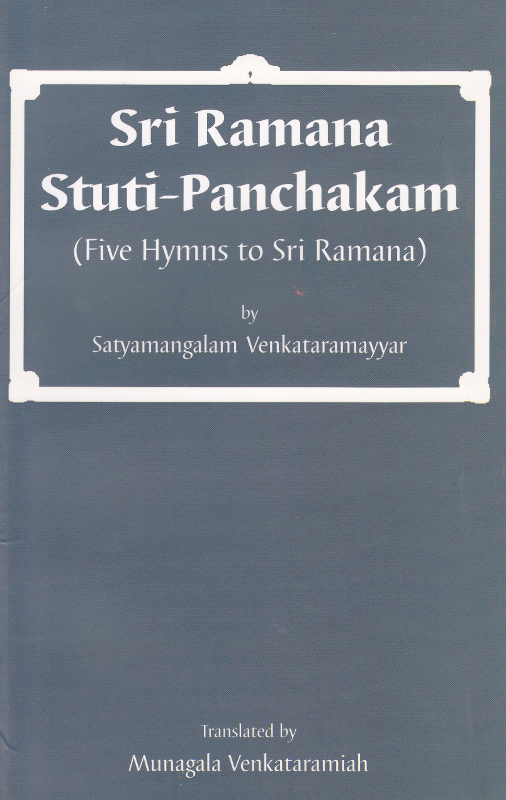 An English translation of a set of five hymns to Sri Ramana by an early devotee. 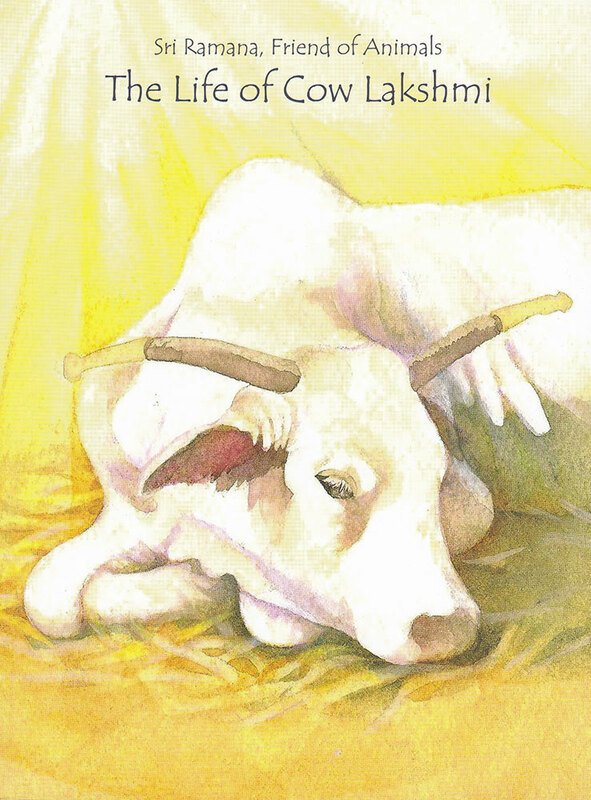 All about Lakshmi, the cow. Written for children and filled with pictures. 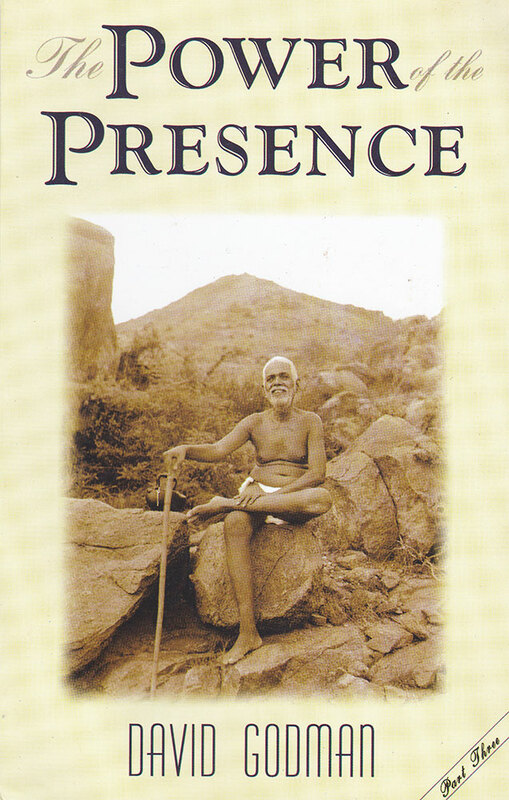 Contains descriptions of the relation of Sri Bhagavan with the animals at Arunachala and stories and dialogues that are based, in part, on those facts. 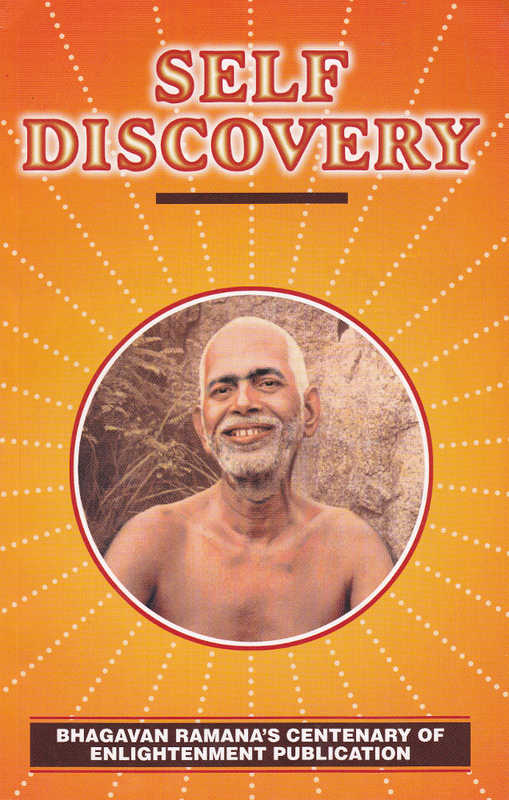 Contains a biography of the Maharshi and numerous teachings by him arranged by topic. 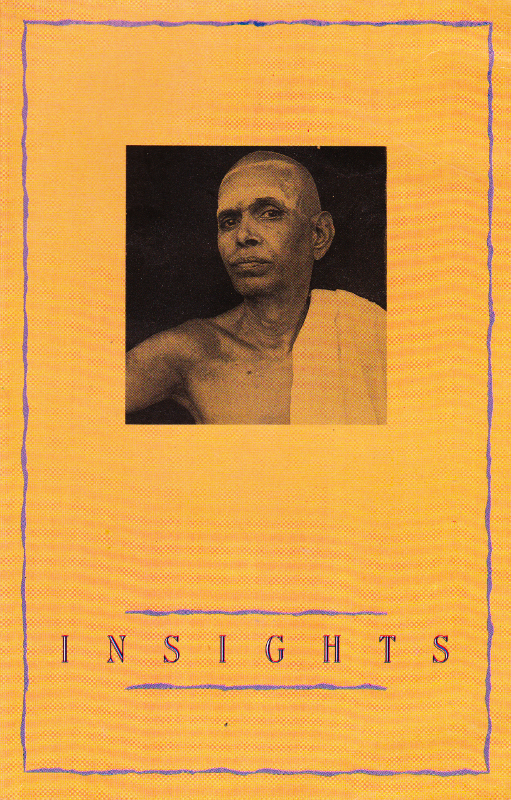 Contains the impressions of the author concerning the Maharshi and his teachings. 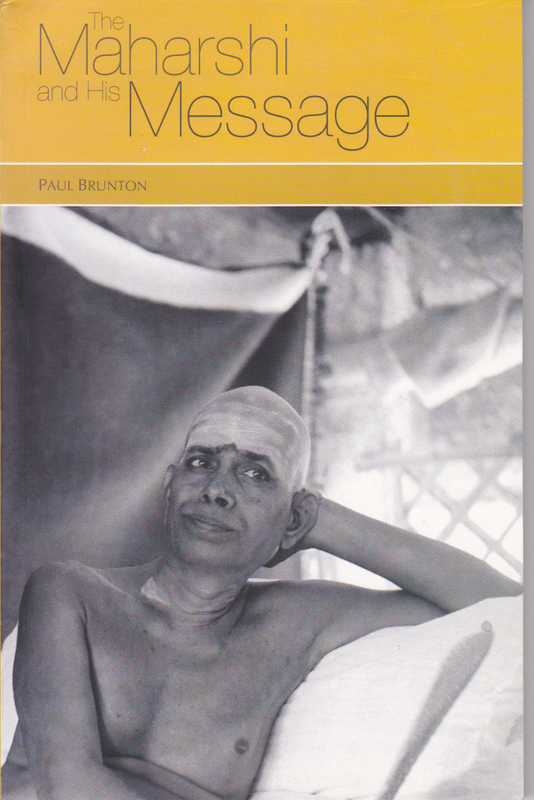 A wonderful text composed by Who in Sanskrit, with commentary, containing in 701 verses the teachings of the Maharshi. 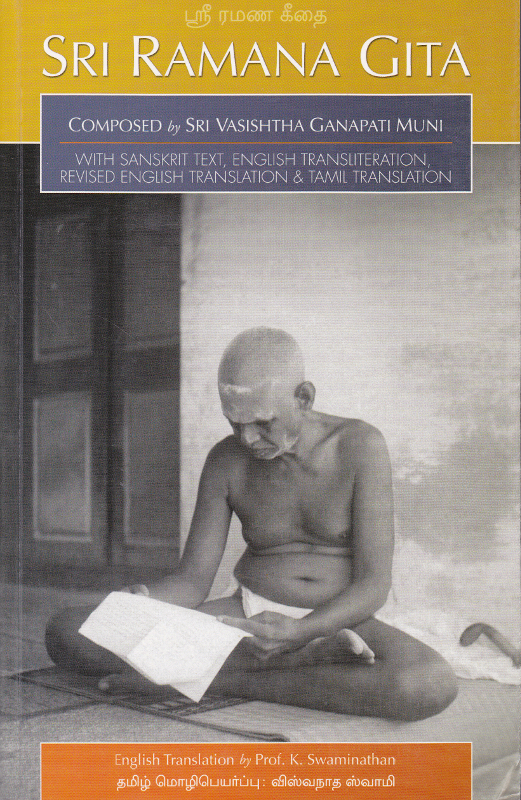 Contains the Sanskrit in Devanagari and transliteration, and clear English translation of every verse. 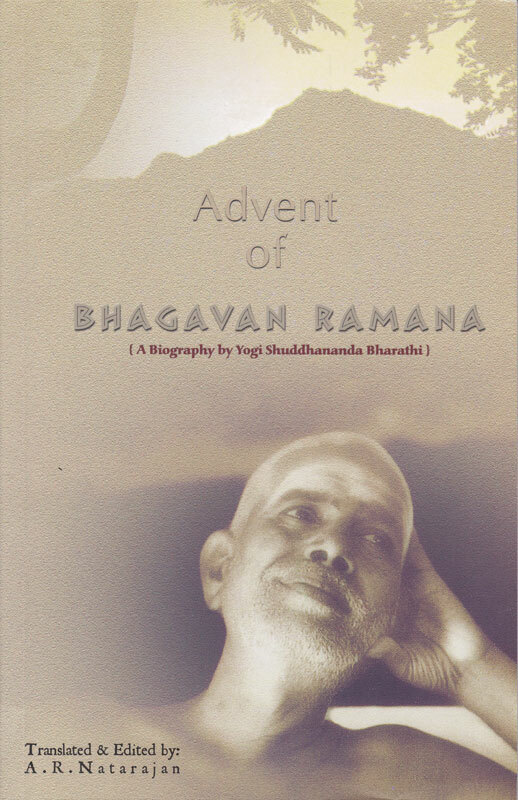 Contains devotional poems describing the experiences of being devoted to Sri Bhagavan. 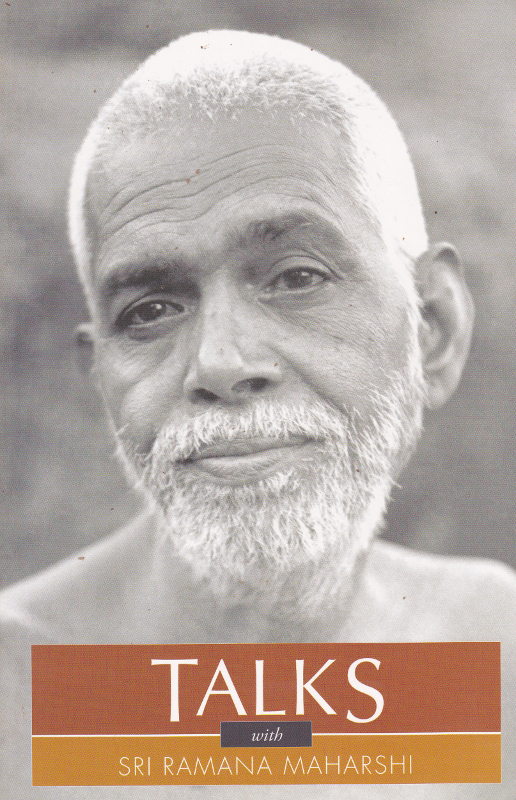 Essays about the teachings of the Maharshi, with quotations from him. 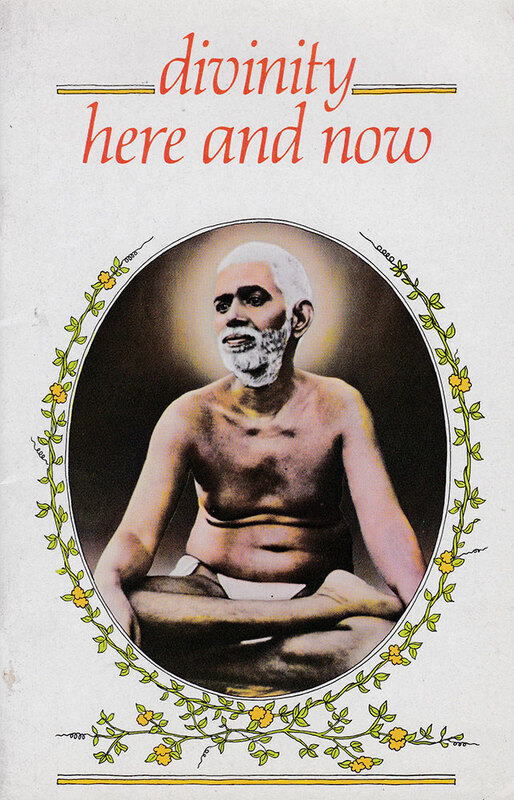 Contains numerous essays printed previously in the periodicals, The Mountian Path and The Call Divine, expressing the impressions and experiences of the Maharshi by the devotee writers and including recorded dialogues with him, as well. 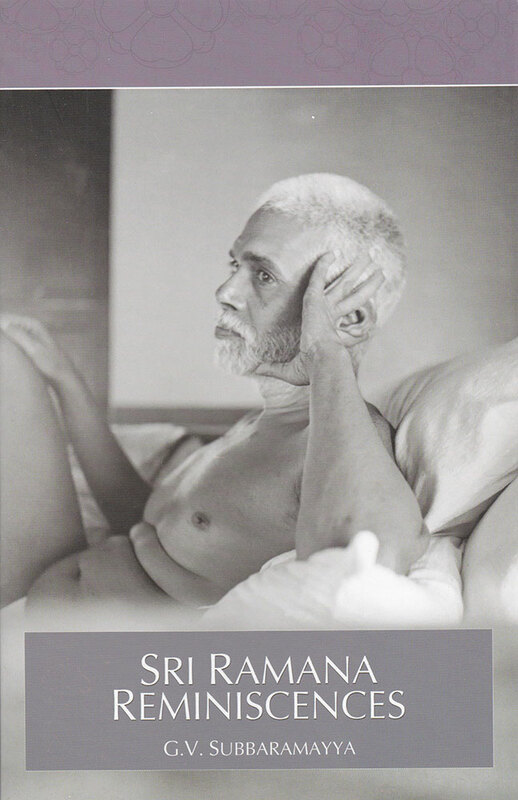 A very good commentary on Sri Ramana’s Ulladu Narpadu (Forty Verses on Reality) replete with deep insights and sweet anecdotes from Sri Bhagavan’s life. 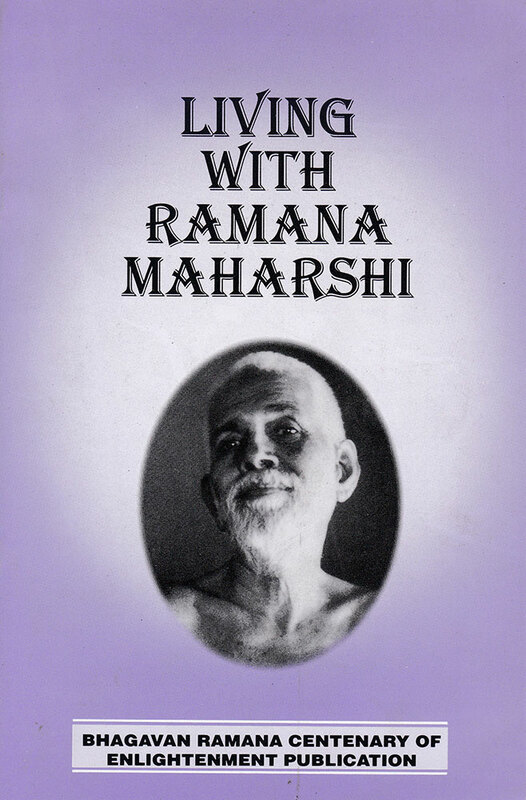 This monumental work records the Maharshi’s profoundly wise answers to thousands of questions put to him about ever so many spiritual topics. 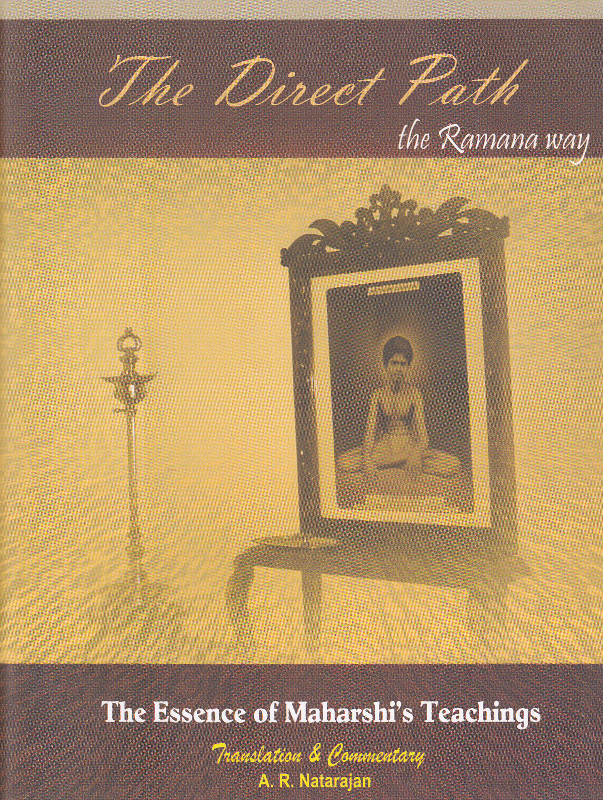 The Tamil texts recited at the Samadhi of Bhagavan at Sri Ramanasramam, transliterated into English letters. 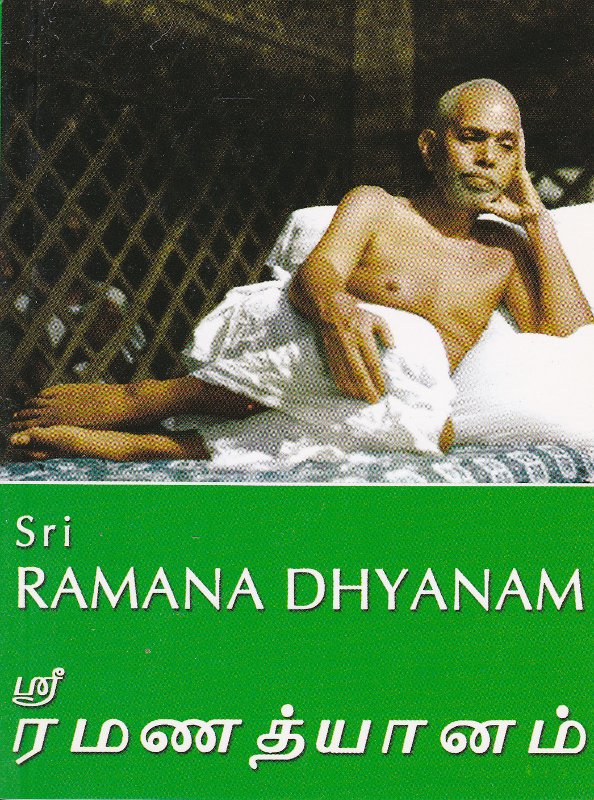 Contains Sanskrit with English translation of Upadesa Saram, Sat-Darshanam, and selections from Ramana Gita. 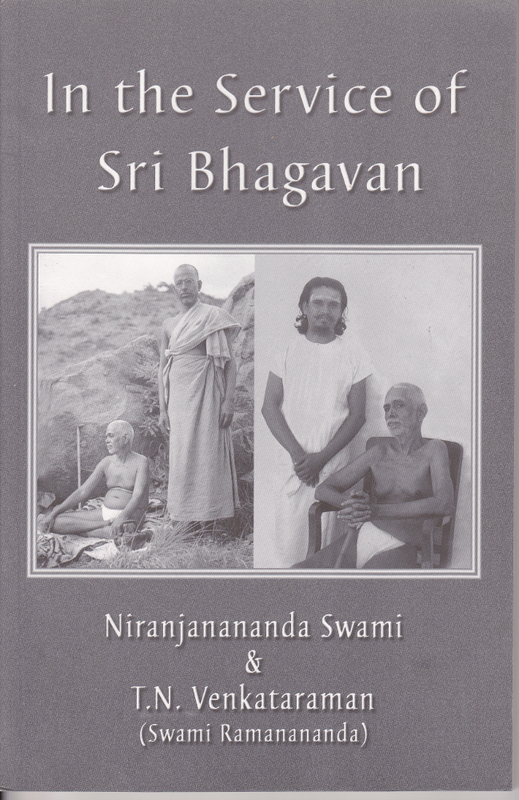 Writings by the author based upon his time with Sri Bhagavan and his own spiritual practice. 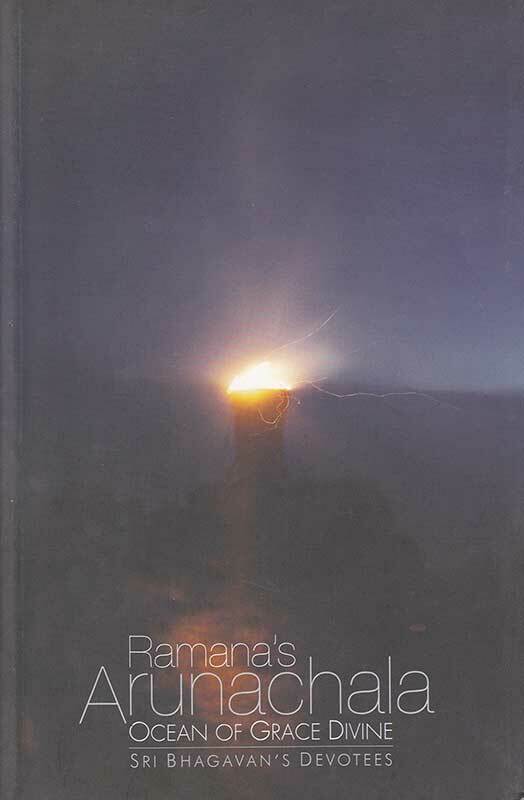 The 108 names of Ramana, in Sanskrit and English, with explanations of the significance of each name. 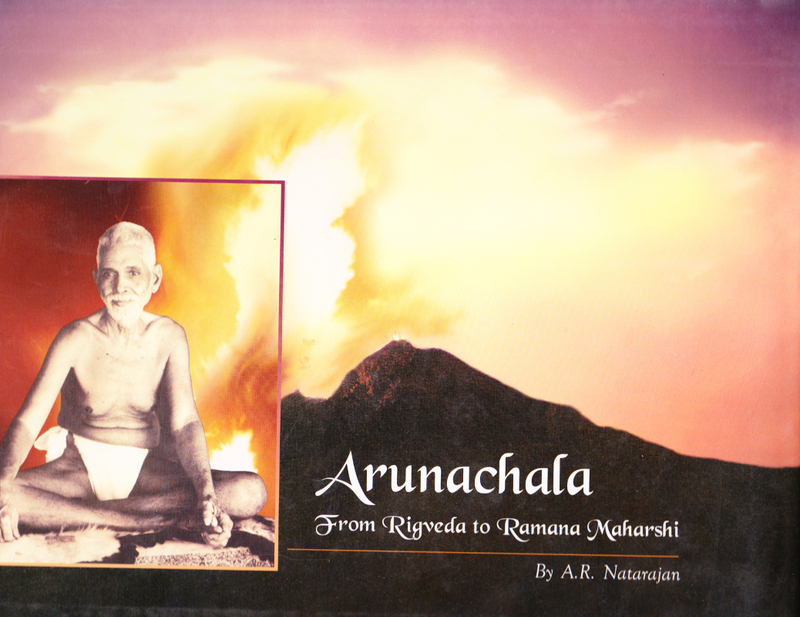 Contains the English translation of Five Gems on Arunachala by the Maharshi, with a commentary by Sri Bharadwaja Kapali. 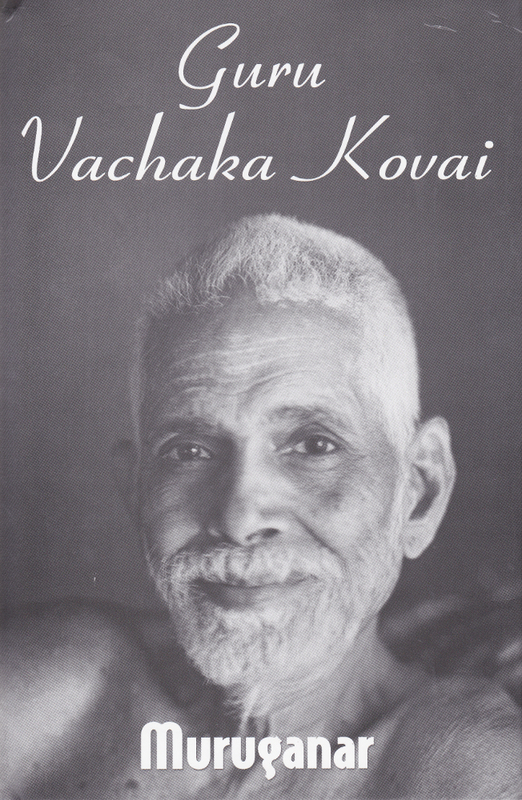 This precious volume contains English translations of most, if not all, of the writings by the Maharshi, both texts and verses composed by him in writing or spoken form and English translations of Advaita Vedanta texts that were translated by him into the Tamil language. 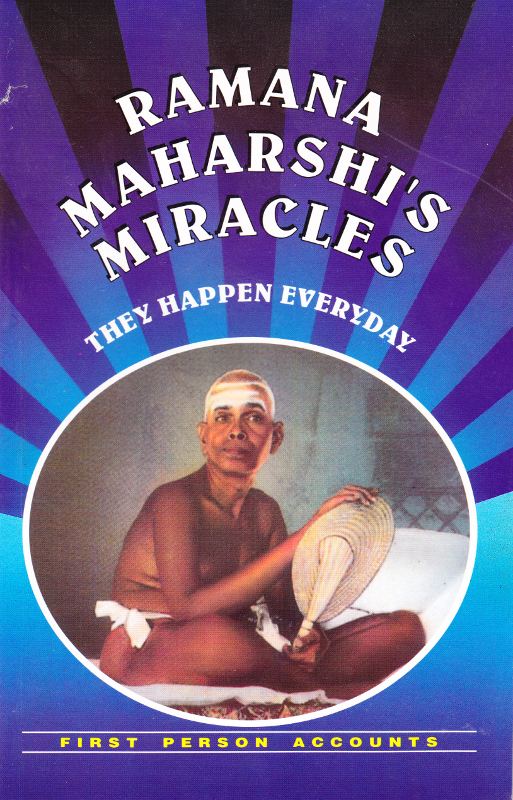 Accounts of numerous devotees of miraculous occurrences associated with Sri Bhagavan. 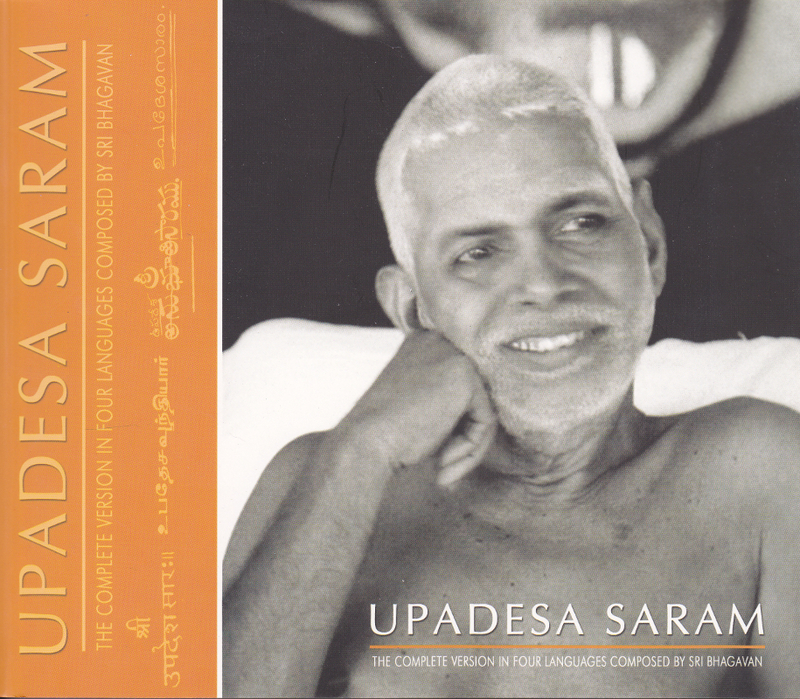 The Upadesa Sarah (Upadesa Saram) by Bhagavan Sri Ramana Maharshi. Translated with Commentary by Nome. 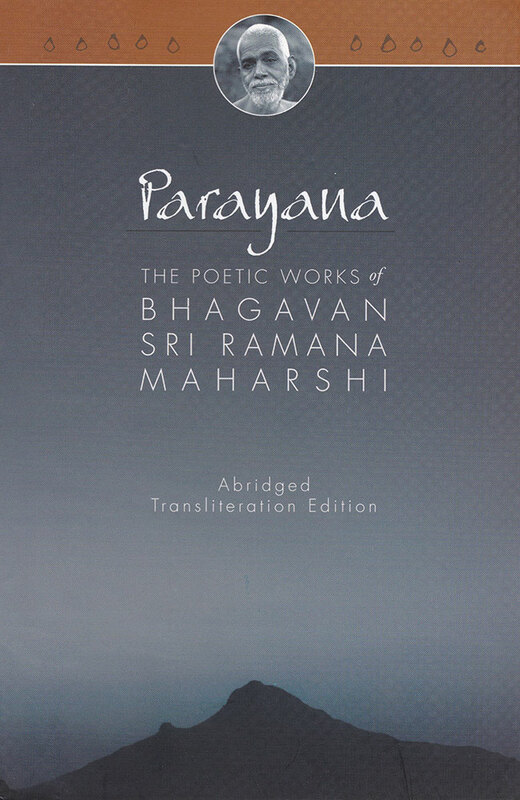 A wonderful book of 1254 verses composed by the master poet expressing the quintessential teachings of the Maharshi, arranged by him by topics pertinent to those seeking the highest Truth. 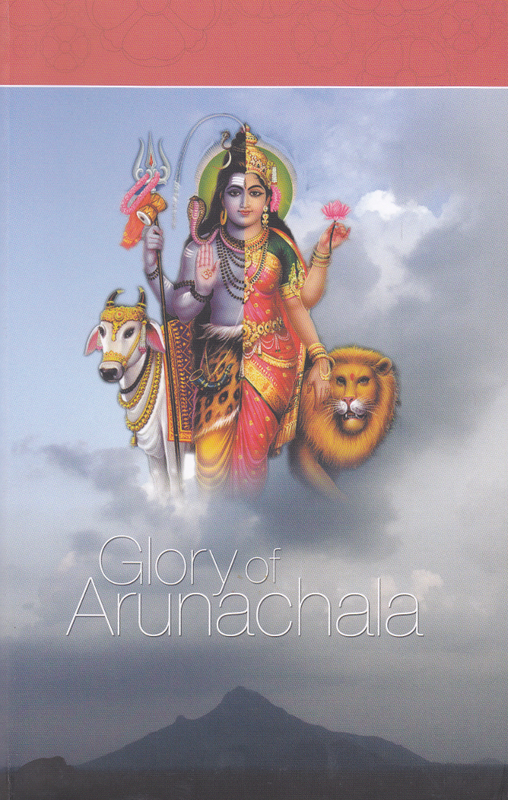 A collection of passages from several ancient texts, such as Skanda Purana, Siva Mahapurana, Siva Rahasya, and others that deal with the glory and spiritual significance of Arunachala. 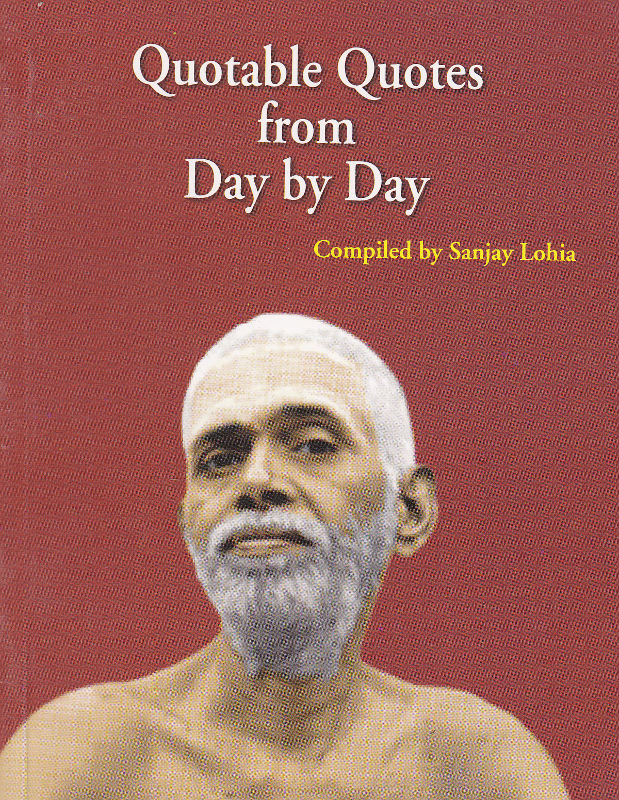 Describes the author’s visits to Sri Ramana. 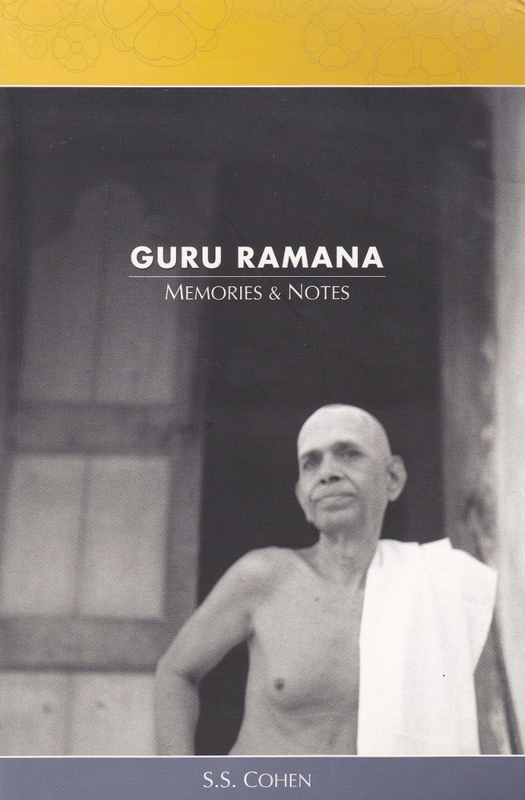 Contains biographical and autobiographical information about, along with verses and letters of, Gananpati Muni that describes the relationship he had with the Guru, Sri Ramana Maharshi. 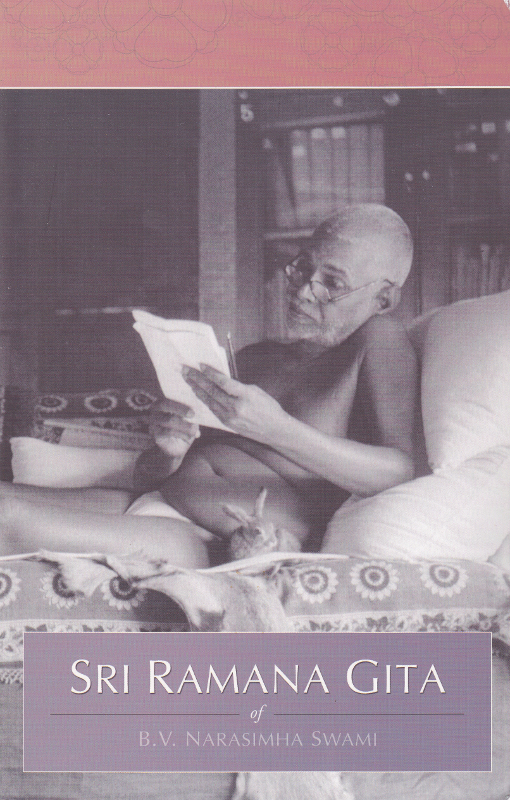 Essays on the teachings of the Maharshi, including quoted passages of his teachings. 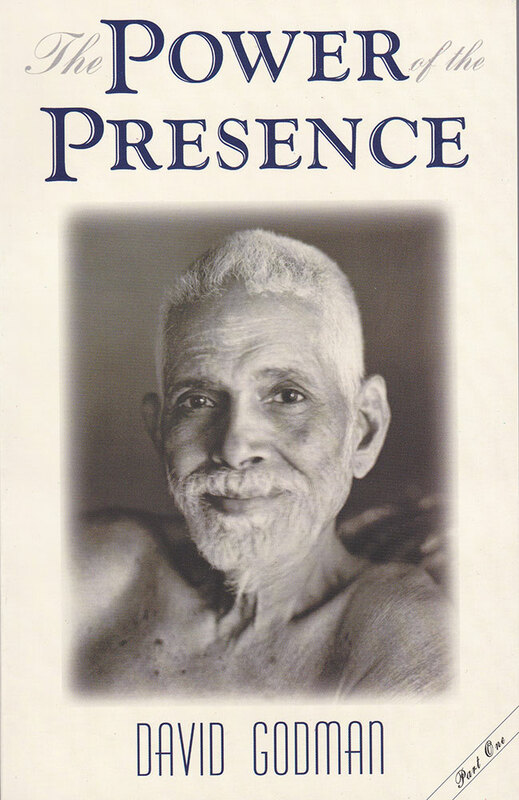 This book deals with the devotees who were with Sri Ramana Maharshi. The devotees exemplify what divine passion means. 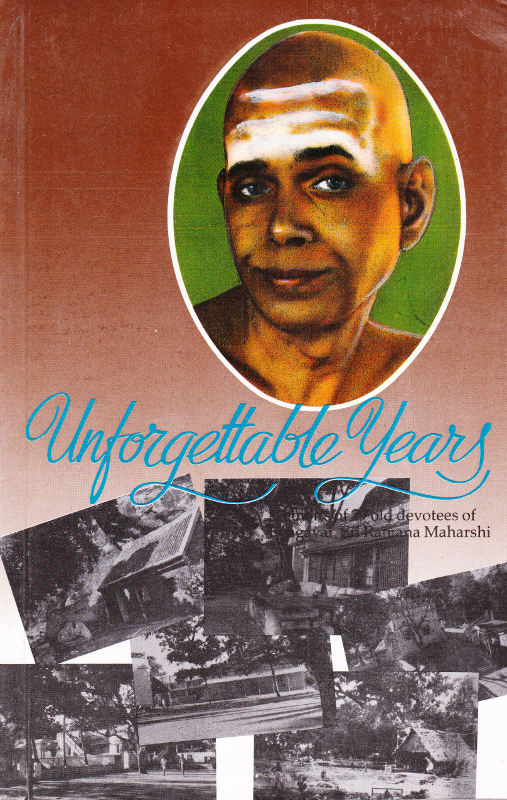 Comprises several short articles by devotees recounting the final days of the manifest life of the Maharshi. 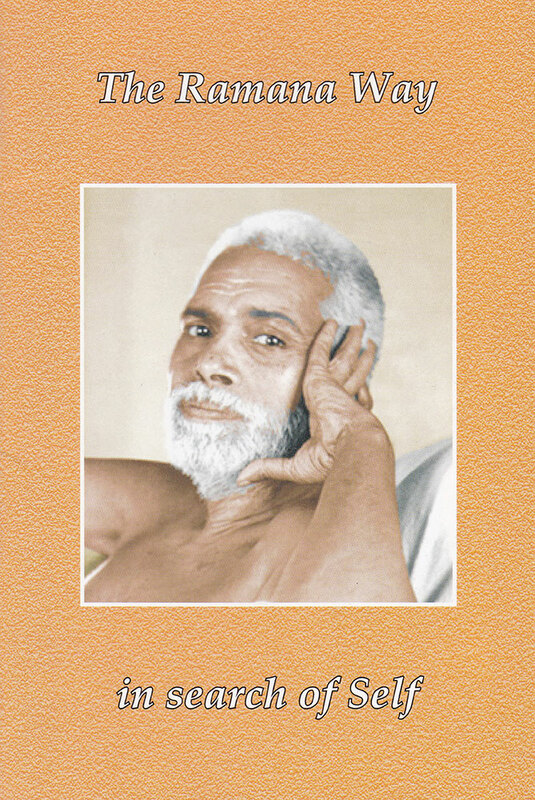 Contains a hymn to Sri Ramana, an essay about his teachings, an essay on mahapuja, hymn to the Guru, reminiscences with dailogues with the Maharshi. 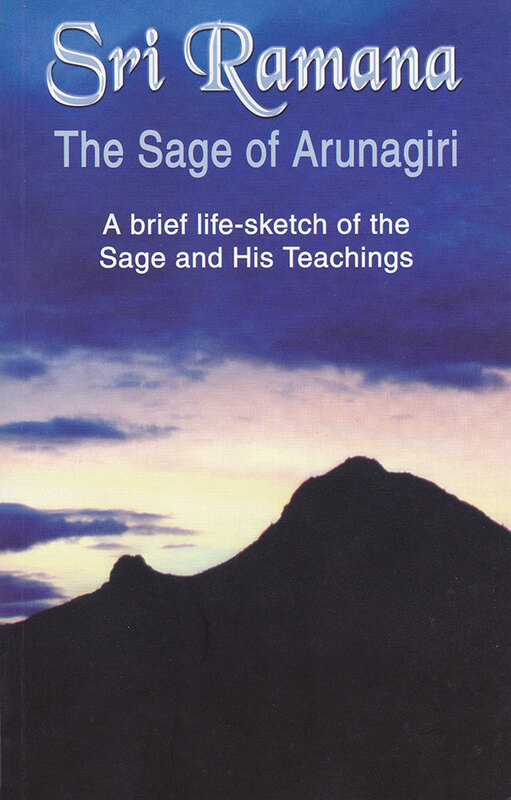 Contains the story of the author’s visit and dialogues in which the Maharshi gave his spiritual instruction. 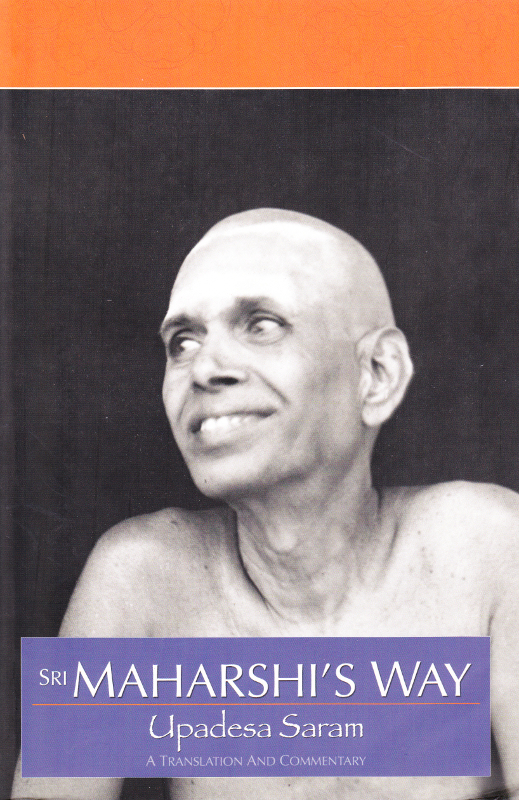 Contains essays about Self-inquiry and the Maharshi’s teachings. 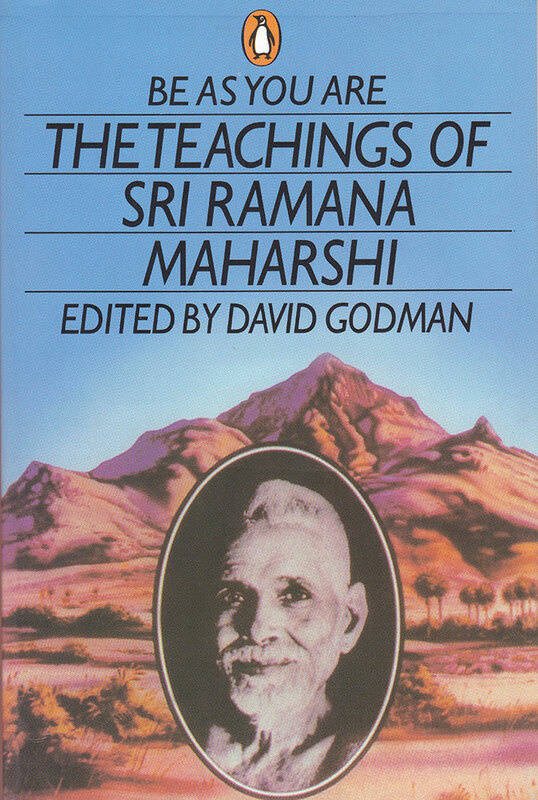 Contains compositions by Sri Ramana Maharshi. 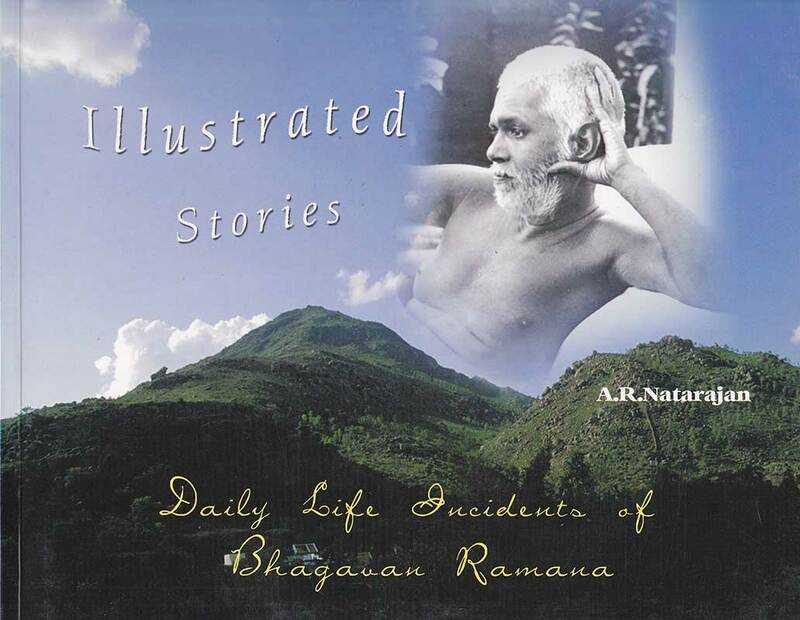 Contains narration of devotees of Sri Ramana Maharshi who never recorded their own stories. 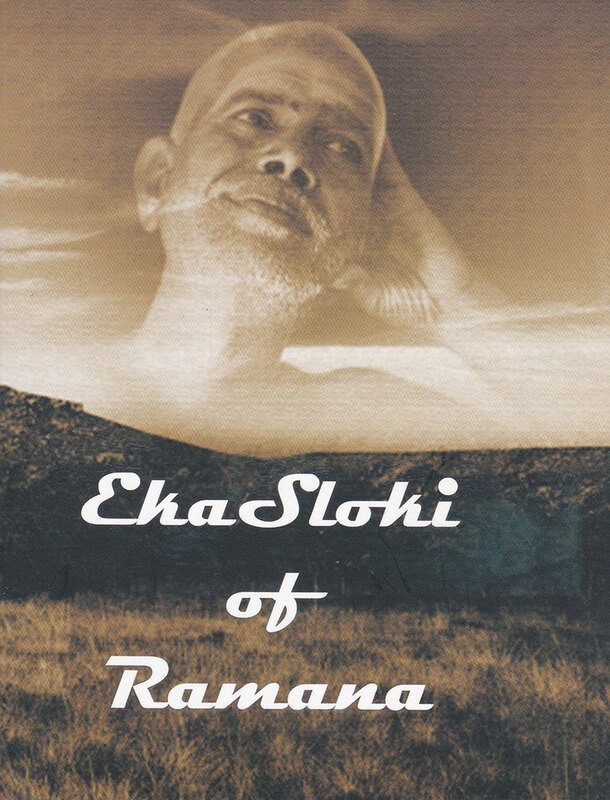 Contains narration of their personal encounters with Sri Ramana Maharshi by eight Sri Ramana devotees. 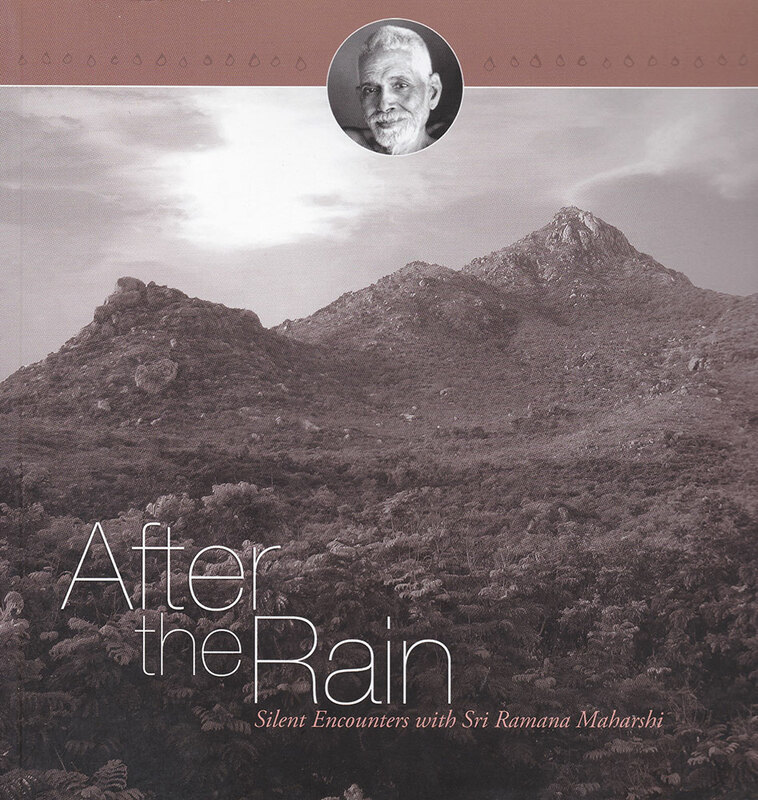 Contains narration of their personal encounter with Sri Ramana Maharshi by six devotees. 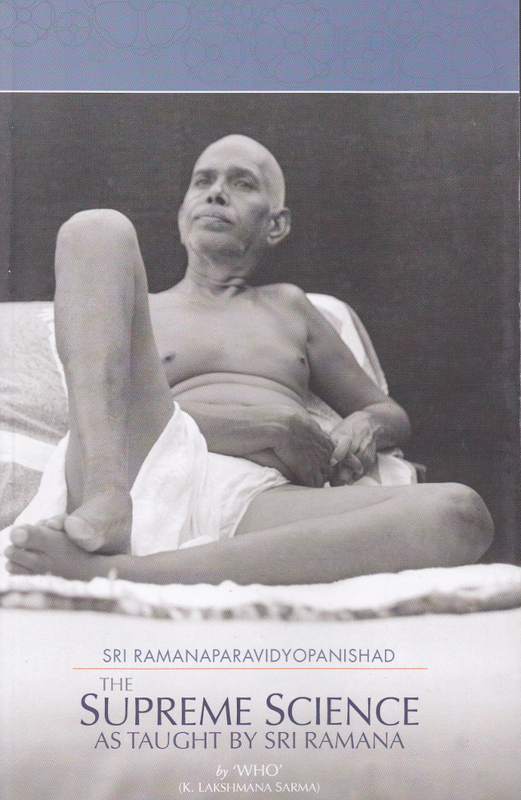 Contains a unique translation of the Maharshi’s Upadesa Saram with commentary and introduction by the author. 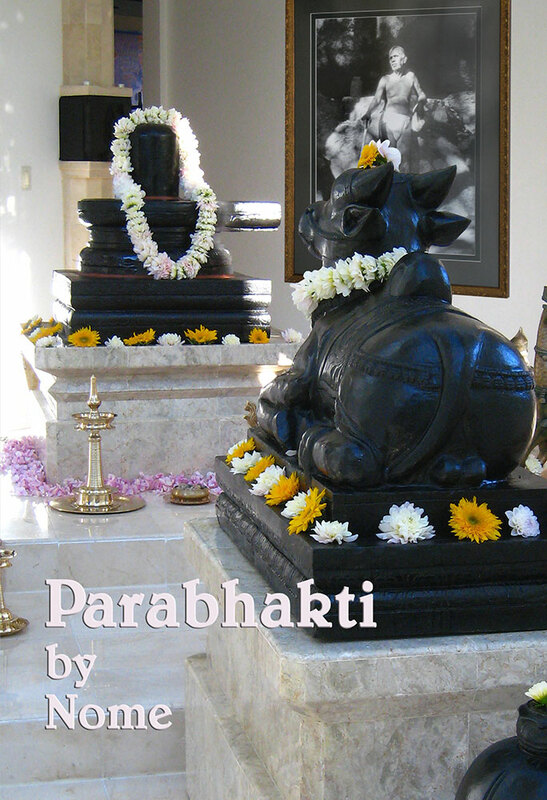 Contains three essays on the Maharshi and his teachings. 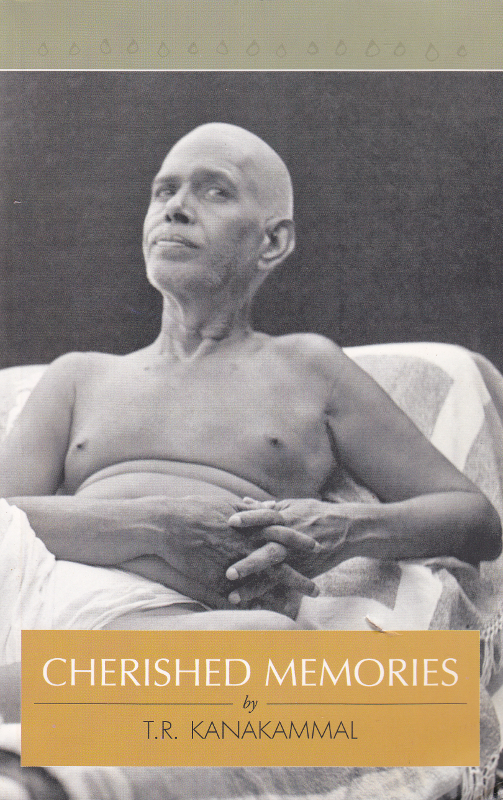 Essays on the Maharshi’s teachings with quotations from the Maharshi. 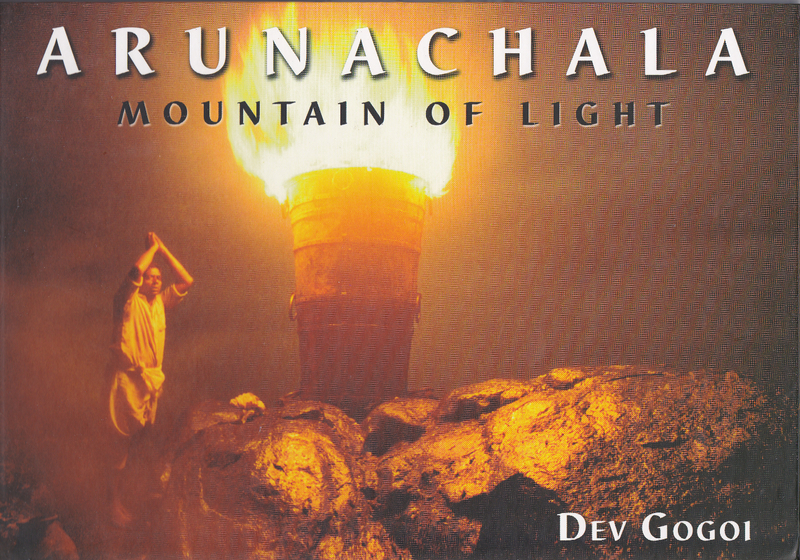 Contains many essays that previously appeared in The Mountian Path and The Call Divine, composed by several disciples, devotees, and other writers about the Maharshi, his teachings, and other spiritual topics. 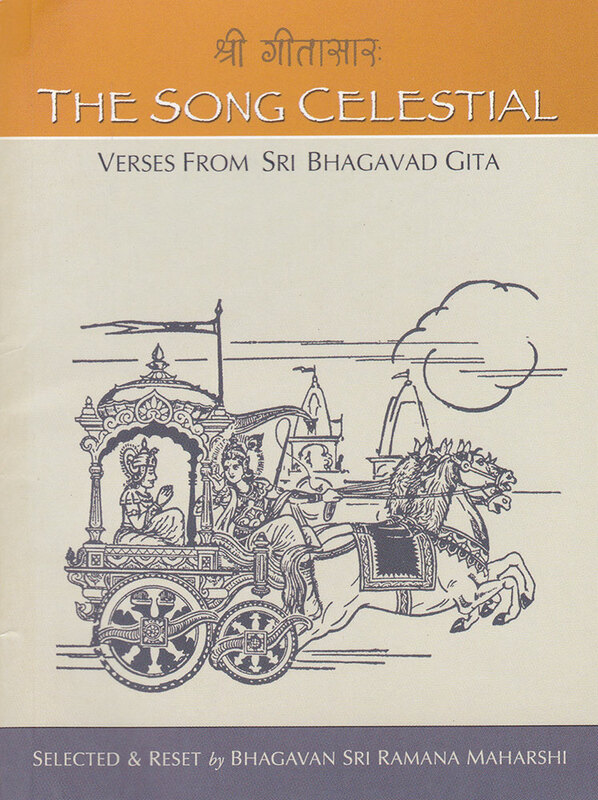 A selection of verses derived from the Bhagavad Gita, arranged by the Maharshi. 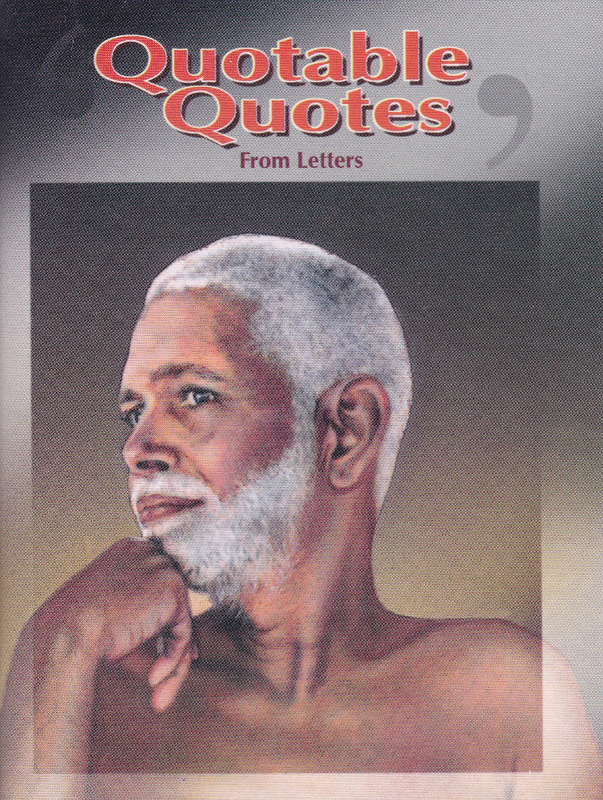 Teachings of Sri Ramana Maharshi culled from several sources. 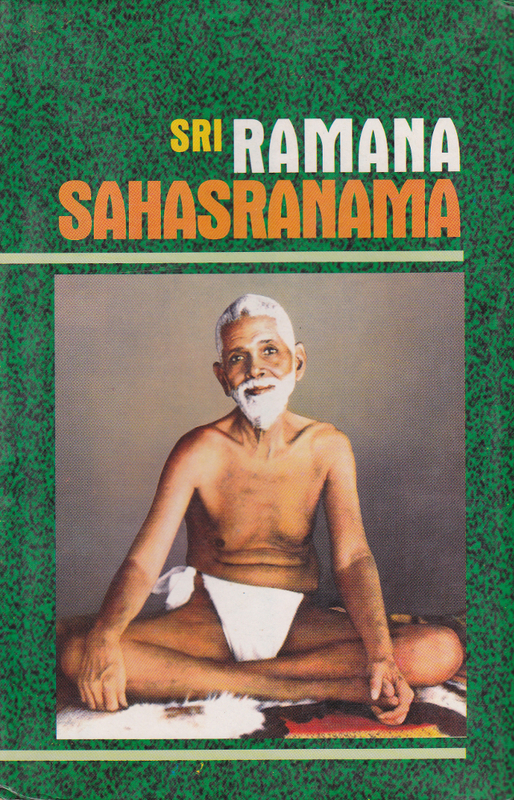 Contains the English translation of the texts recited at Sri Ramanasramam, including works in praise of the Maharshi, works by the Maharshi, passages from the Upanishads, Sri Rudram, and others. 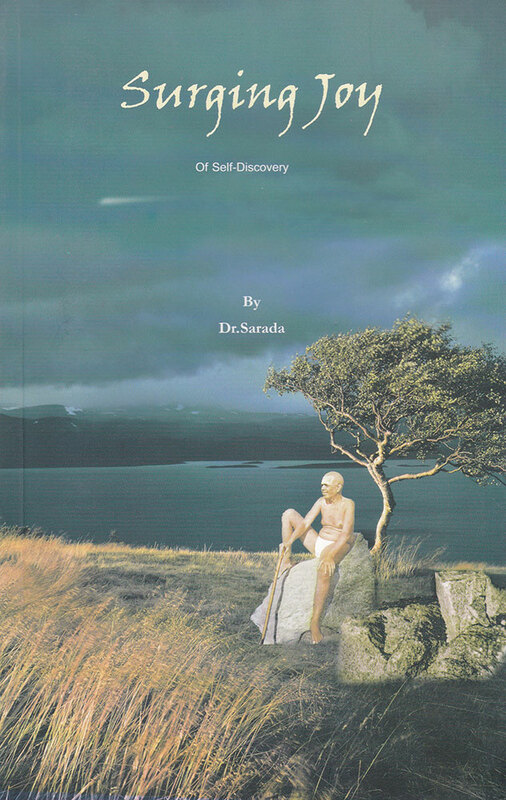 Collection of articles by Dr. Sarada wherein she insistently stresses upon the need for vigilant self-inquiry to destroy one’s mind. 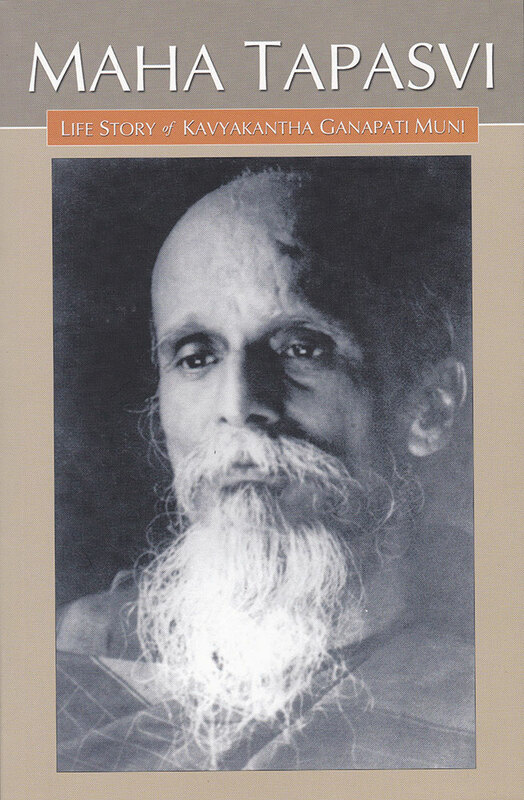 A wonderful, concise collection of sayings of the Maharshi, published in a size that also enables one to carry this book wherever he or she wishes. 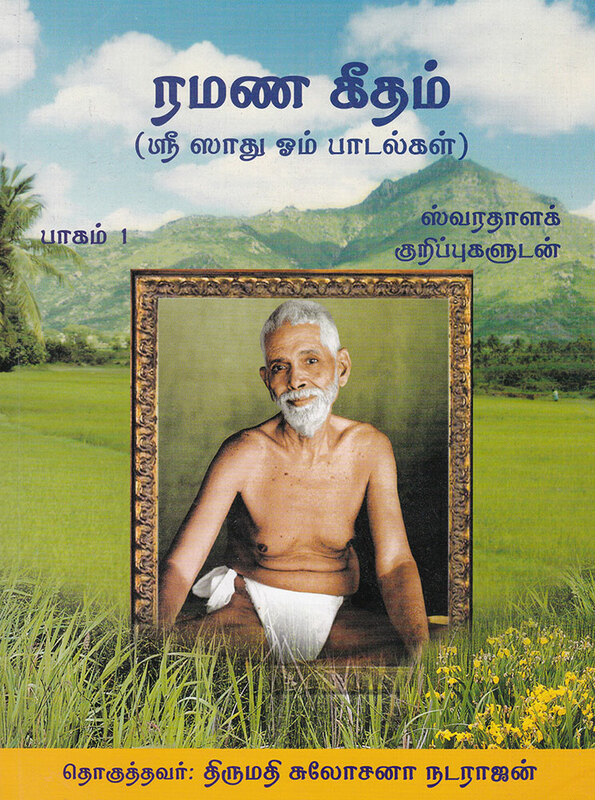 This is the English rendition of the Tamil book by Sri Vishwanatha Swami, and it contains information culled from various classics. 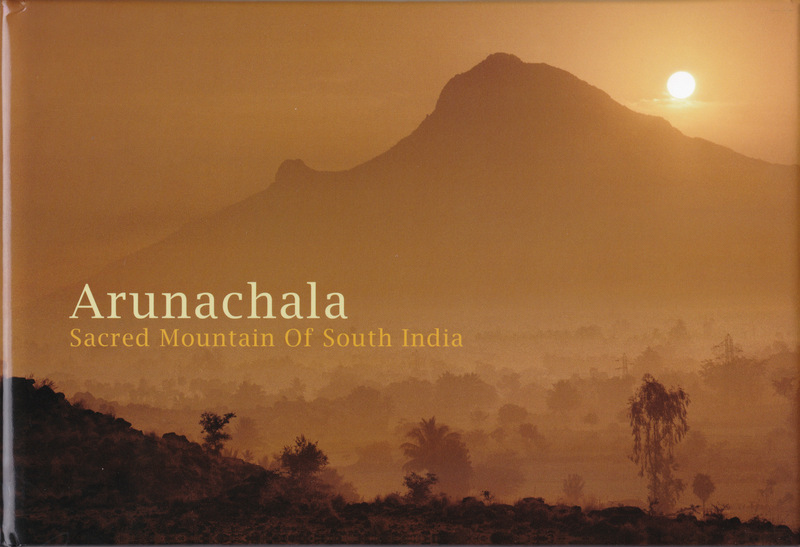 It contains Puranic legends associated with Tiruchuzhi – the birth place of Sri Ramana. 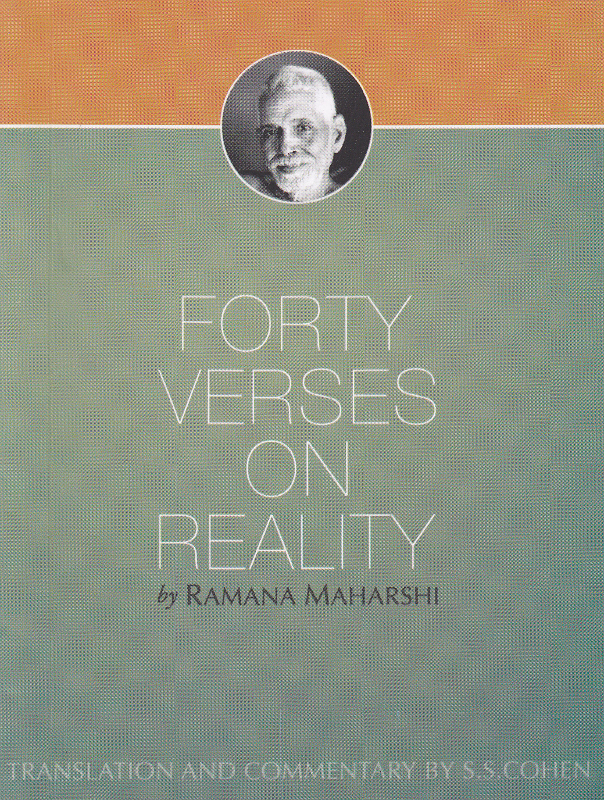 An excellent English translation from the Tamil original of the Forty Verses on Reality by Sri Ramana Maharshi. 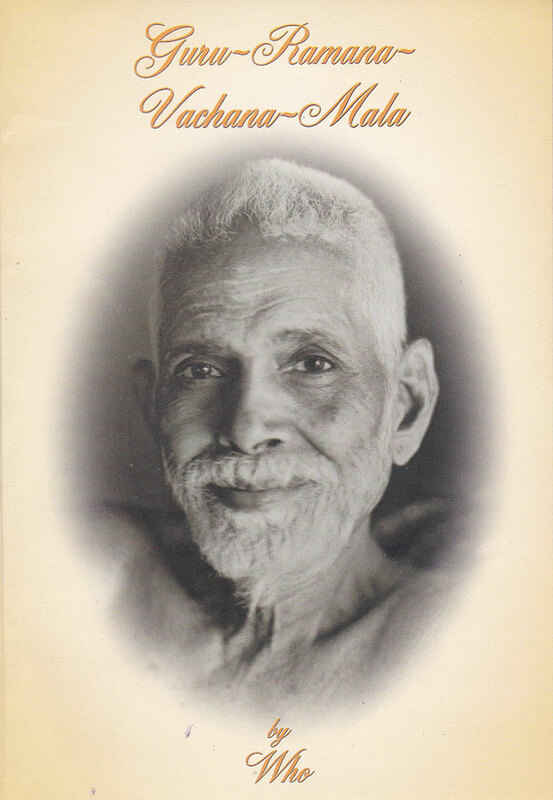 Memoirs of many devotees of their time with Sri Ramana Maharshi. 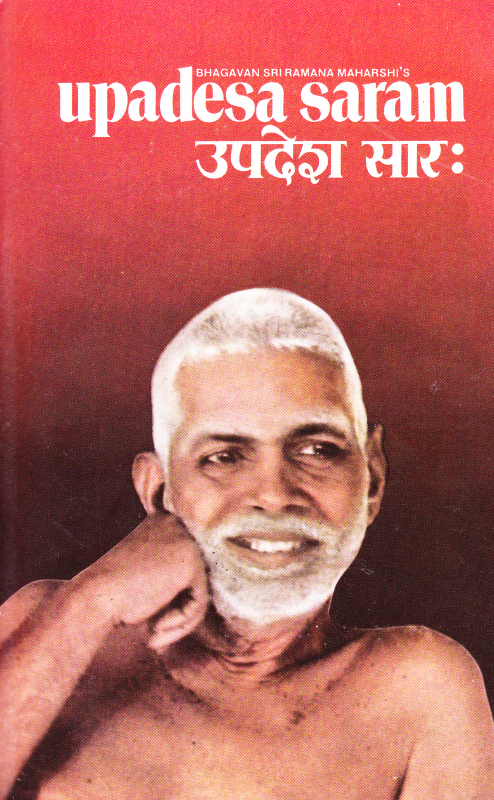 Contains commentary in Hindi on Sri Ramana Maharshi’s “Upadesa Sara” (The Essence of Spiritual Instruction); contains the verses in Sanskrit, with word for word meaning in Hindi, followed by the Hindi commentary; also contains the verses in Sanskrit in Sri Ramana Maharshi’s handwriting. 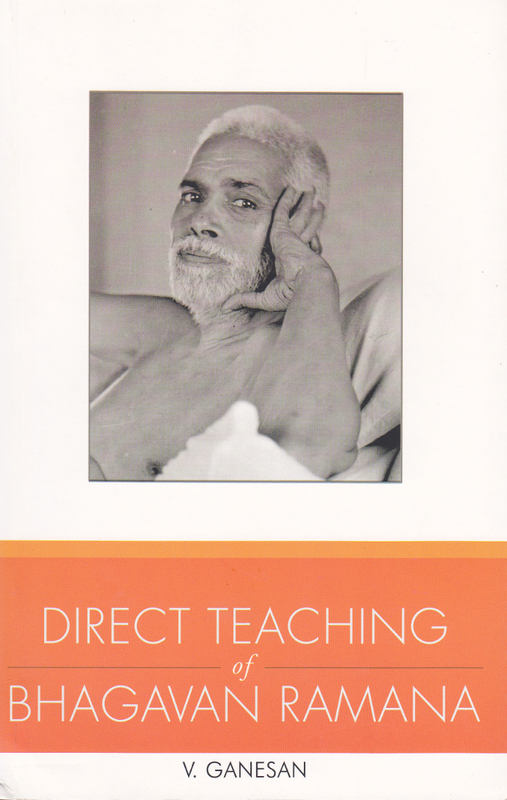 This translation of Sri Ramana’s “Essence of the Teaching” contains the Sanskrit script (Devanagari), the Sanskrit text rendered in English letters, and English translation, along with commentary. Also contains a word for word translation of the entire text. 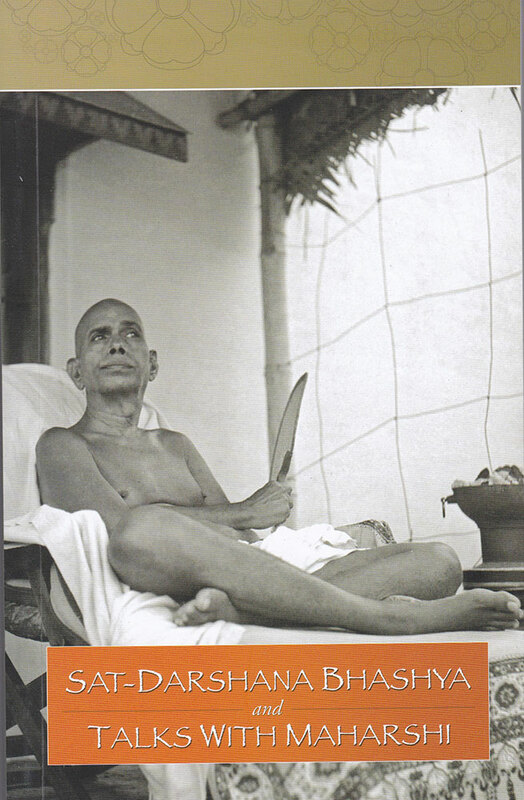 Contains a lengthy introduction by the translator, the Maharshi’s Tamil text with English translation and commentary, followed by an English translation by Major Allen Chadwick, followed by the Sanskrit version of the same text. 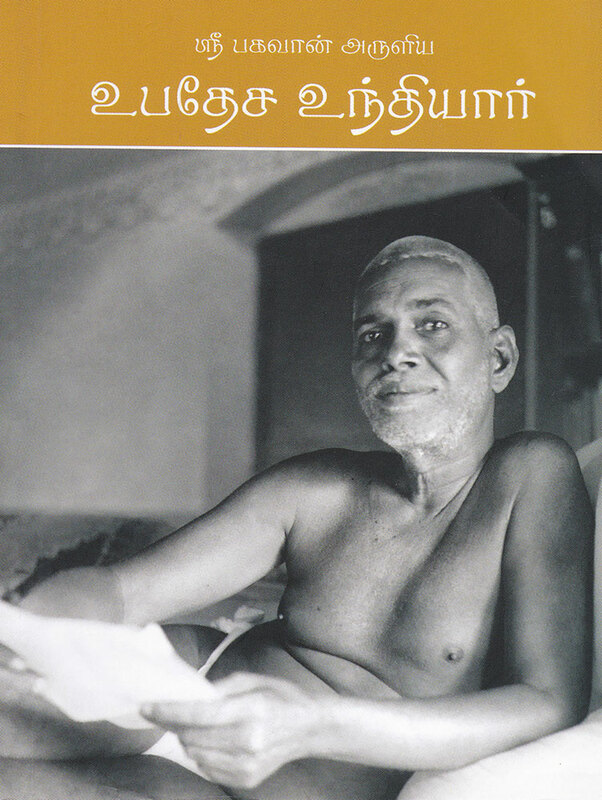 Contains the Tamil writing of the Maharshi, Tamil print, word for word translation, and English translation of the Essence of the Teaching (Upadesa Saram), along with copious notes. 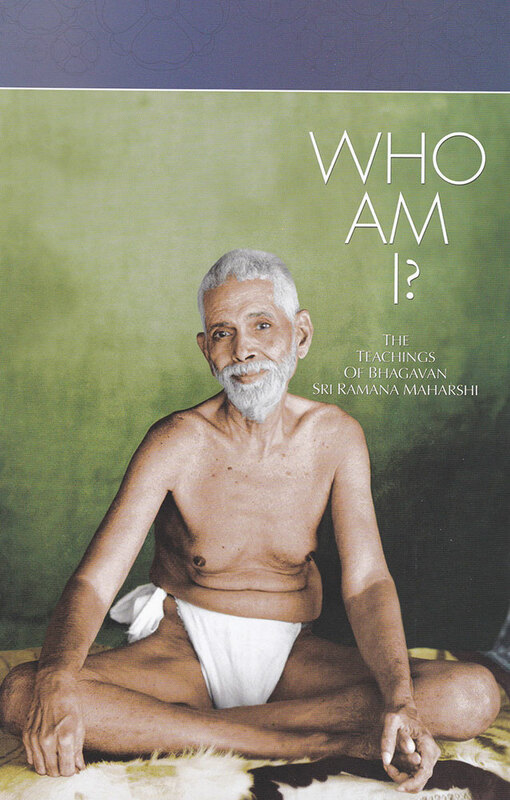 This is the quintessential, aphoristic work, constituting one of the earliest recordings of the Maharshi’s teachings, that spells out the nature of the Self and the practice of Self-Inquiry. 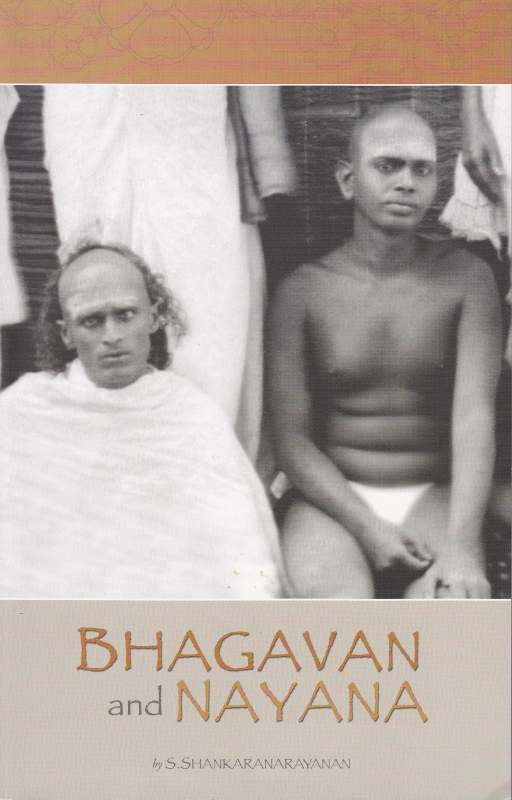 Contains the author’s recounting of dialogues for which he was present between numerous seekers and the Maharshi.